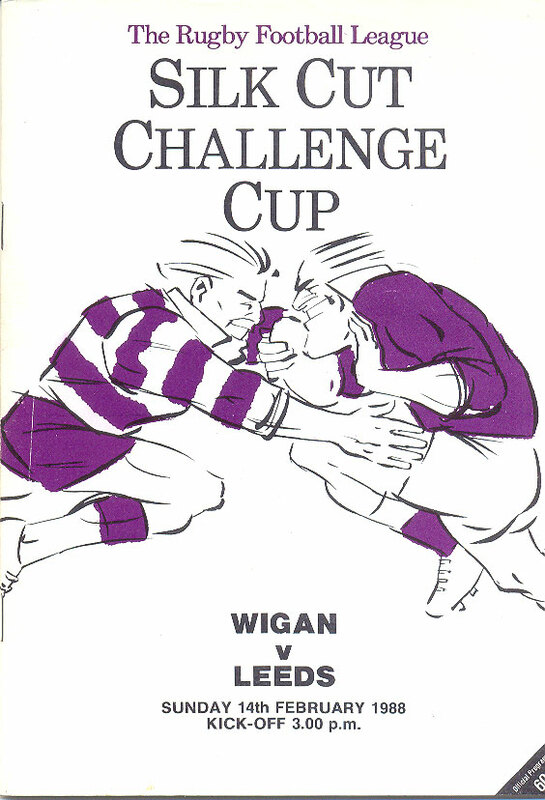 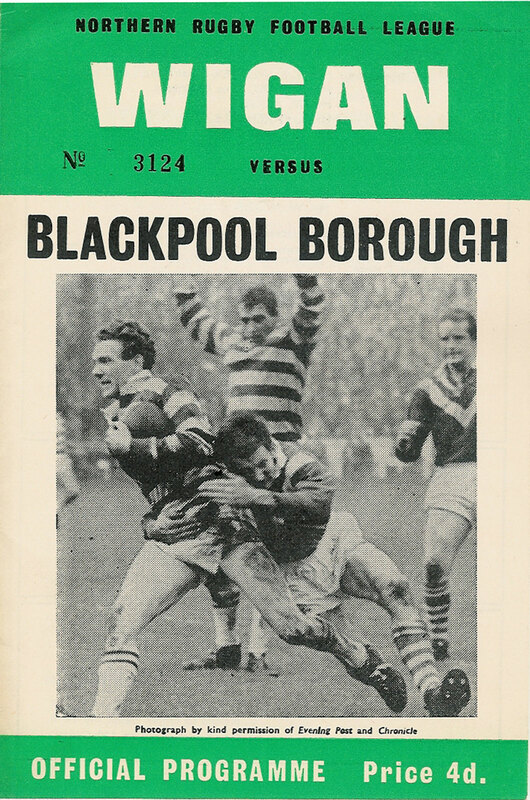 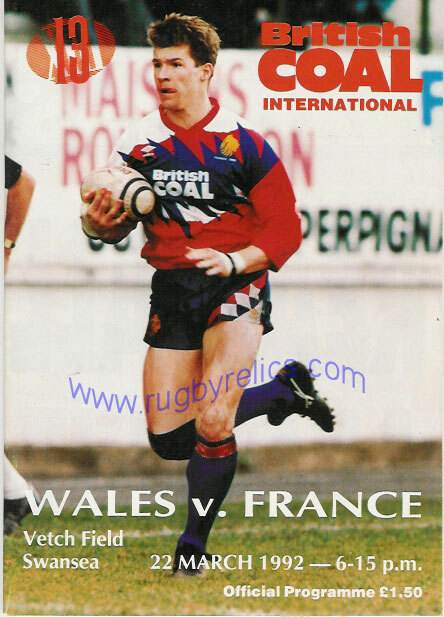 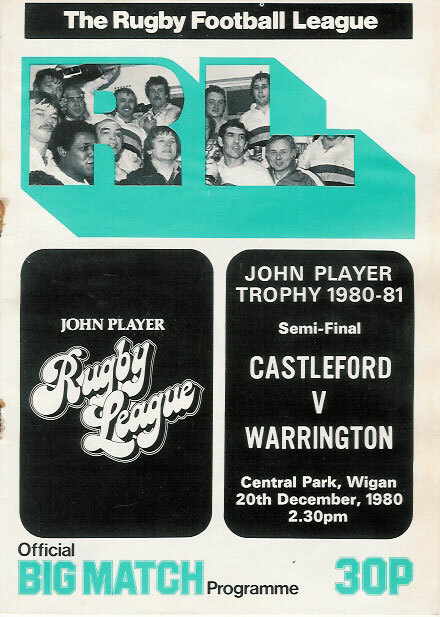 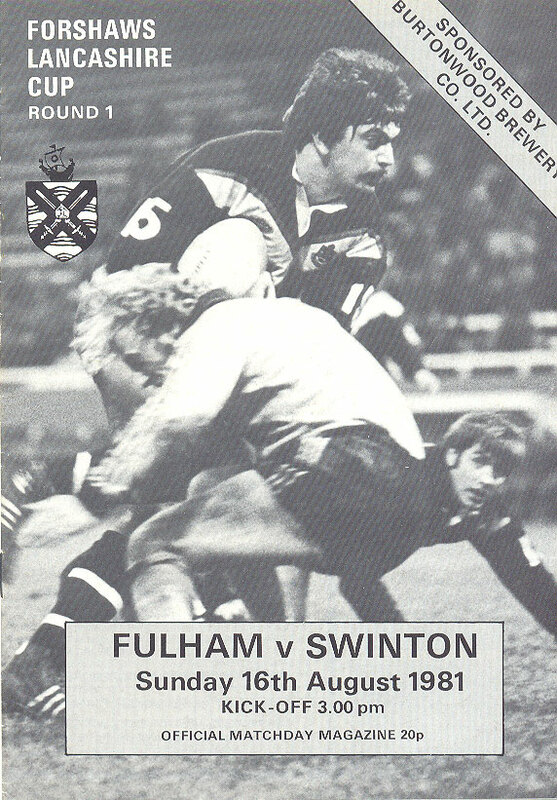 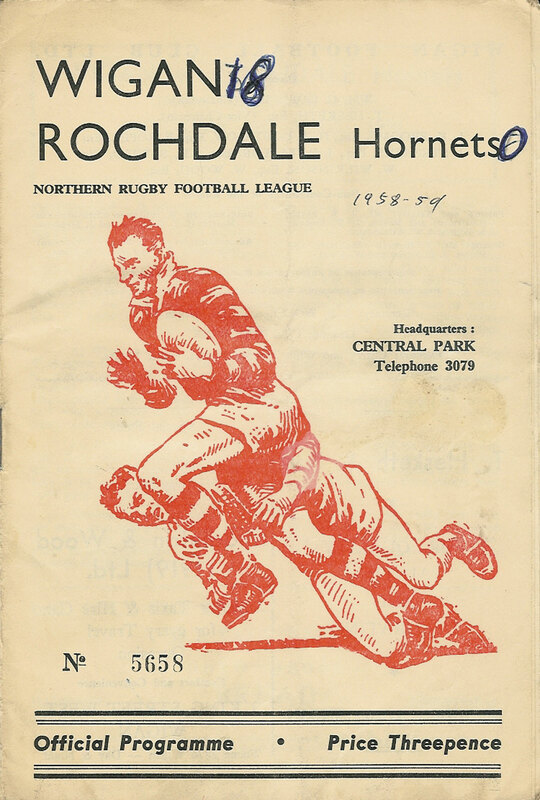 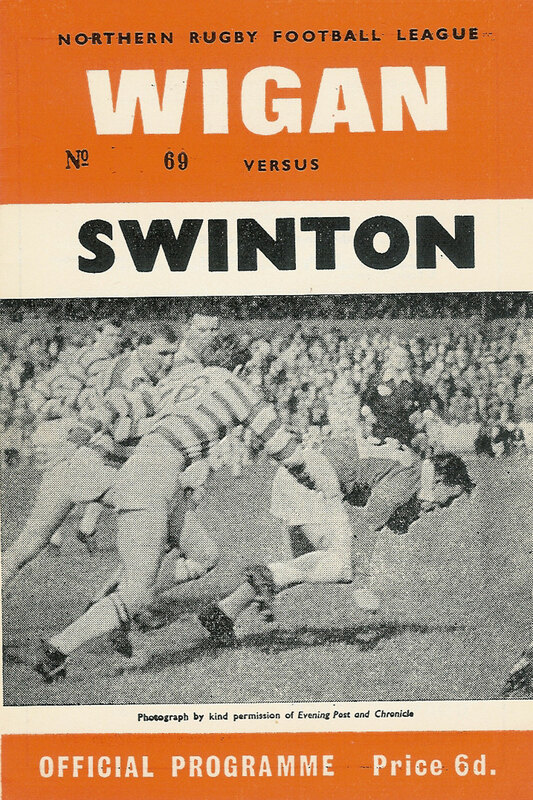 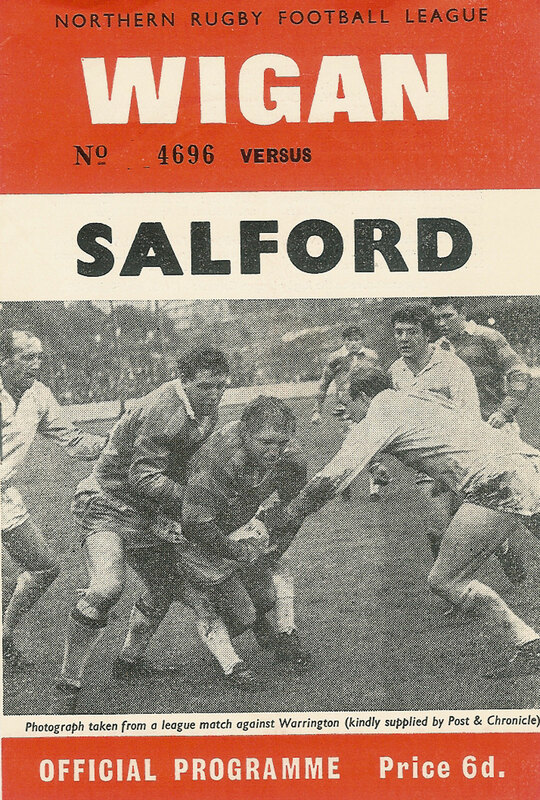 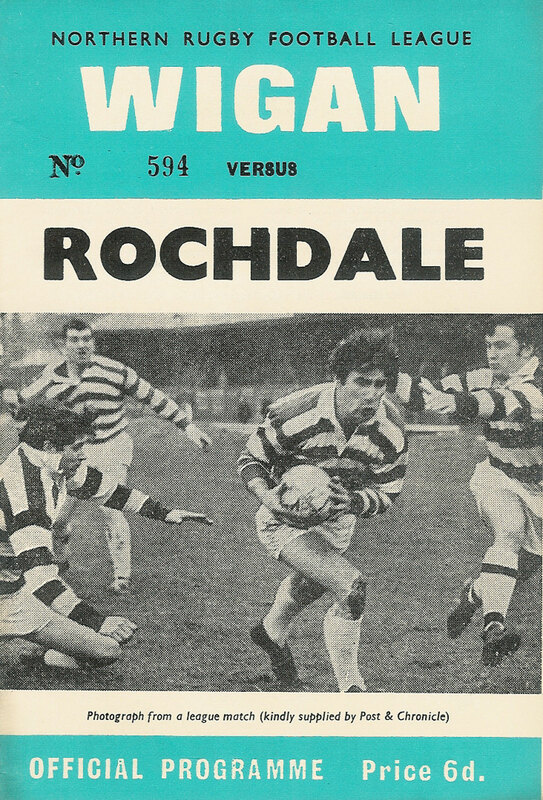 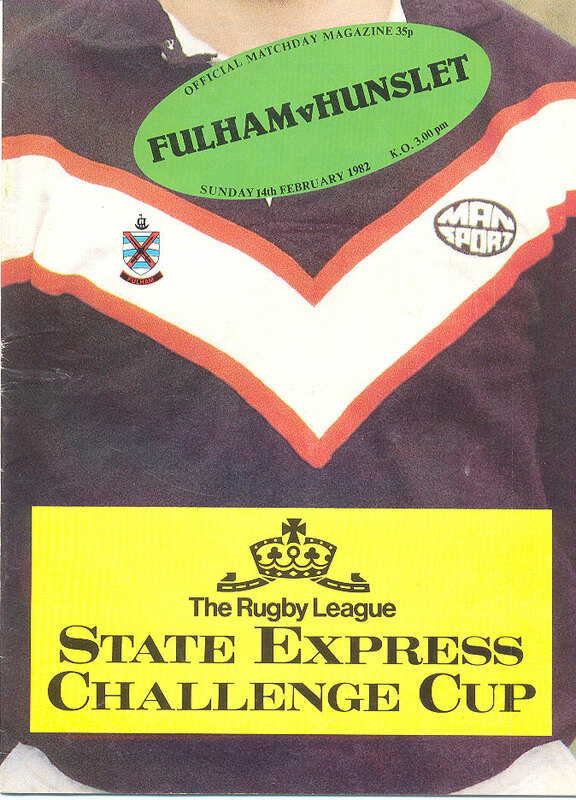 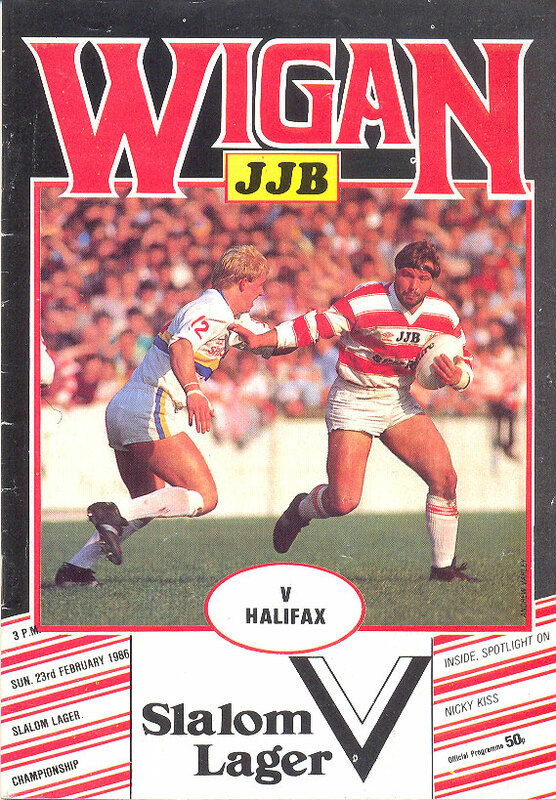 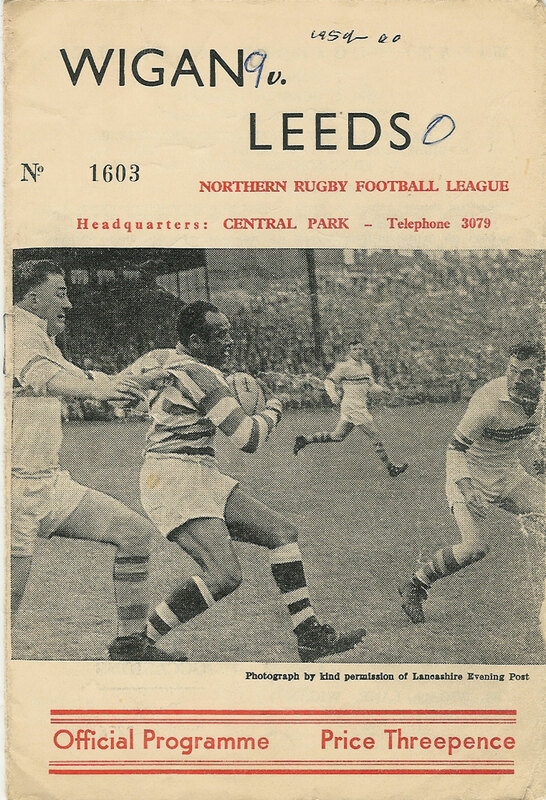 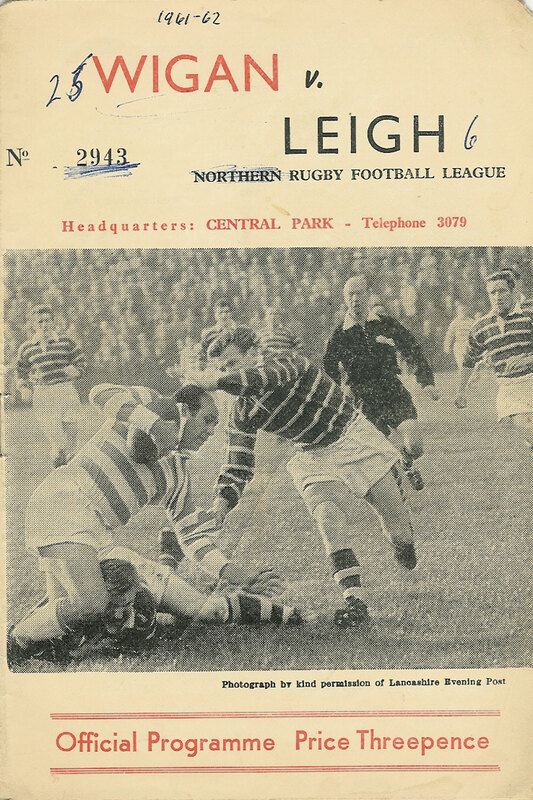 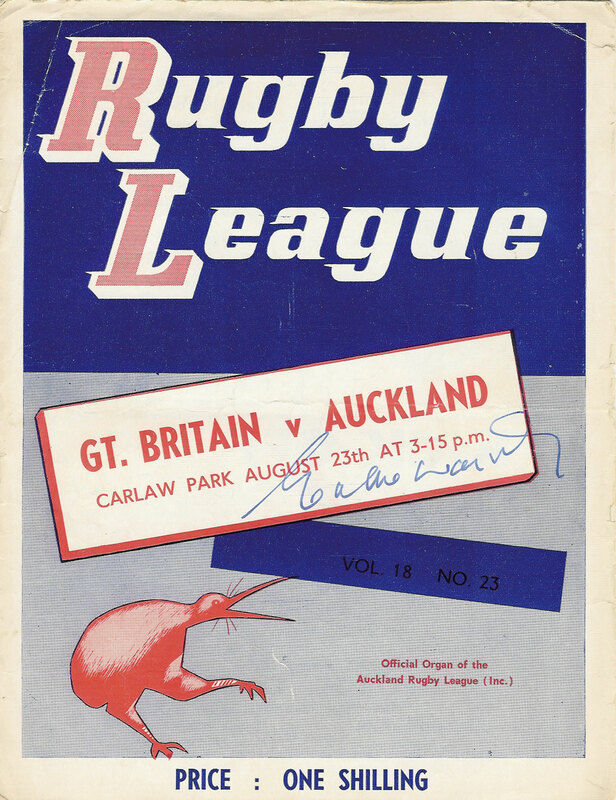 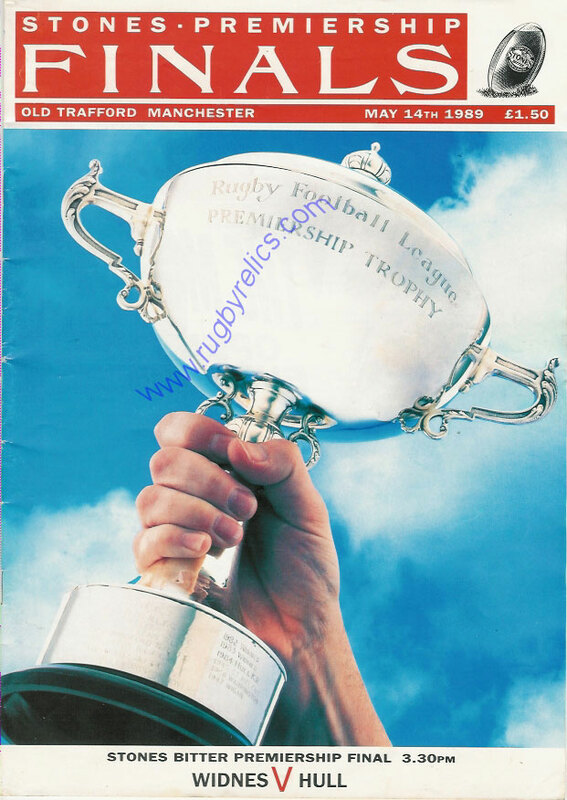 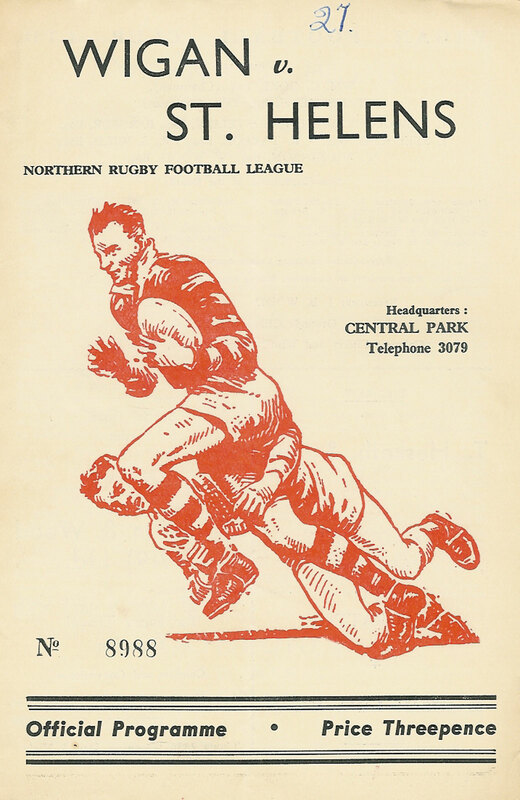 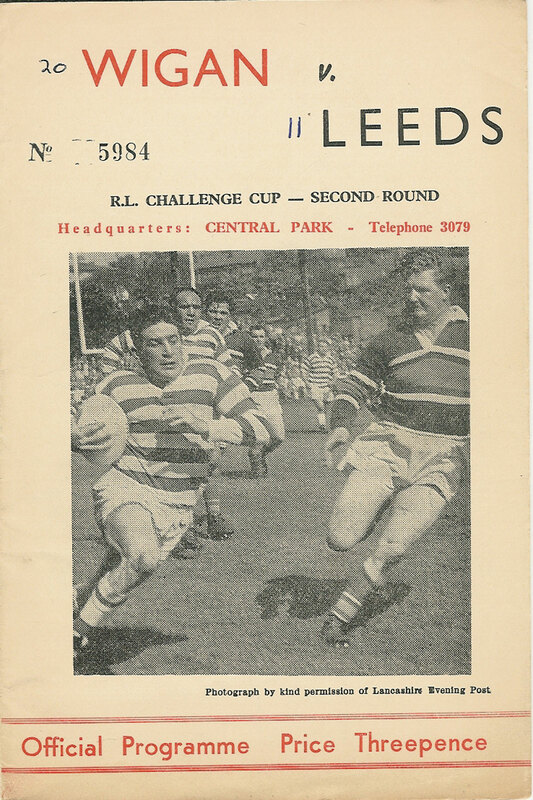 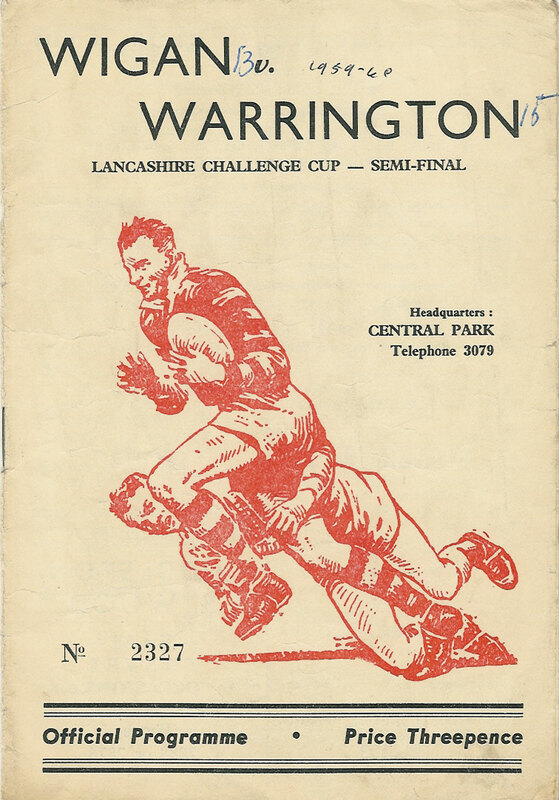 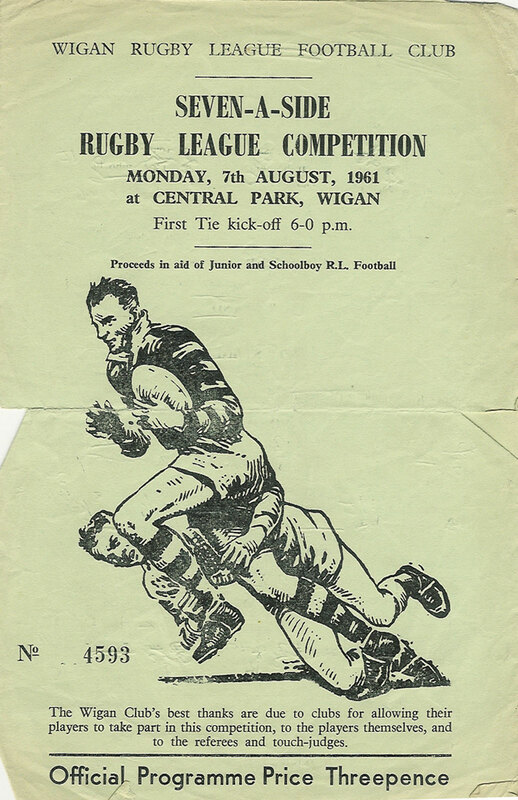 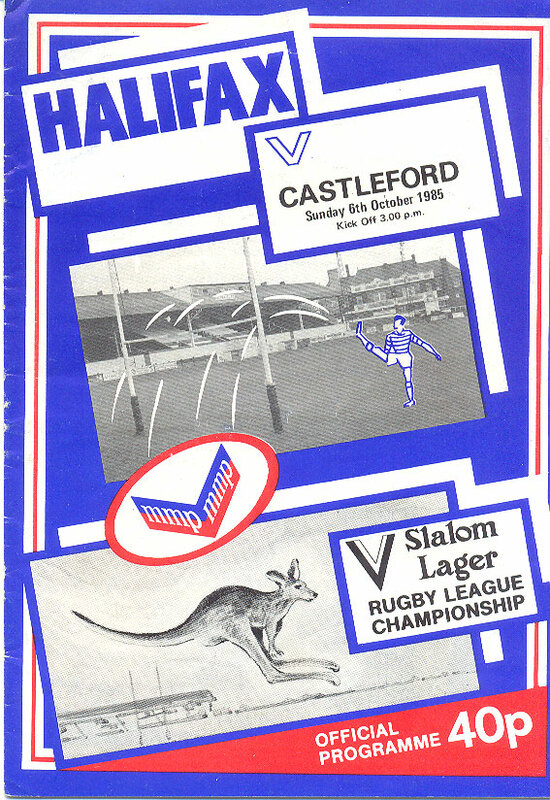 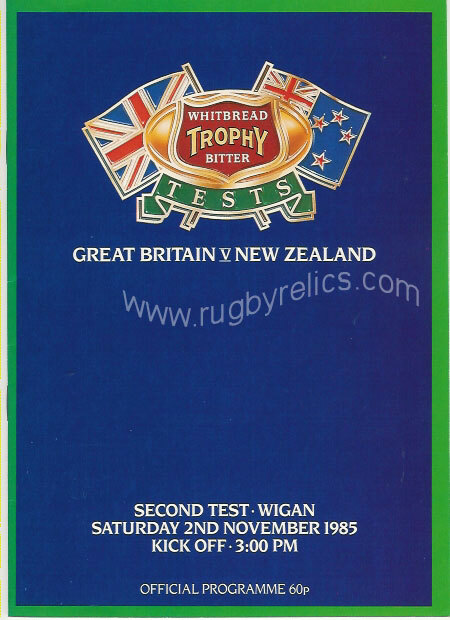 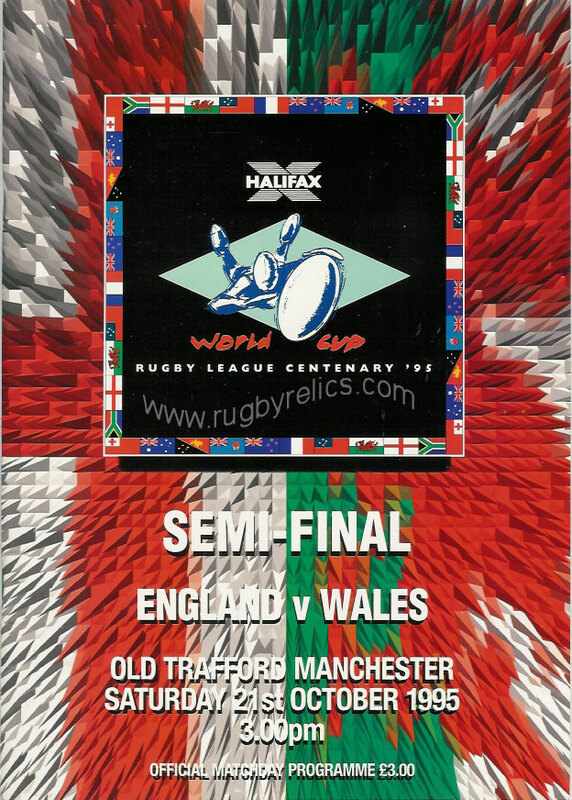 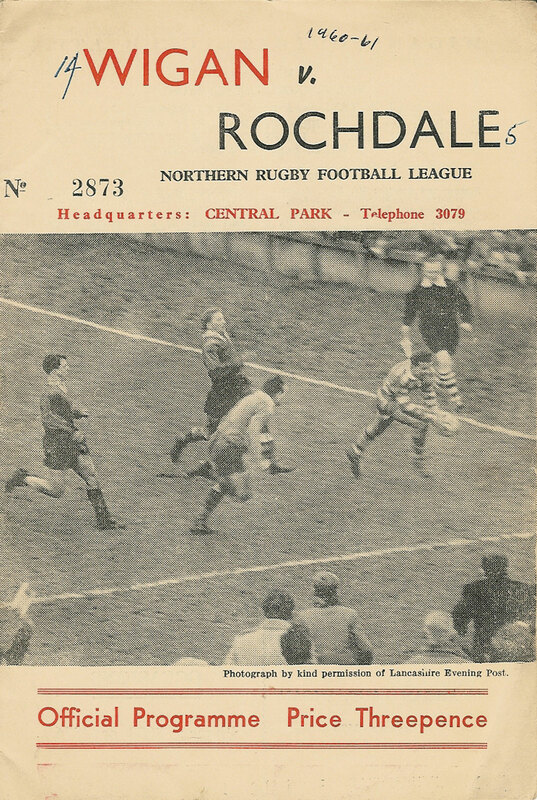 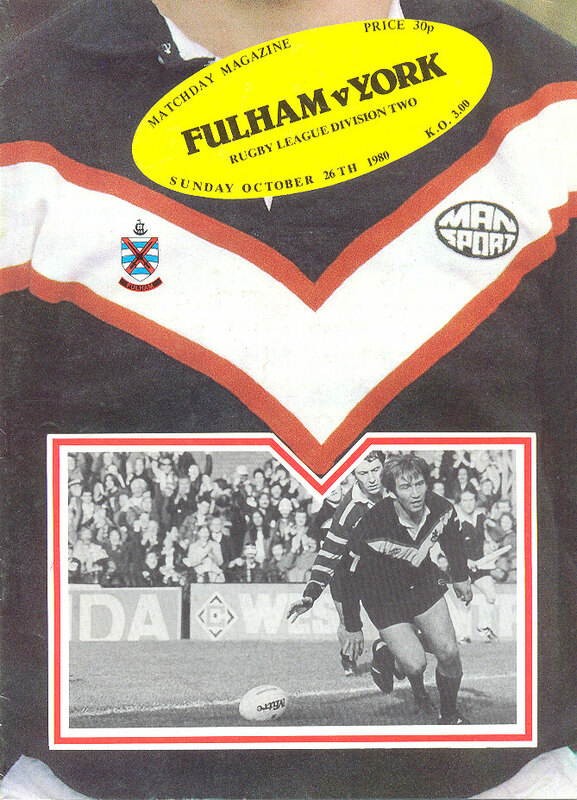 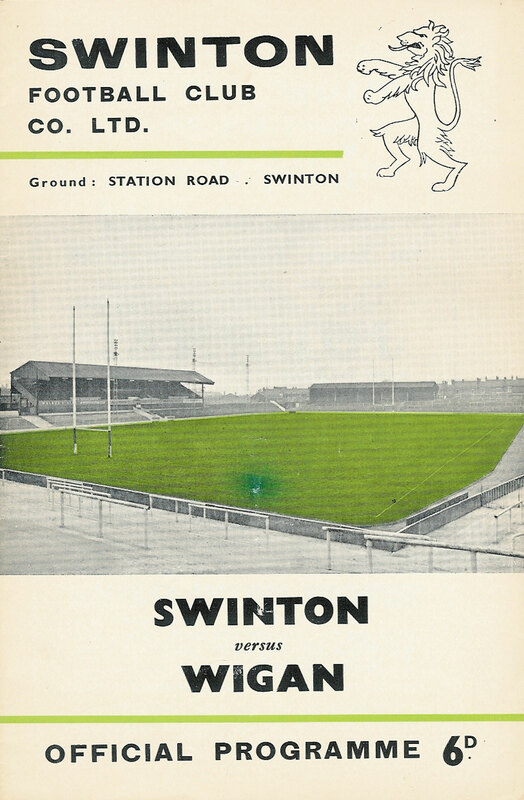 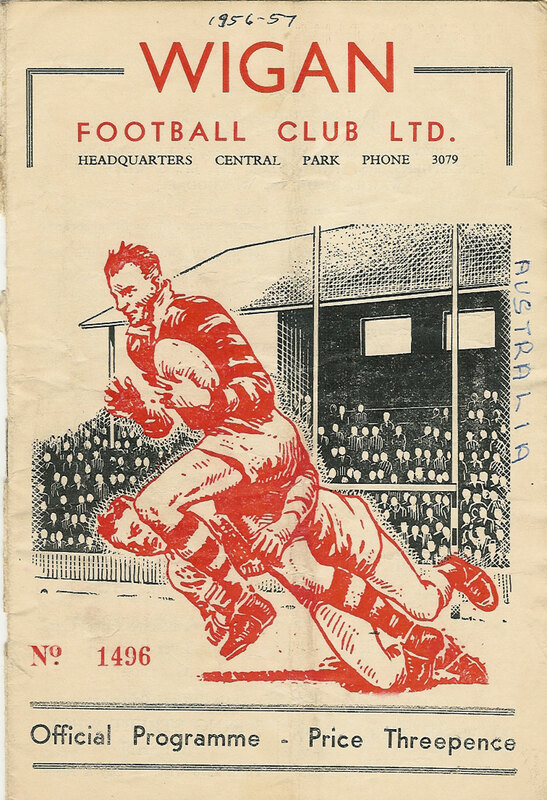 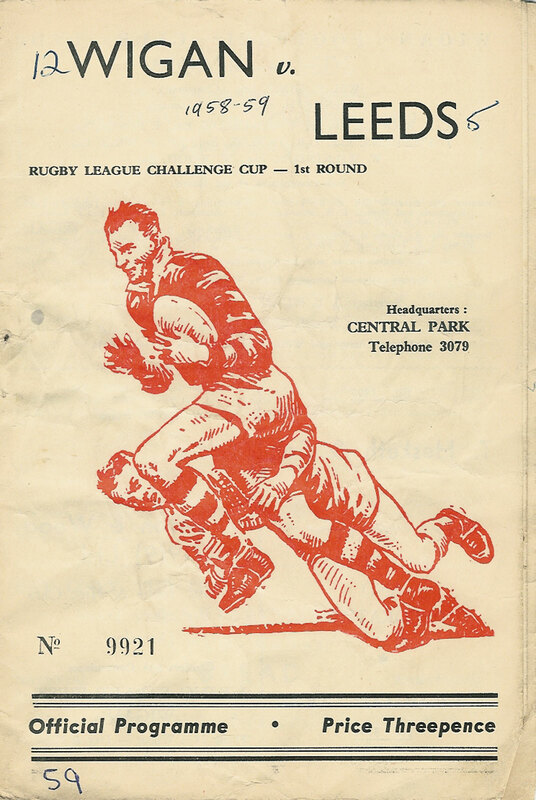 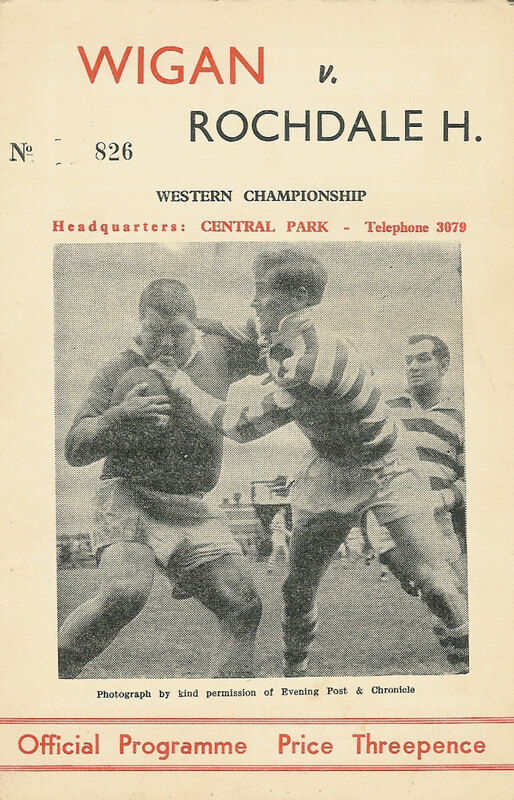 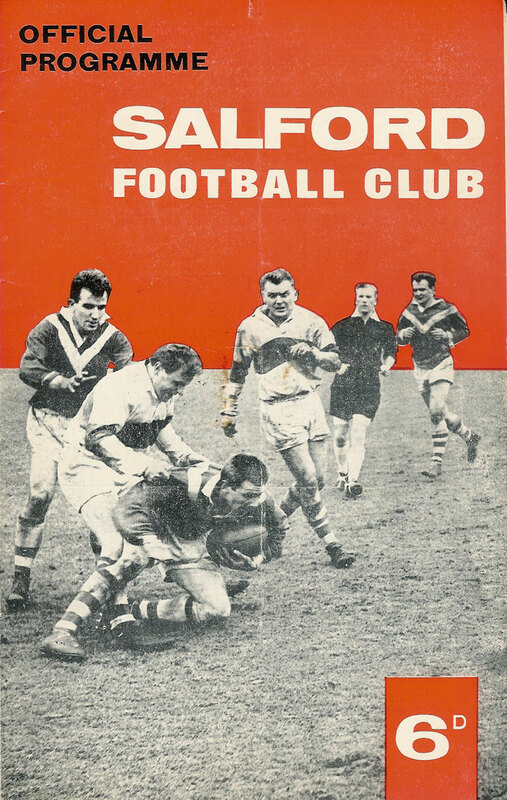 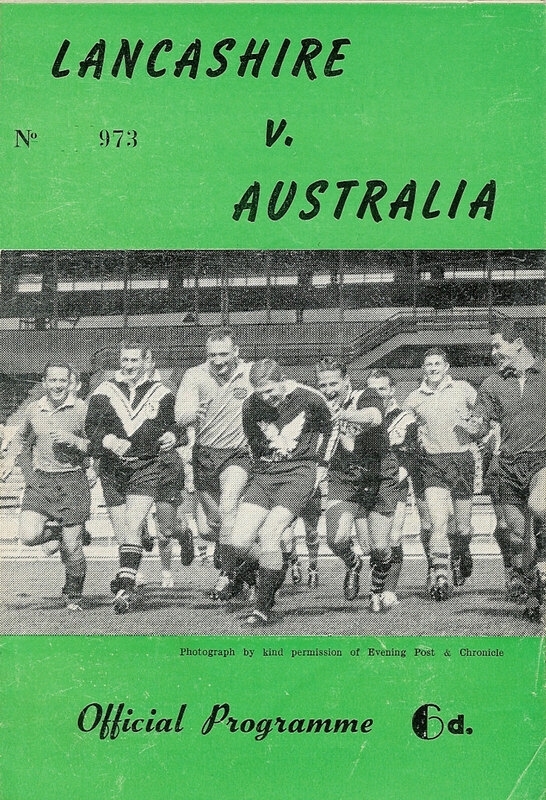 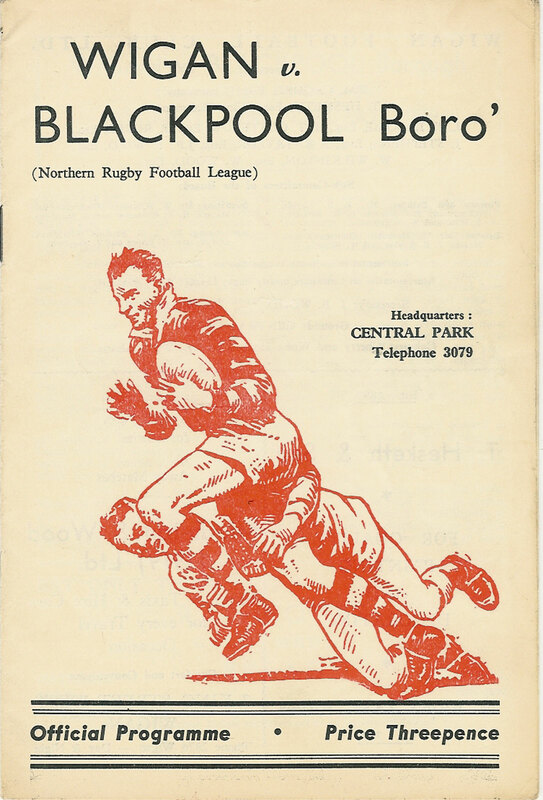 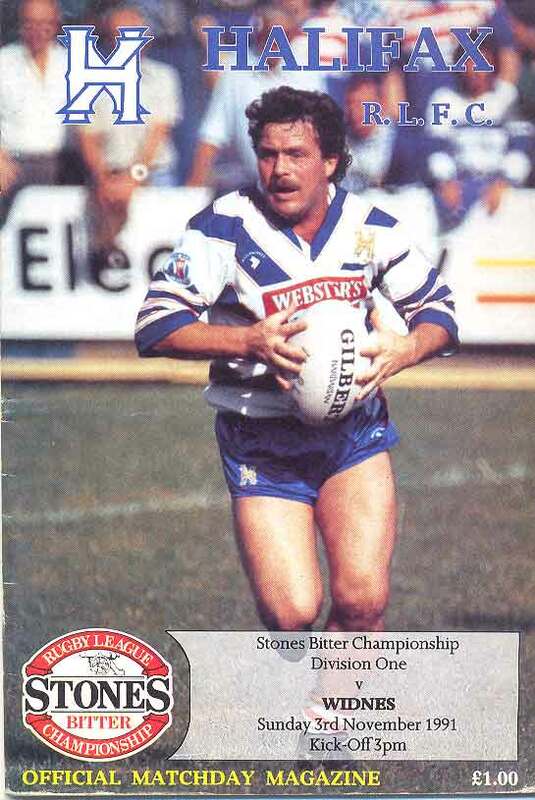 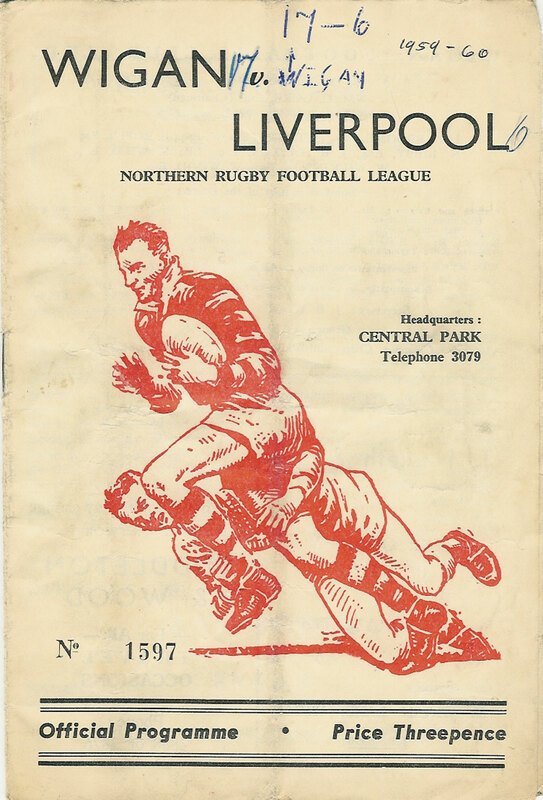 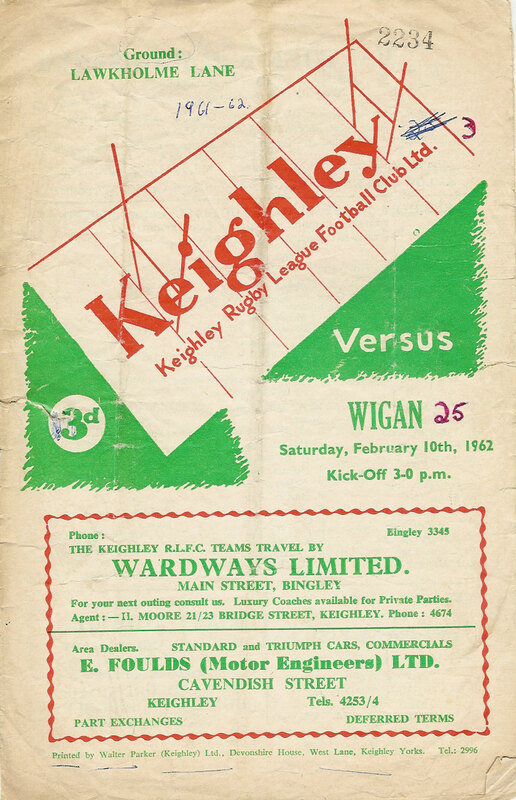 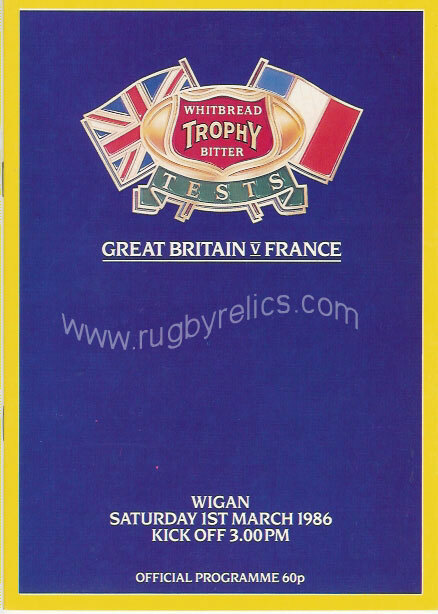 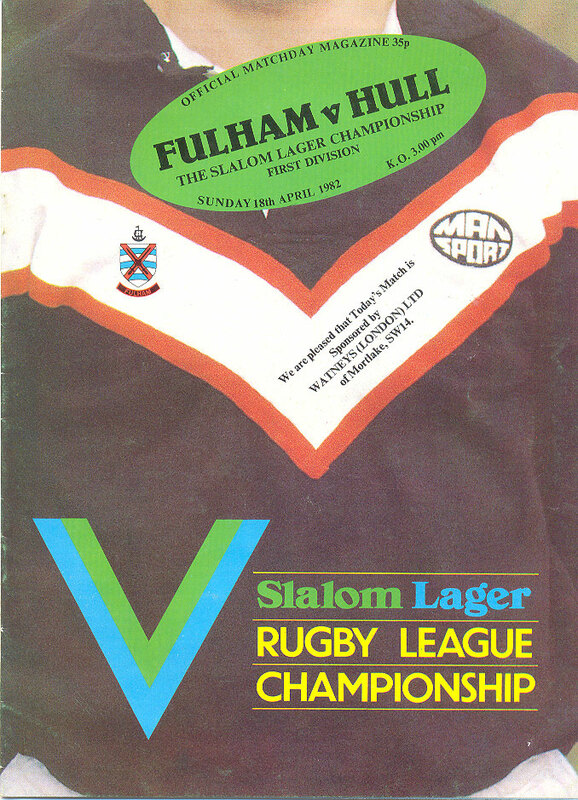 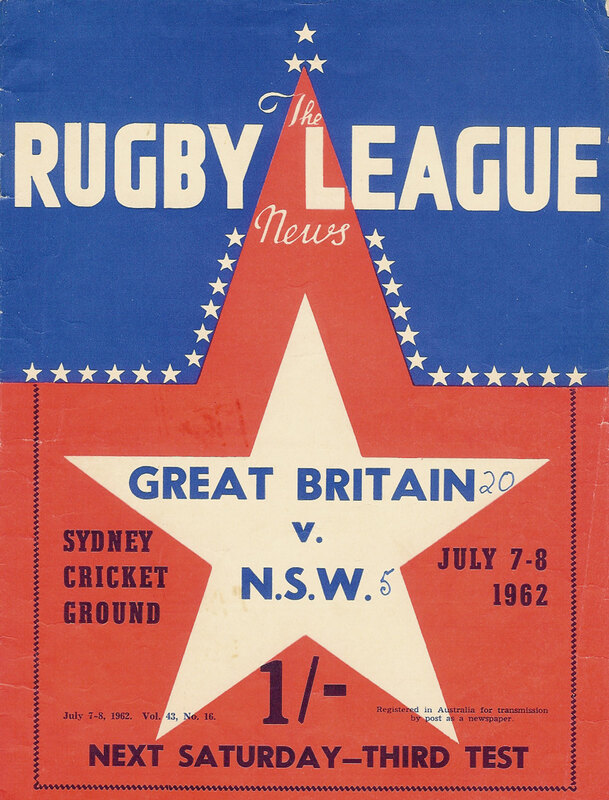 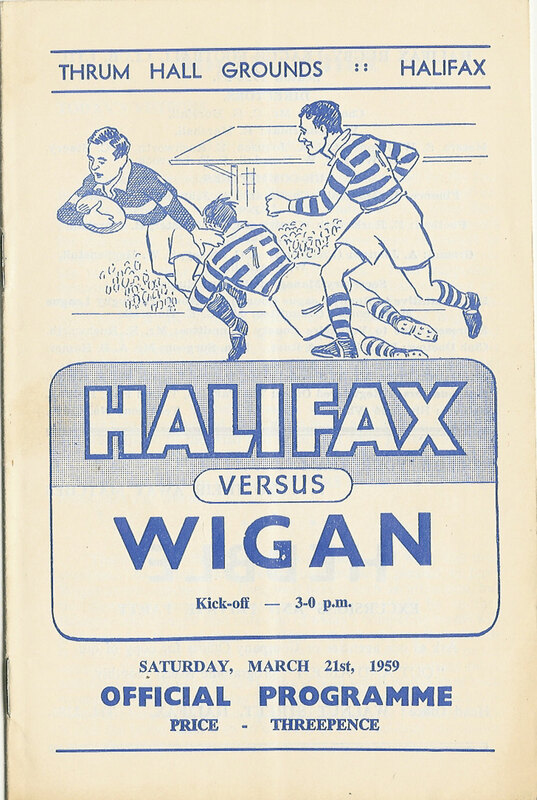 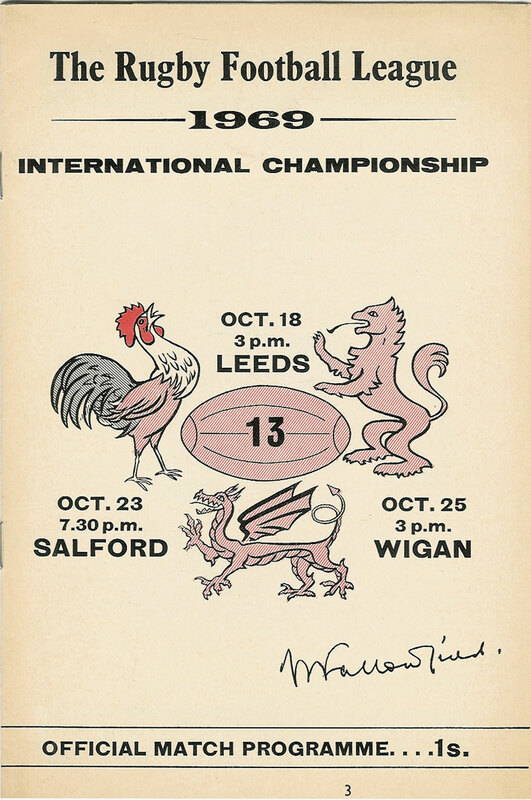 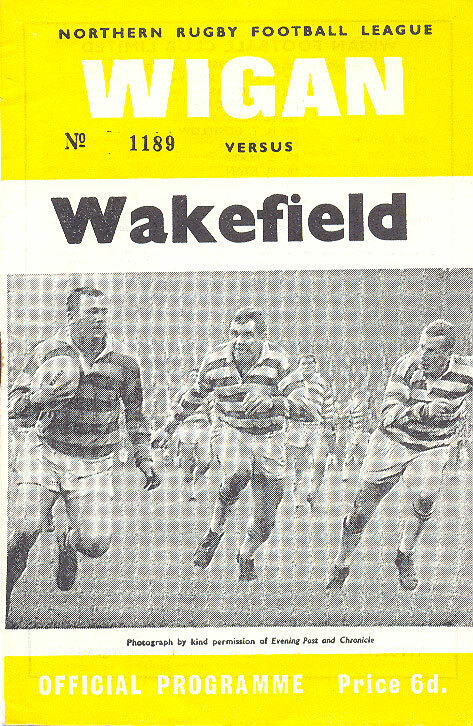 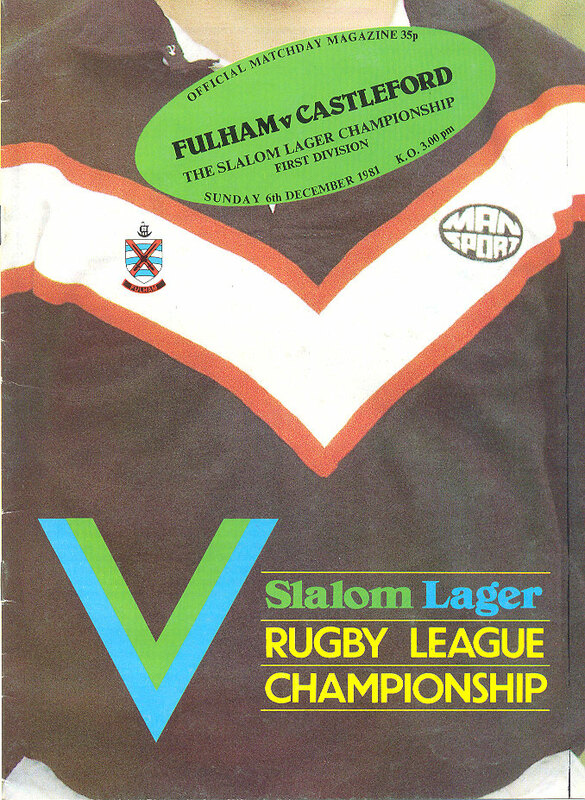 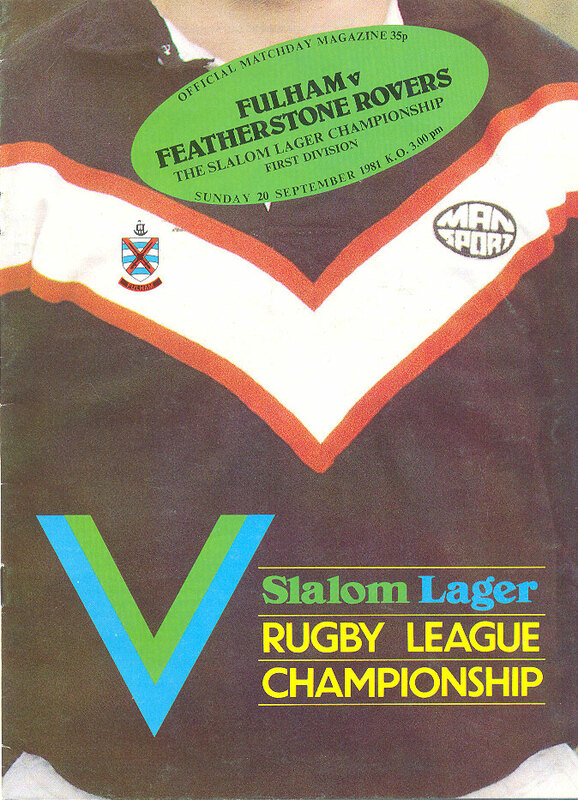 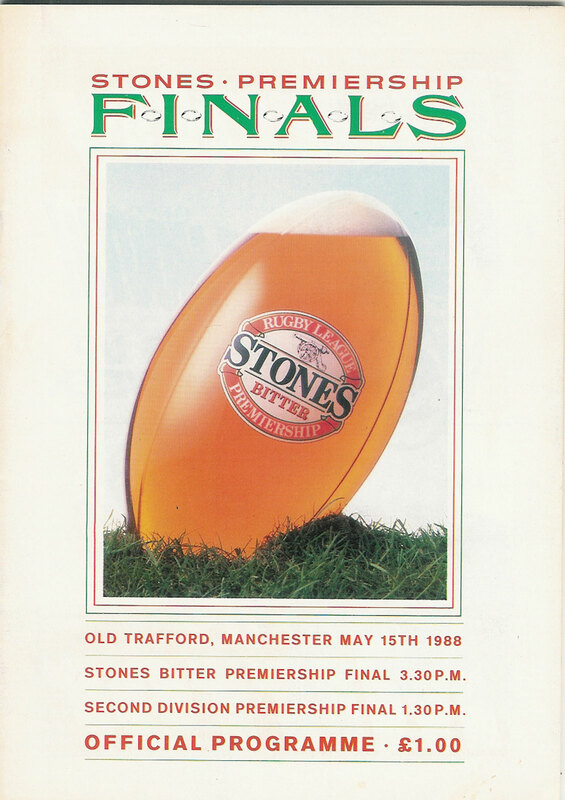 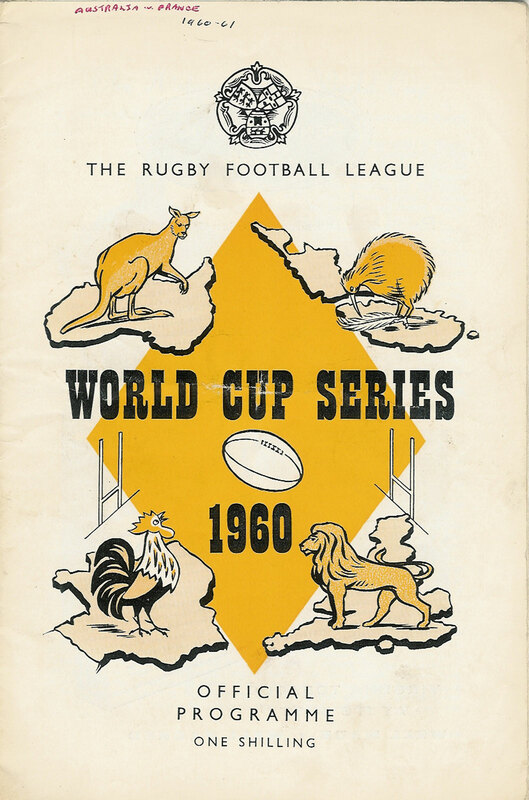 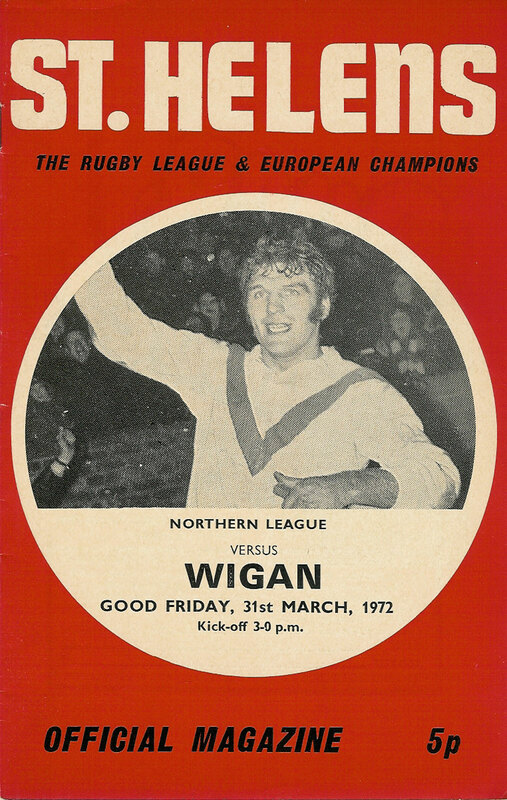 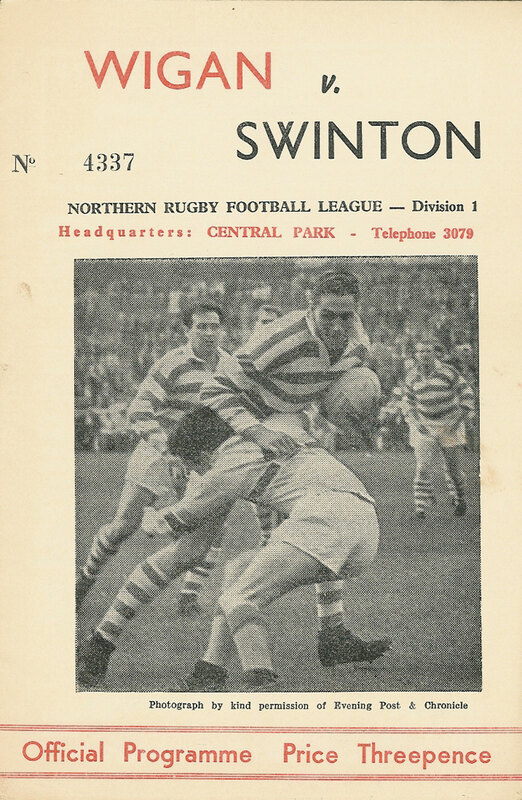 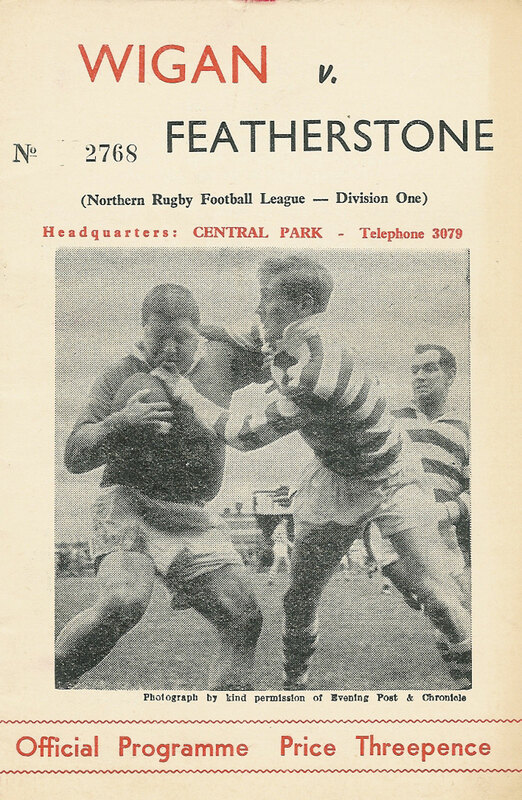 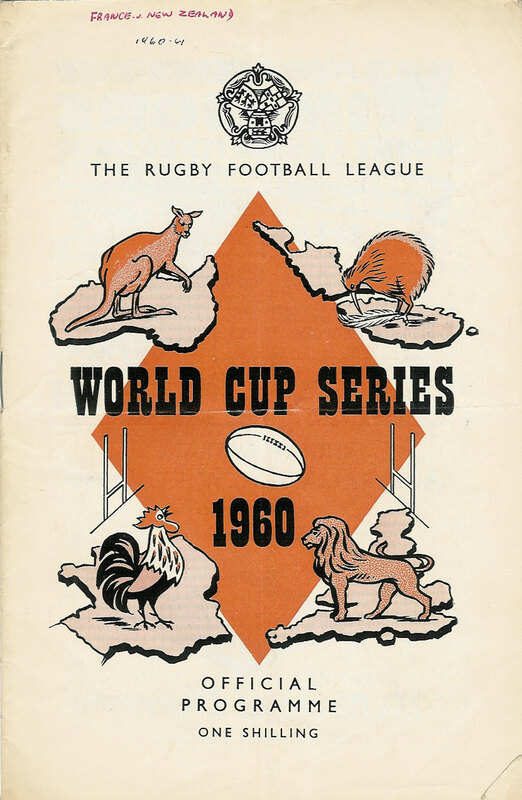 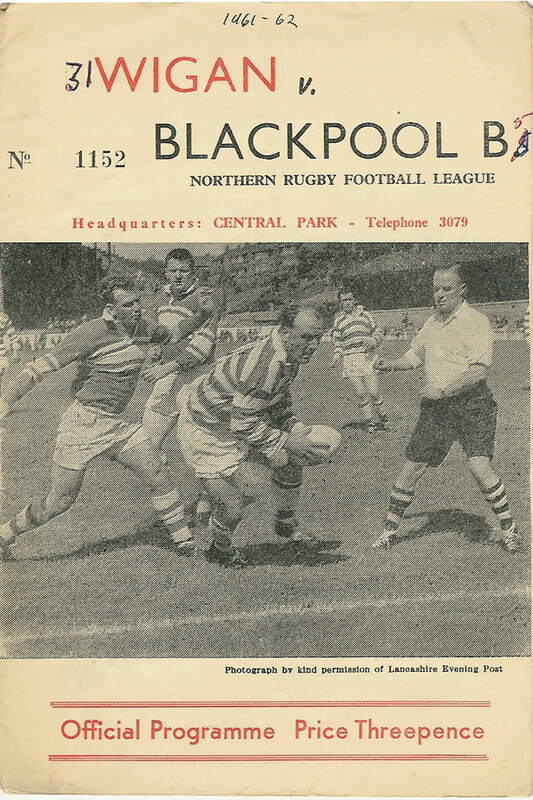 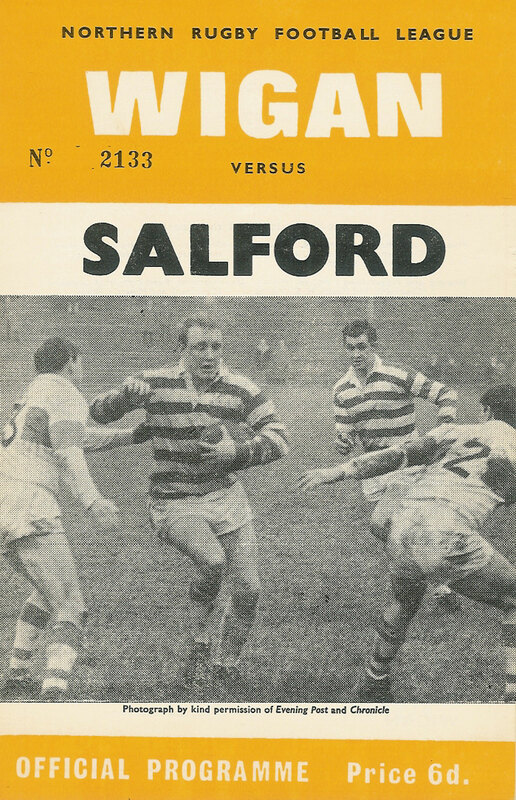 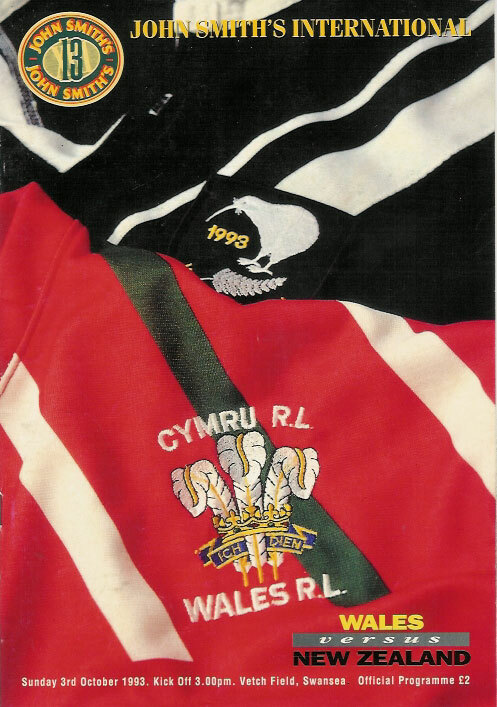 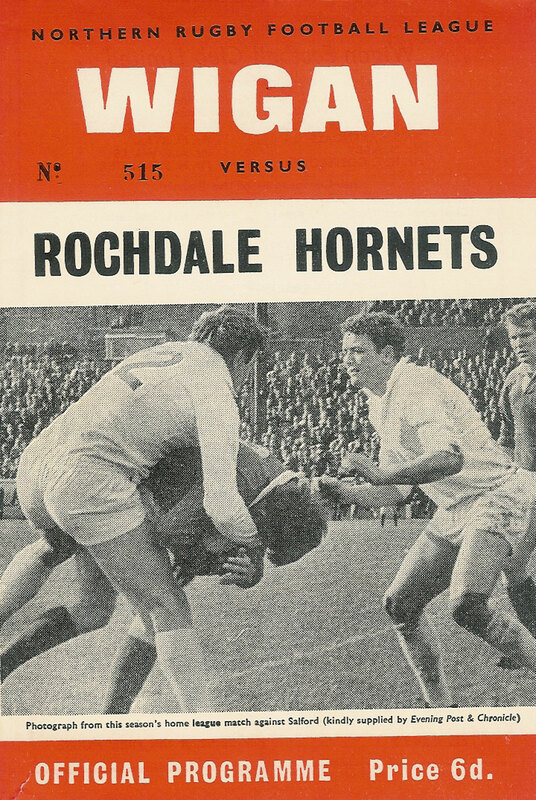 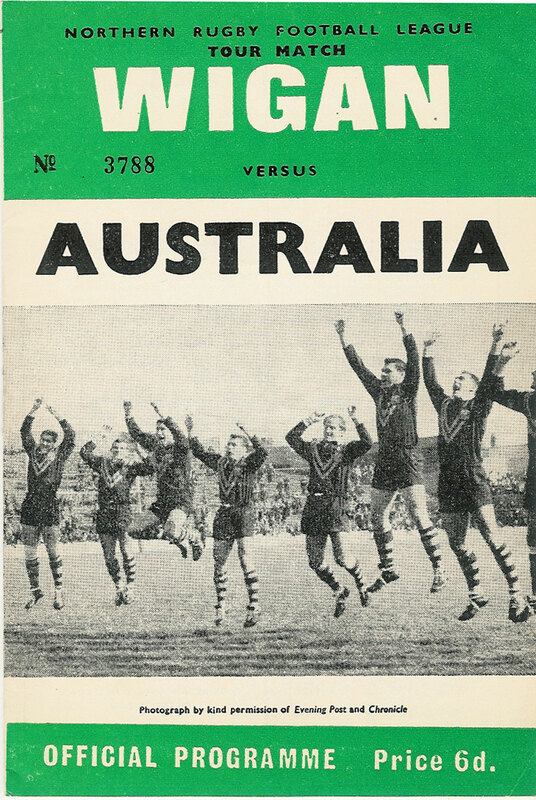 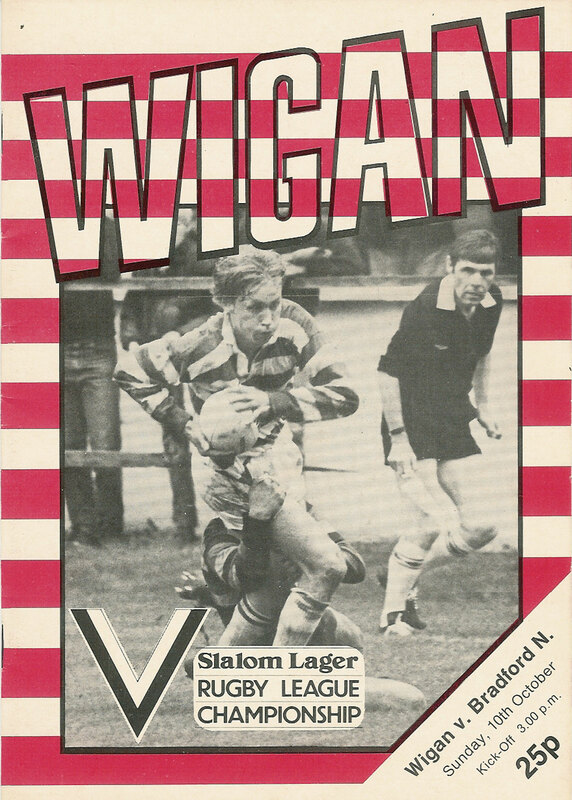 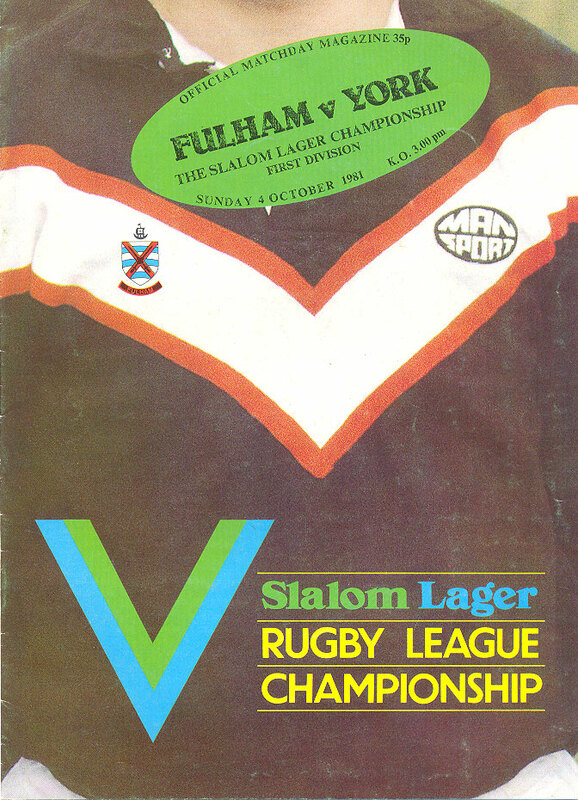 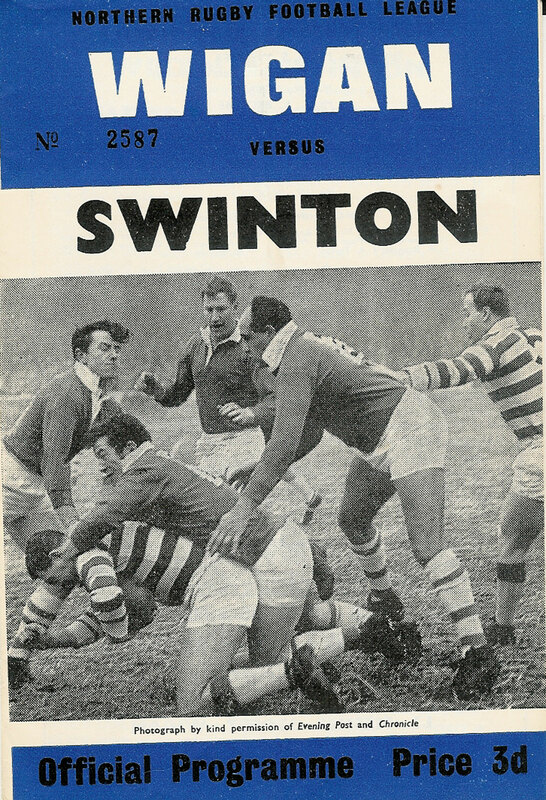 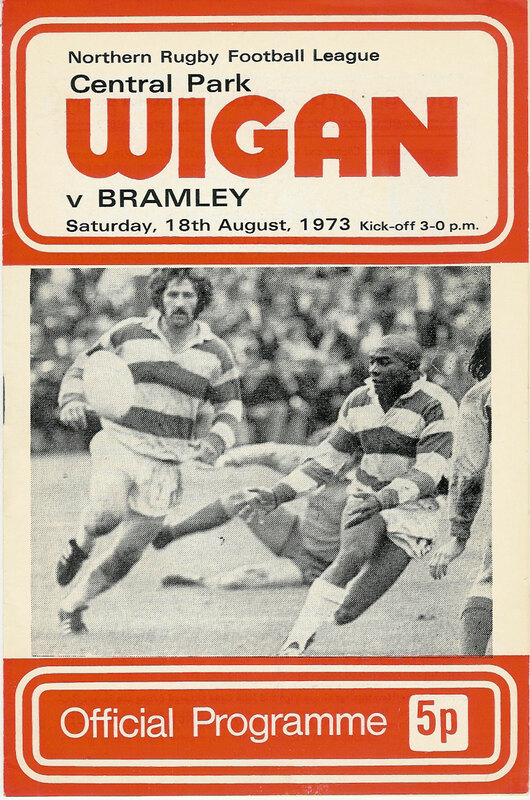 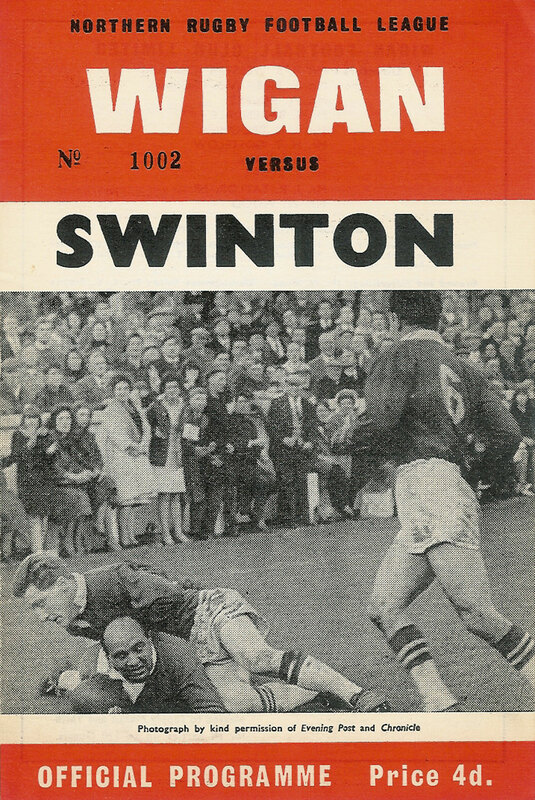 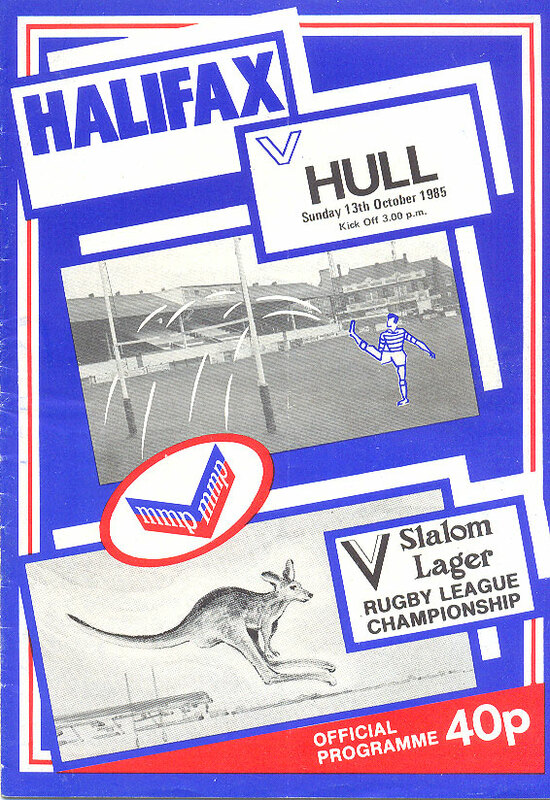 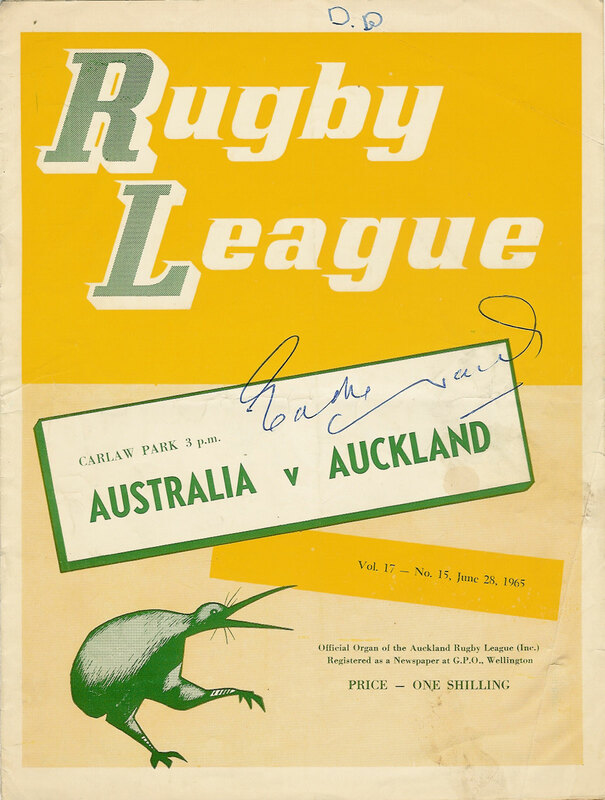 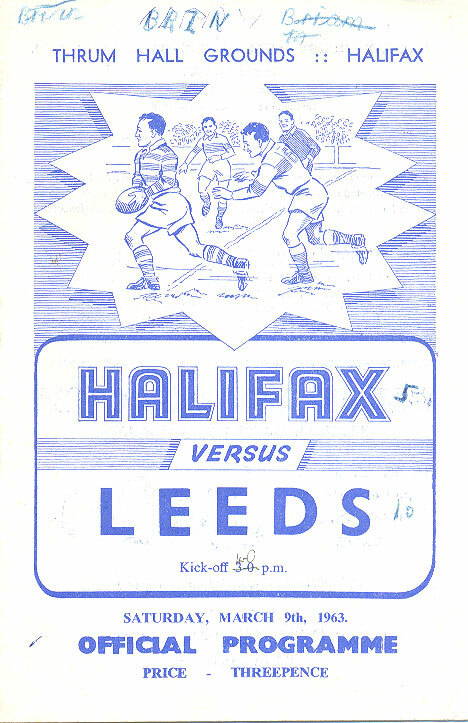 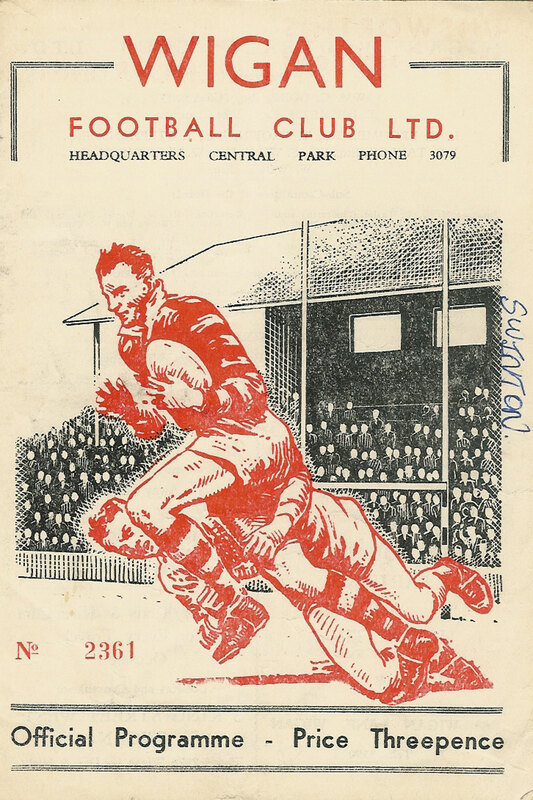 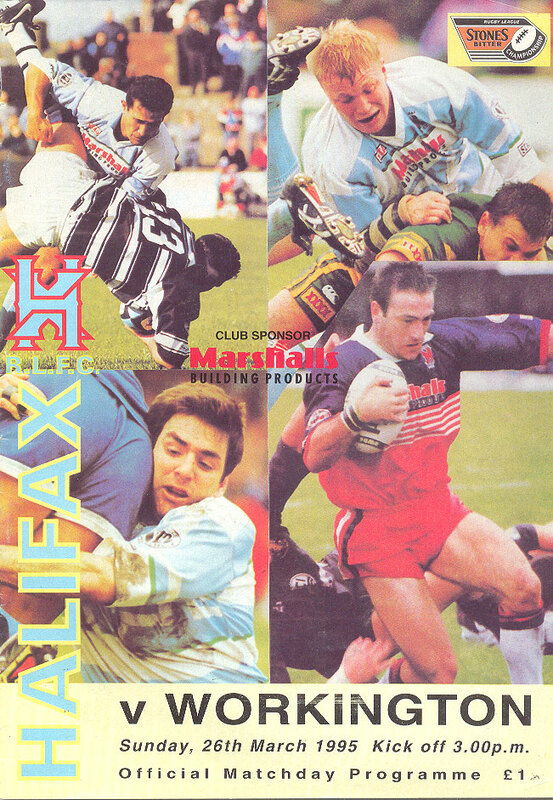 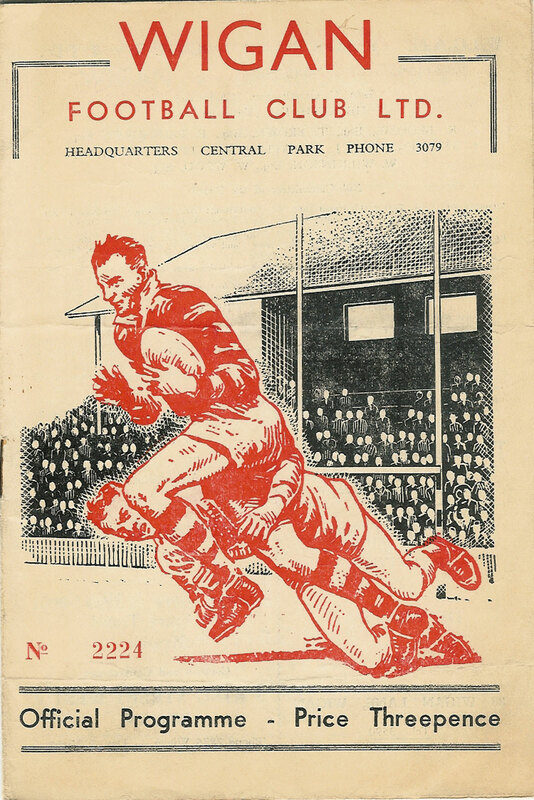 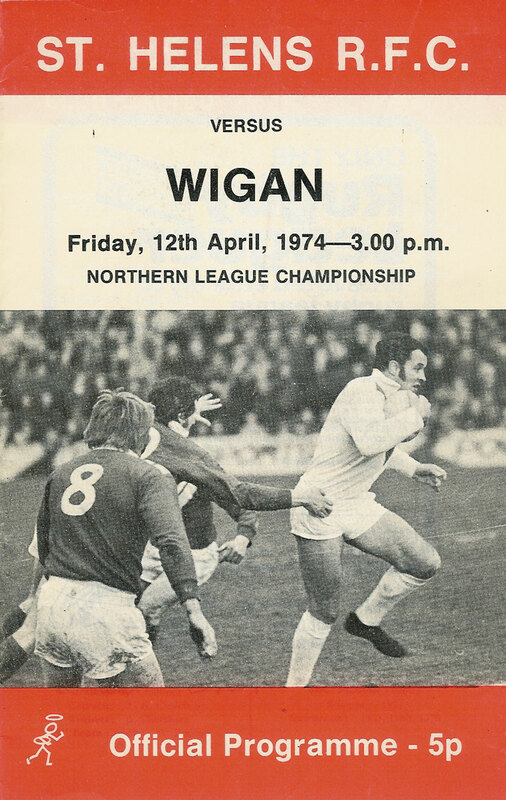 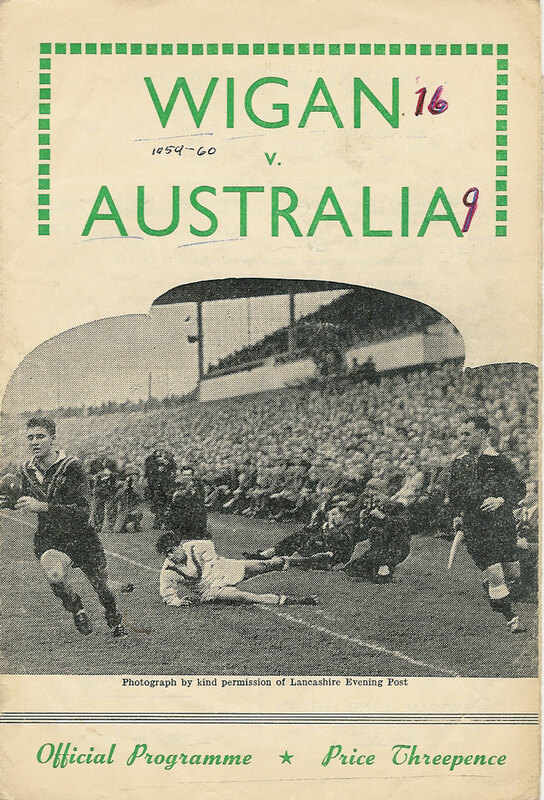 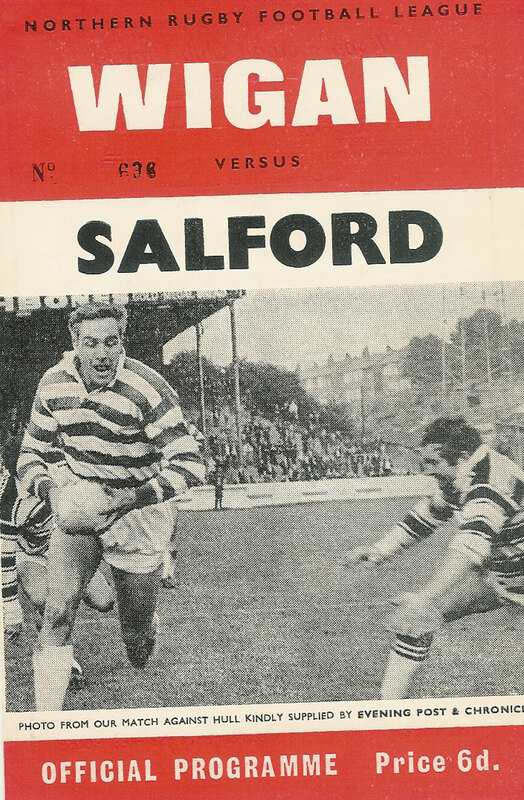 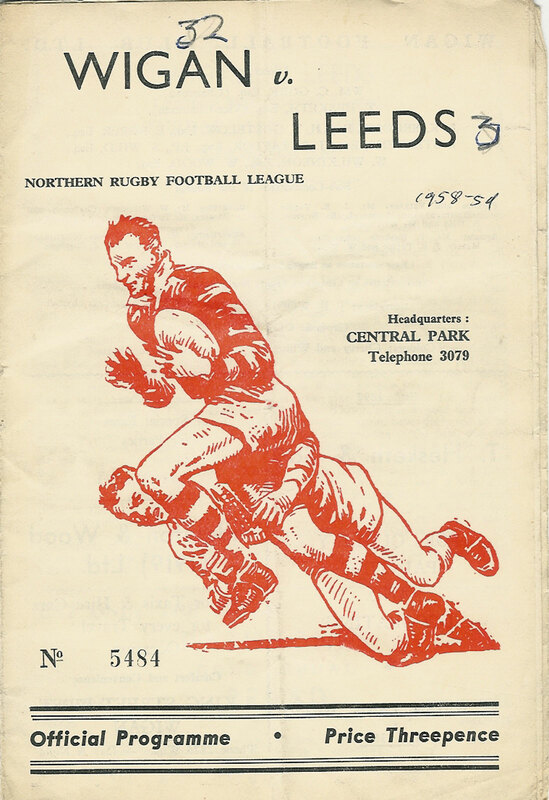 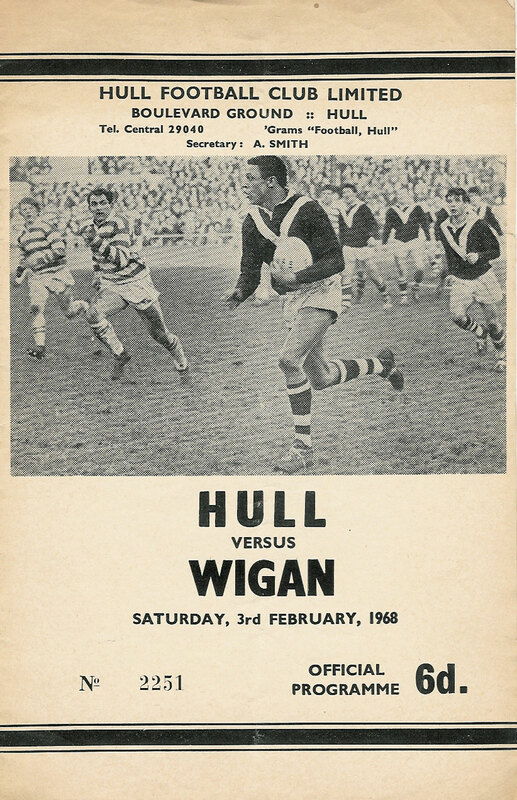 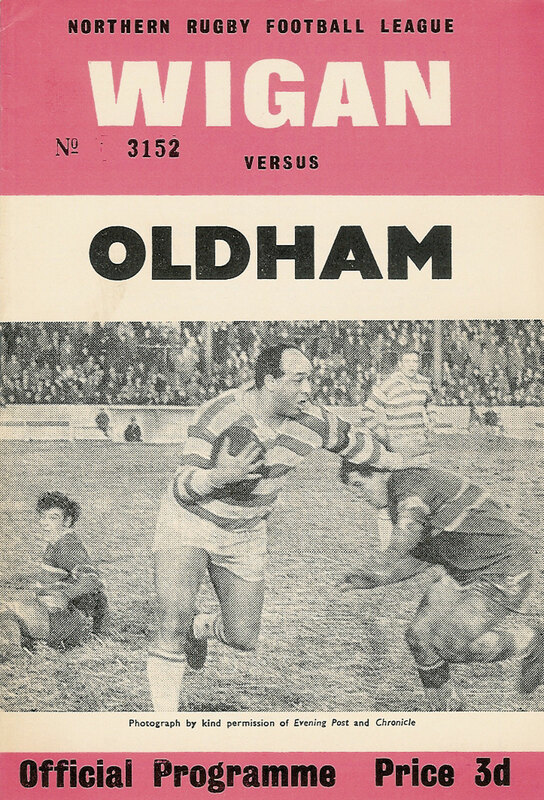 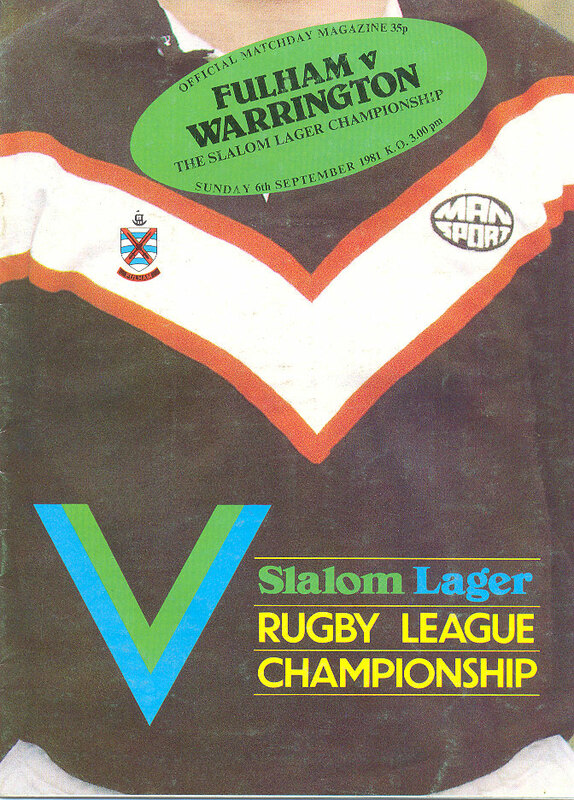 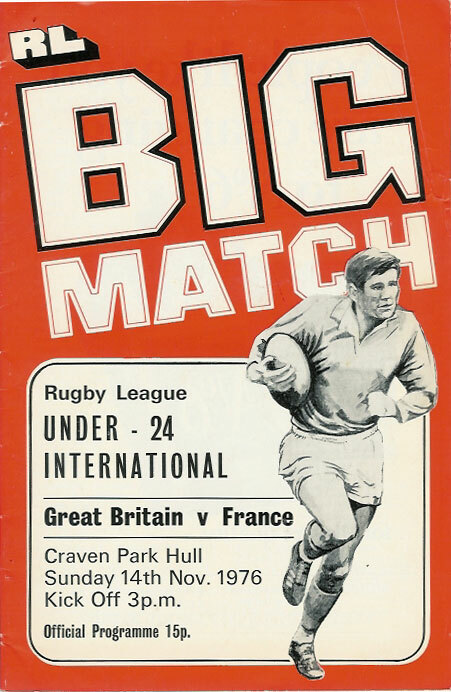 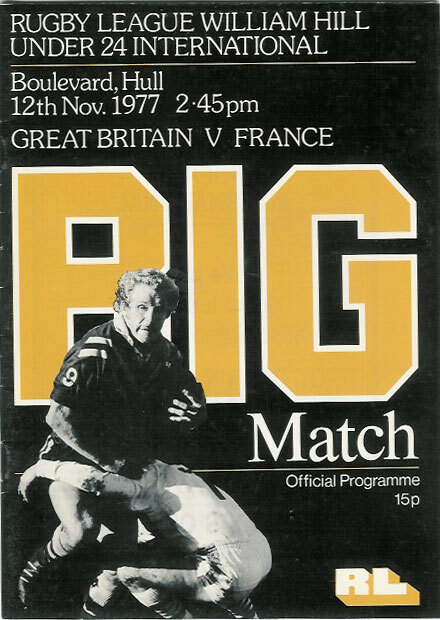 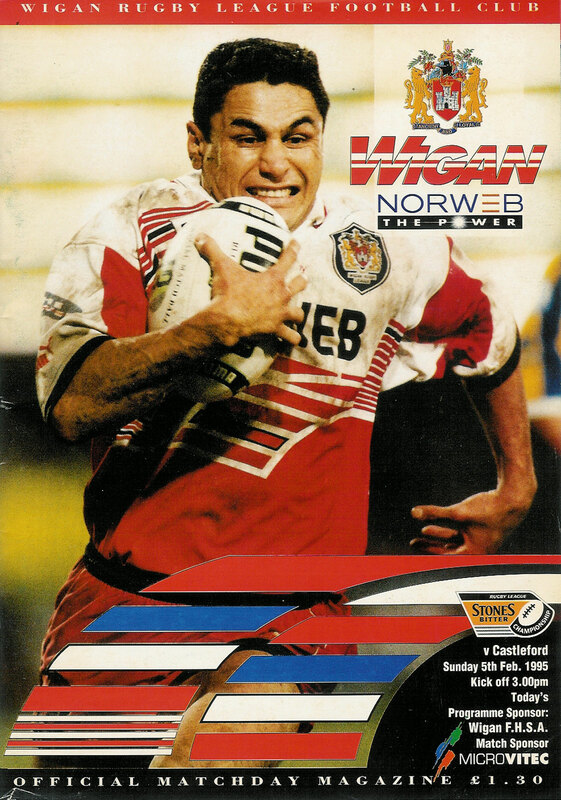 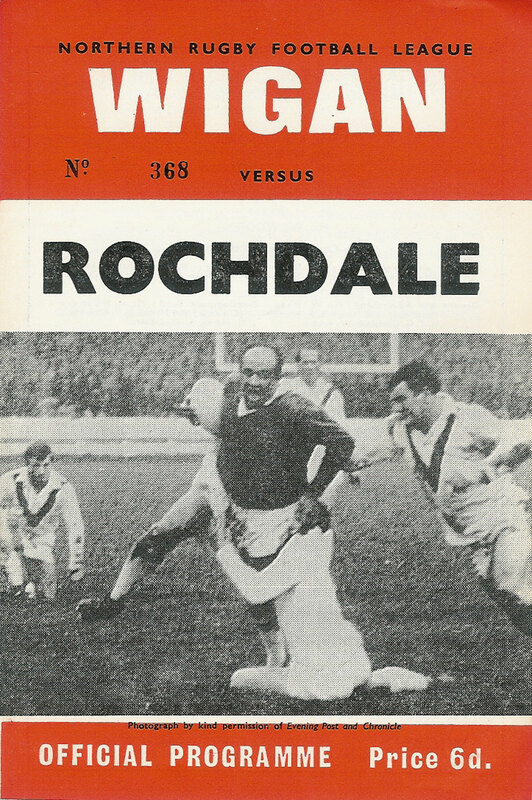 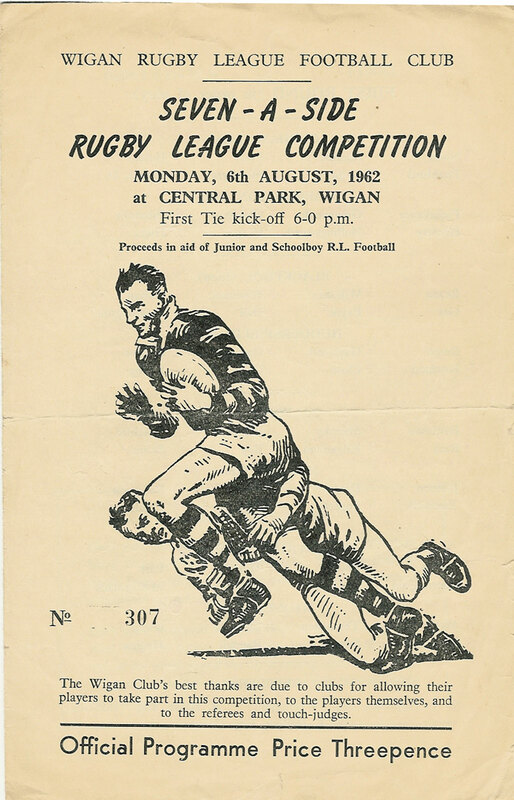 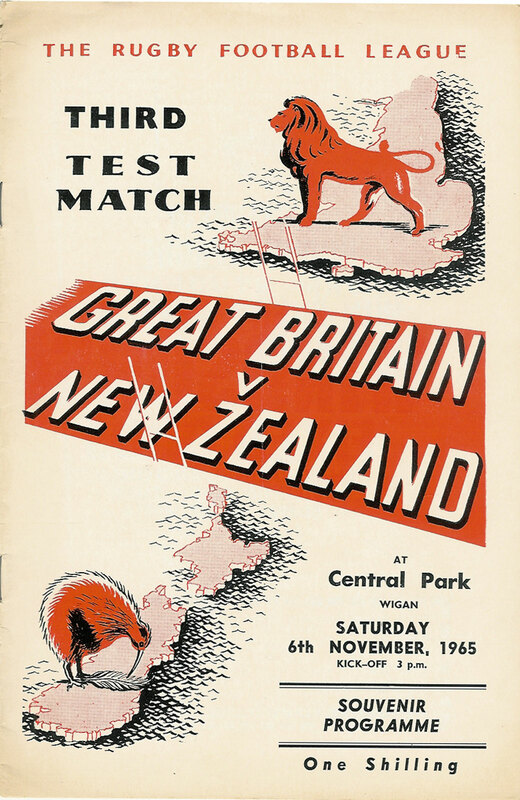 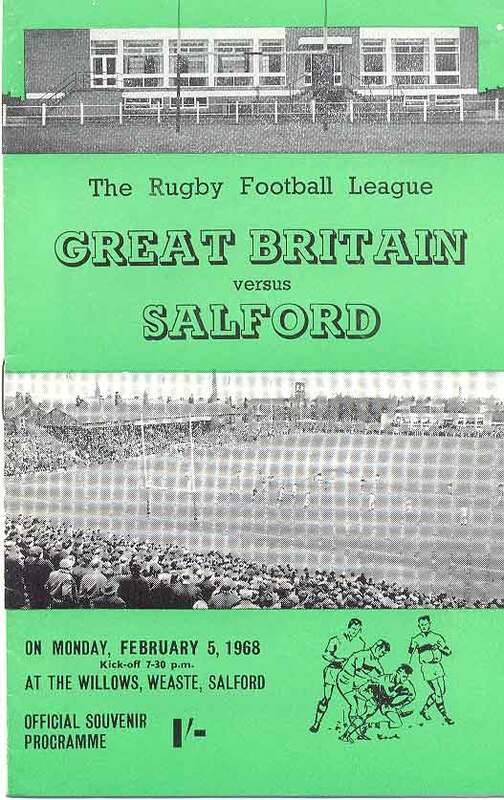 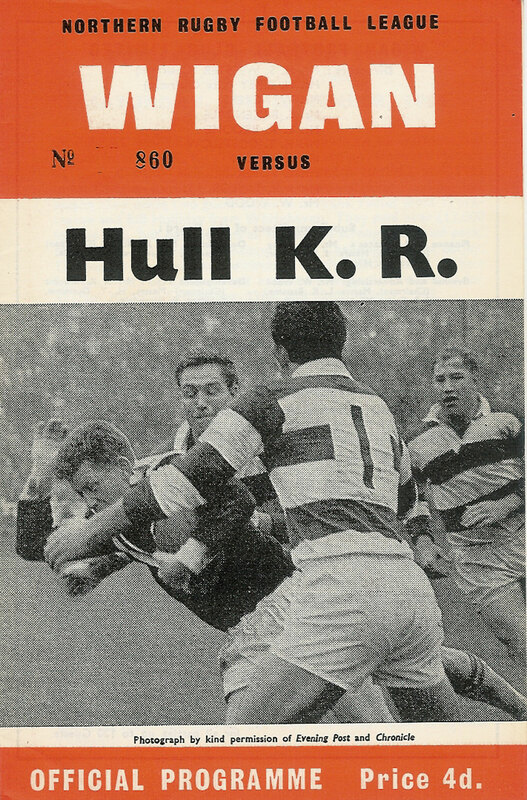 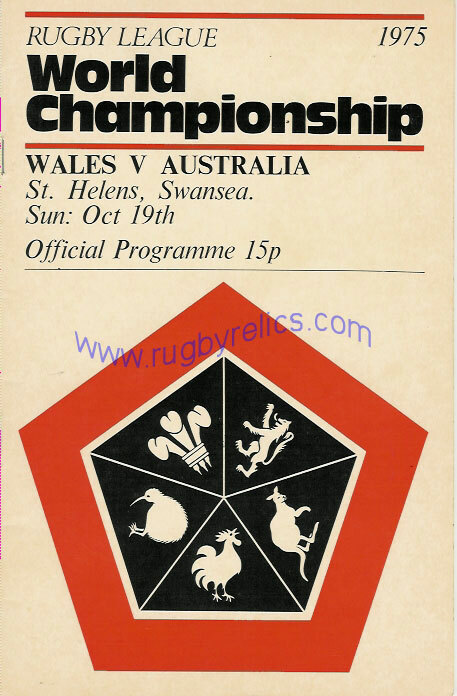 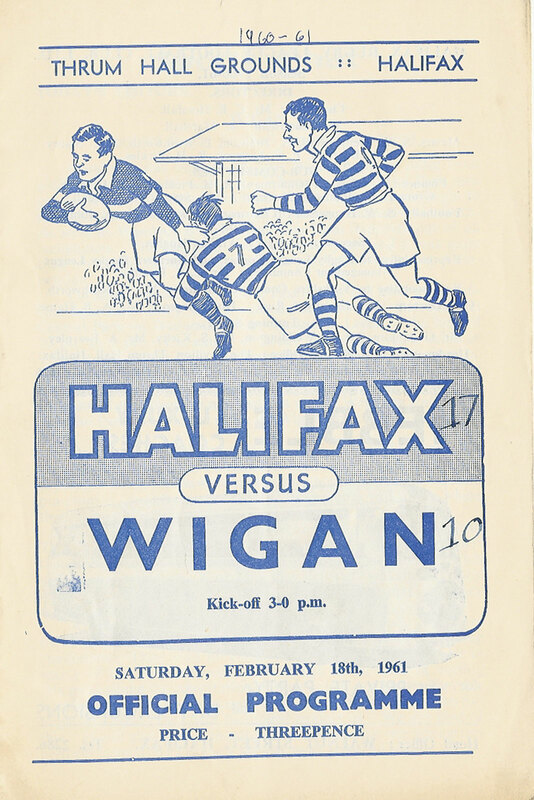 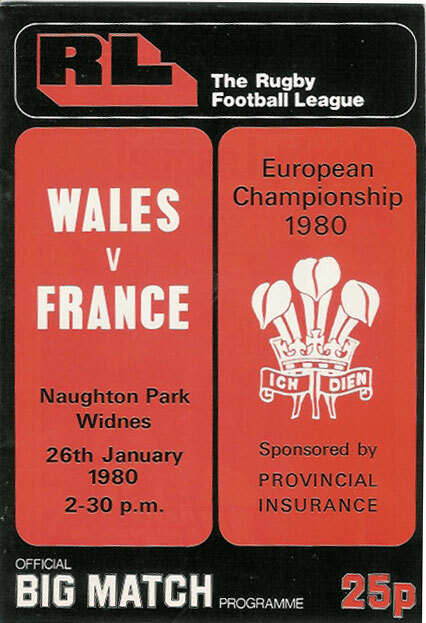 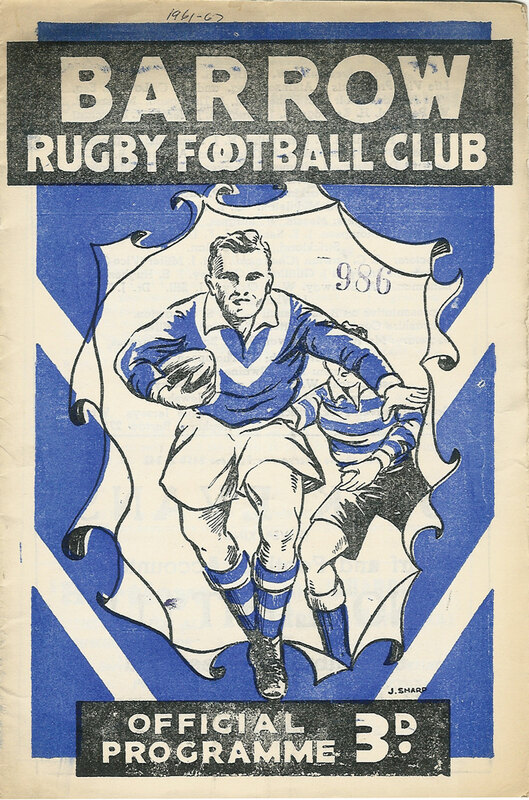 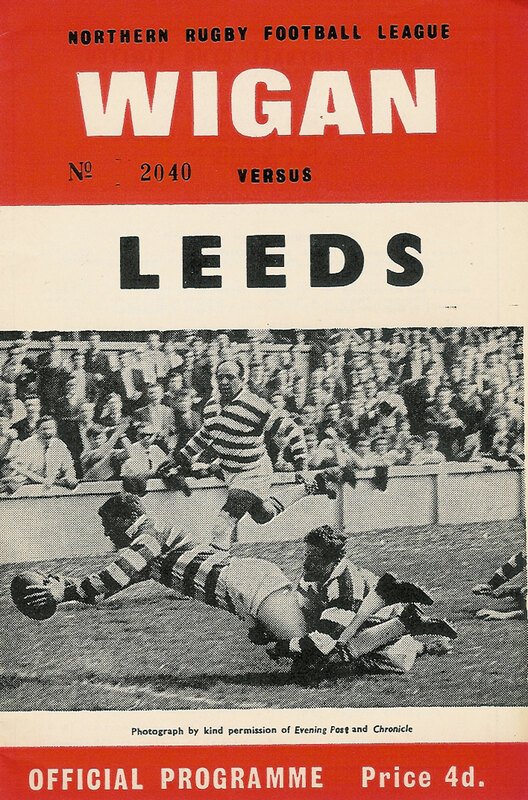 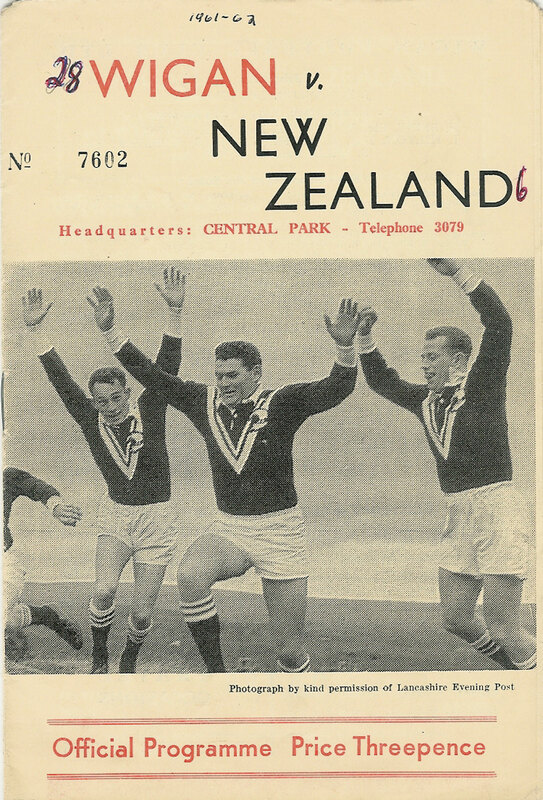 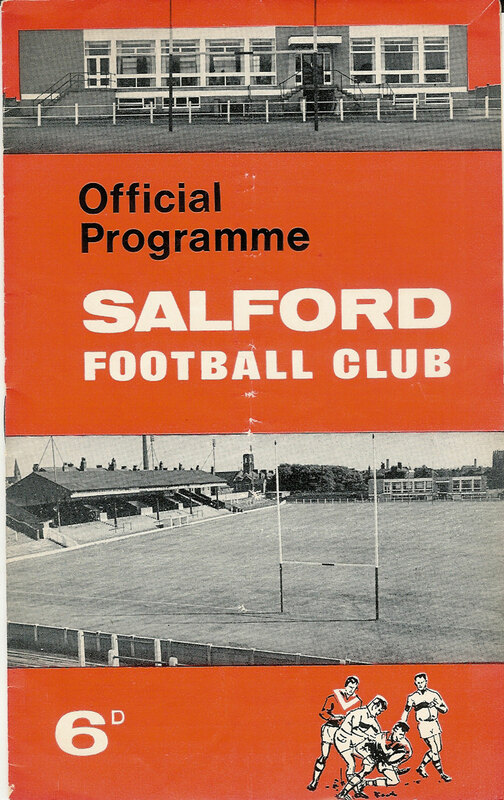 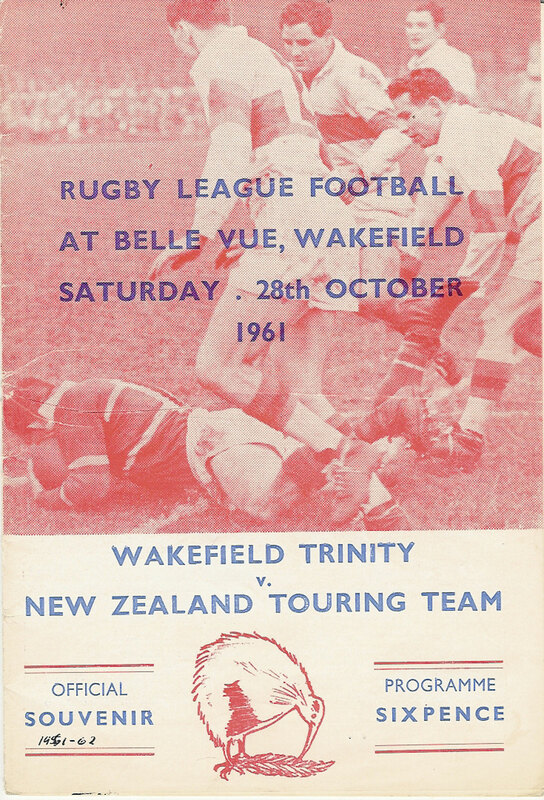 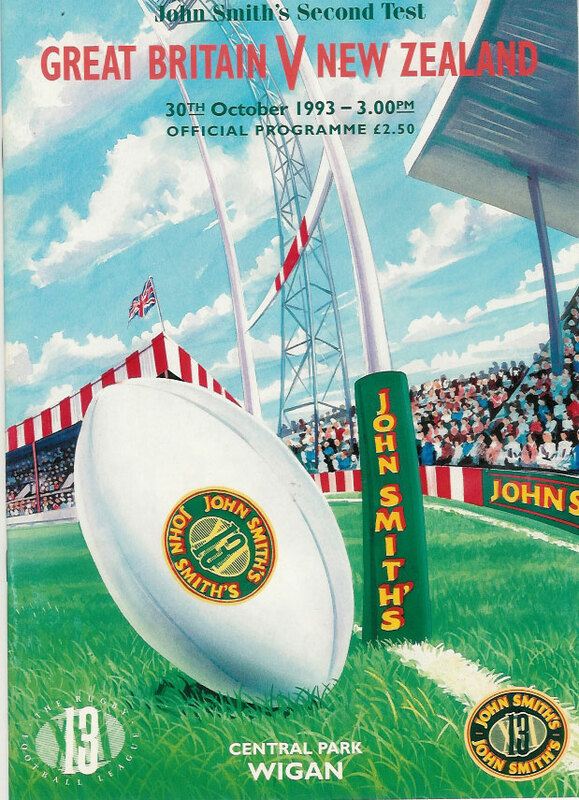 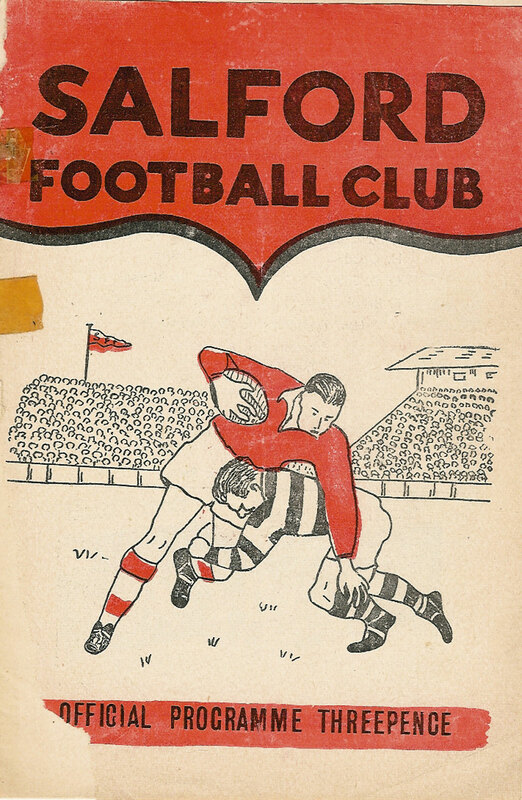 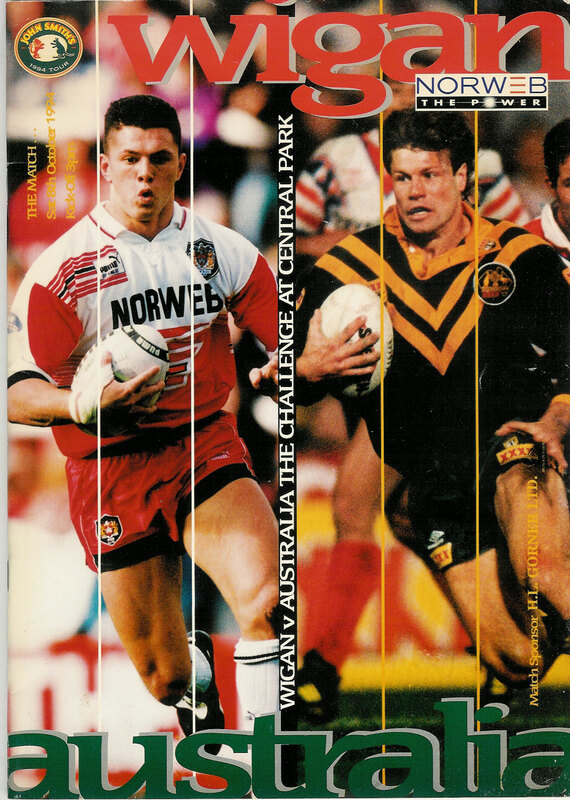 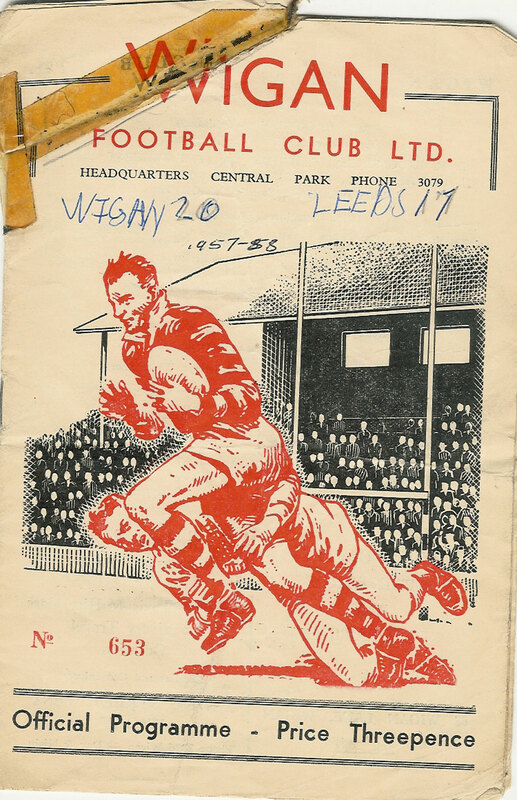 A selection of collectable Rugby League programmes from past Rugby League matches around the world. 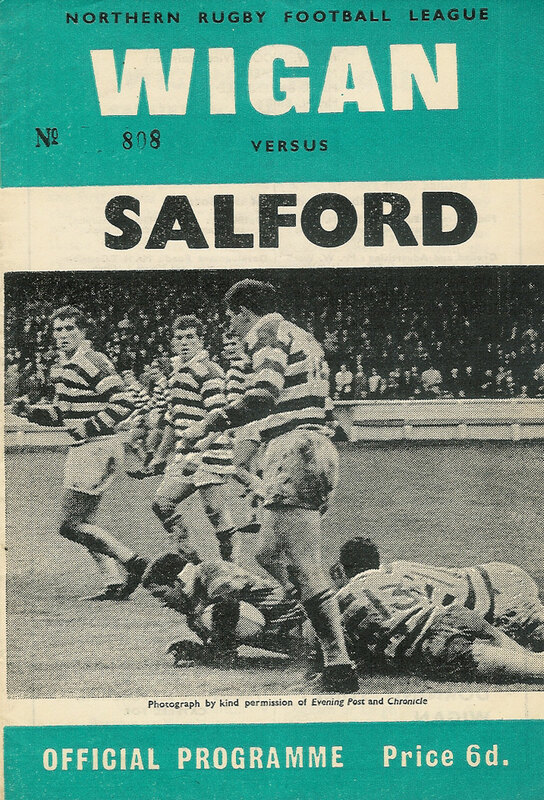 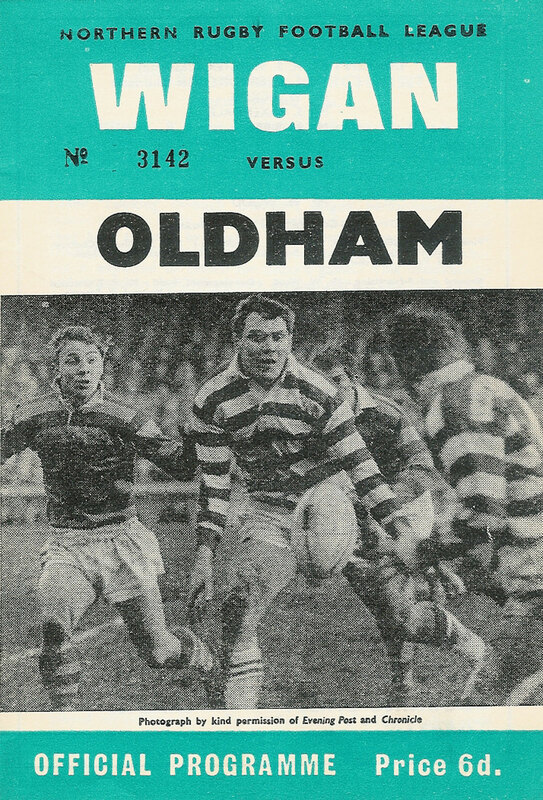 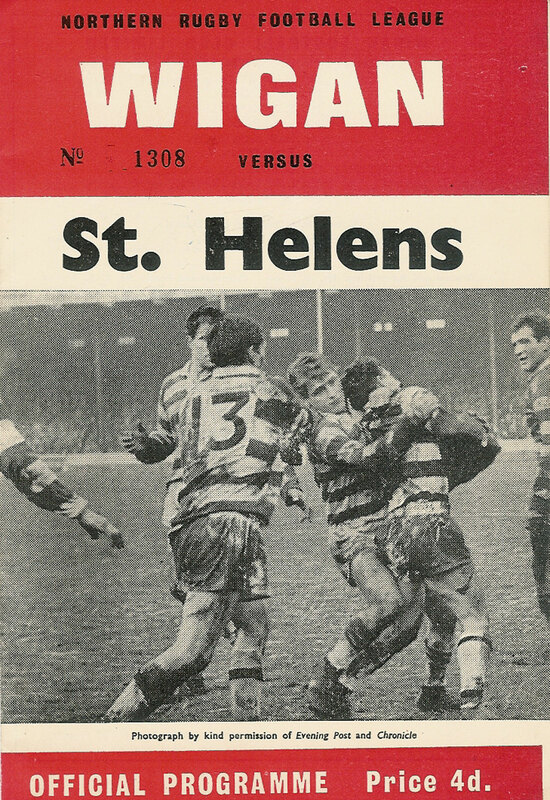 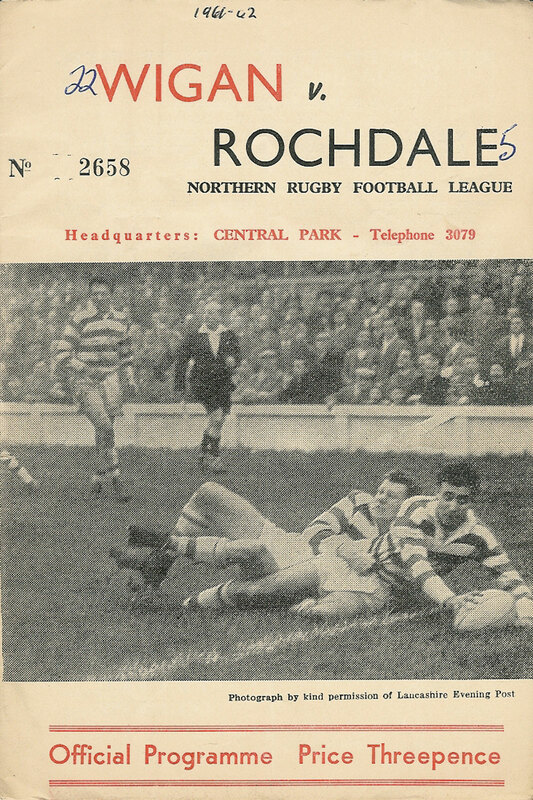 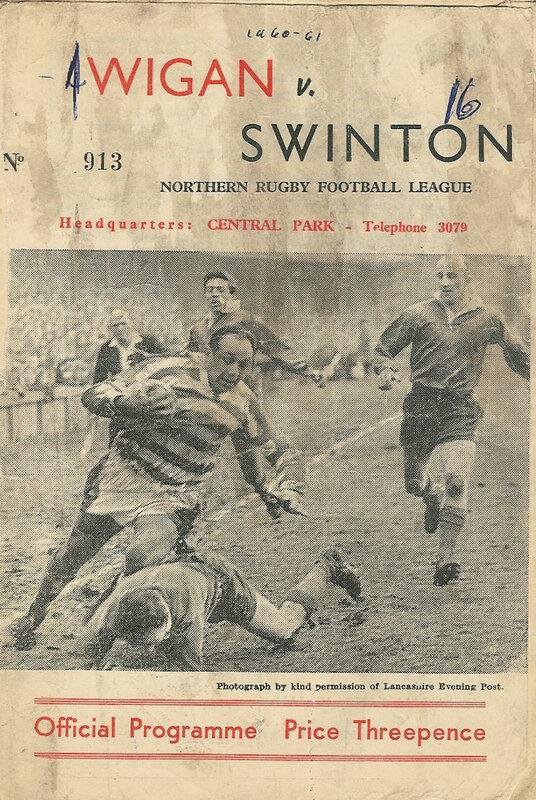 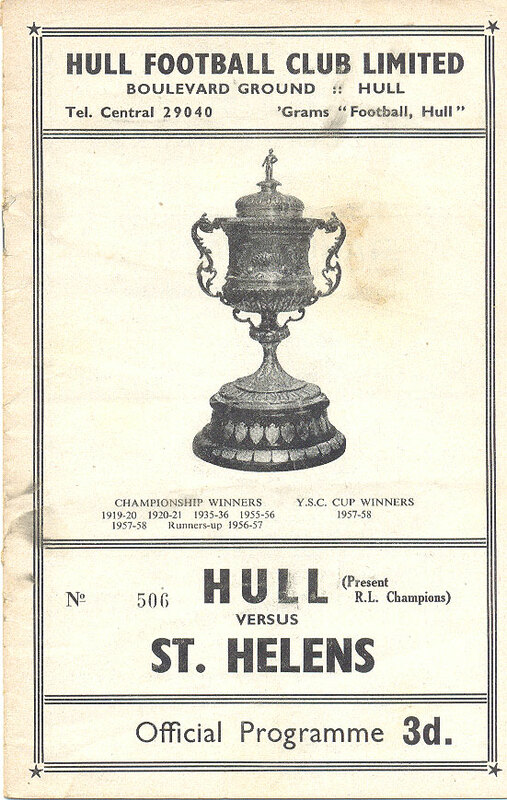 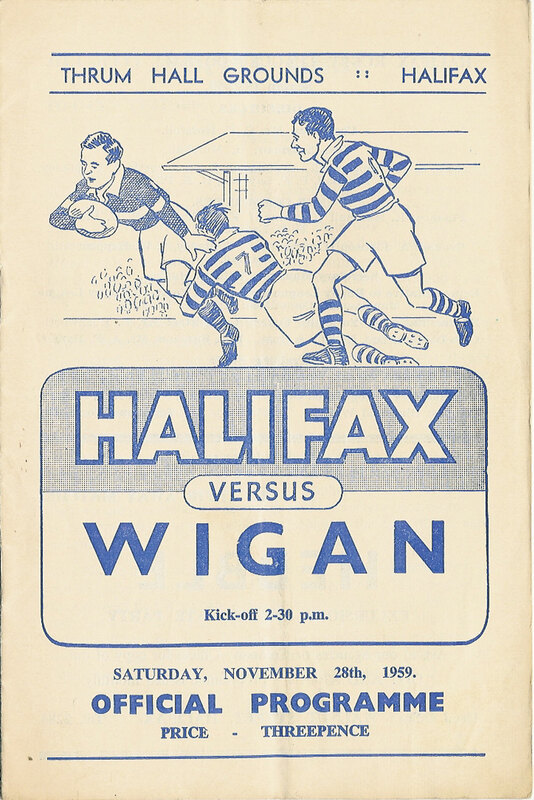 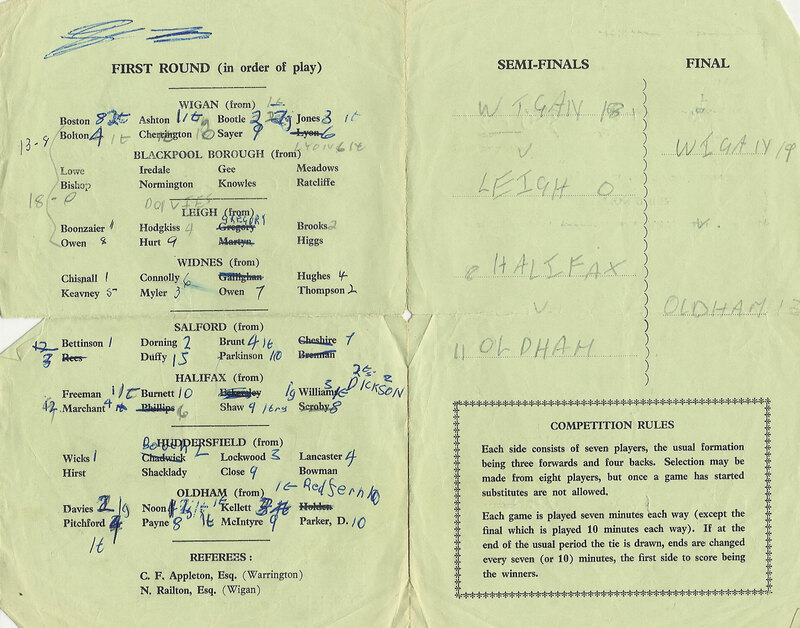 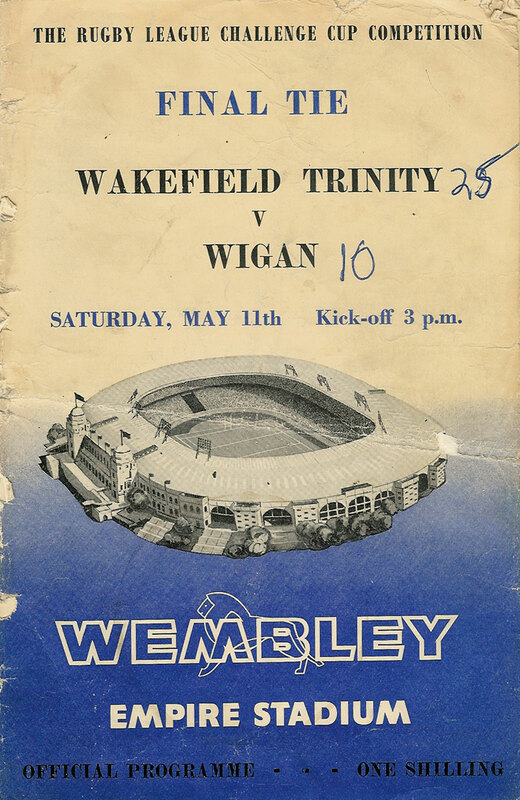 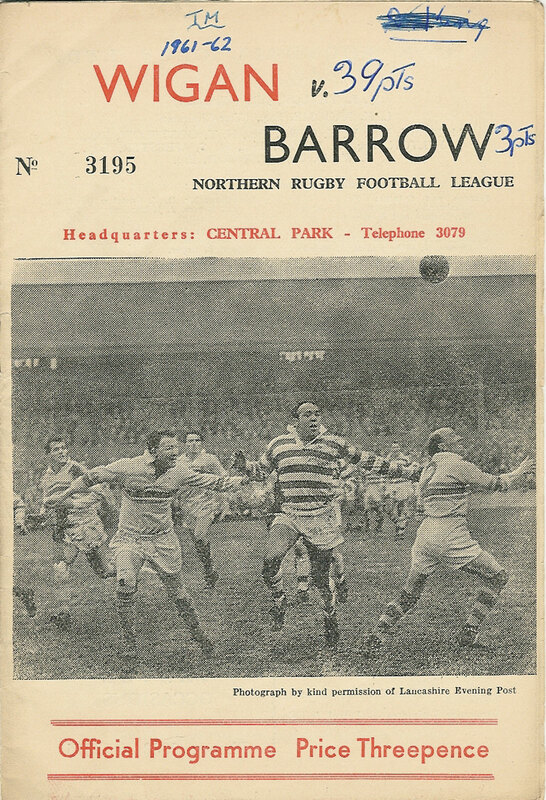 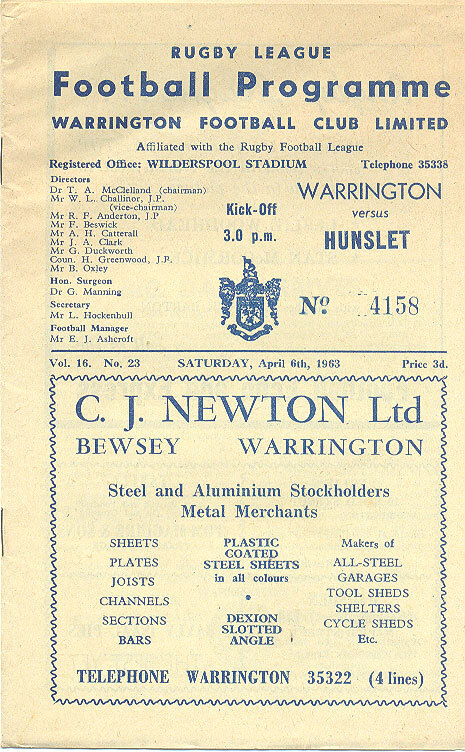 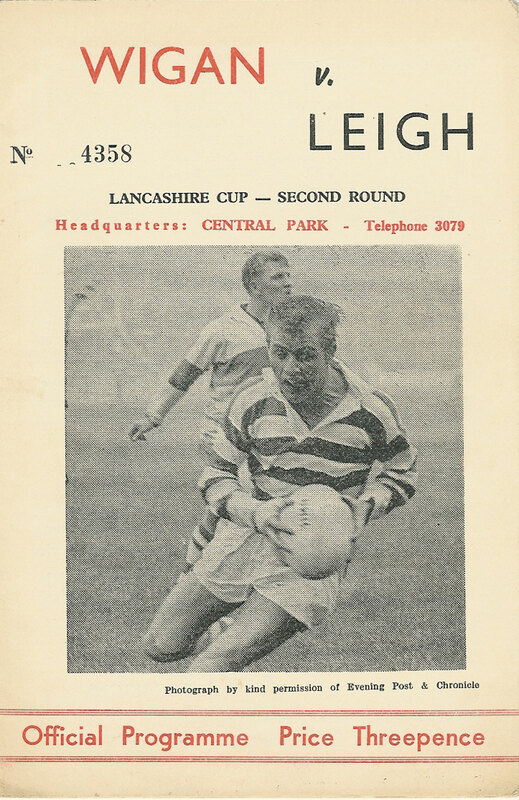 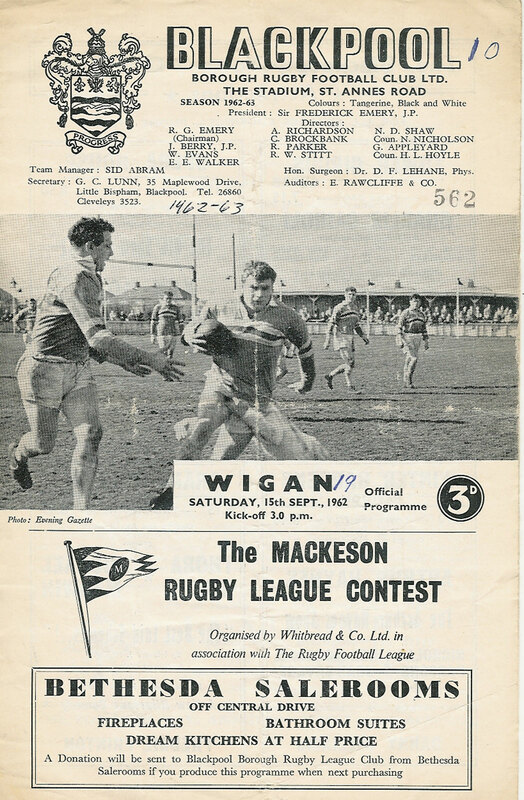 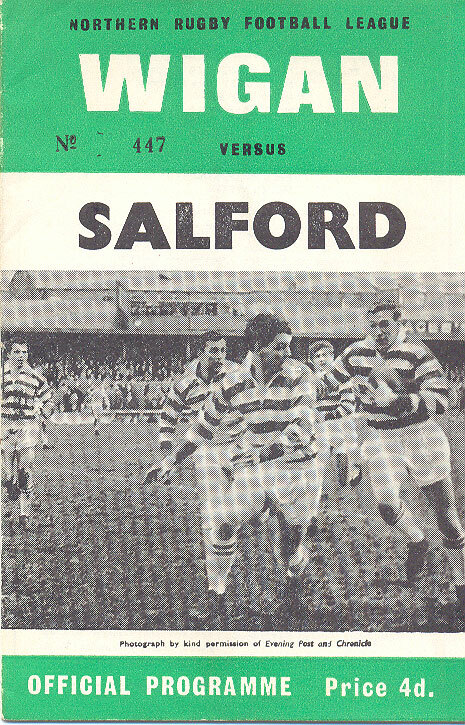 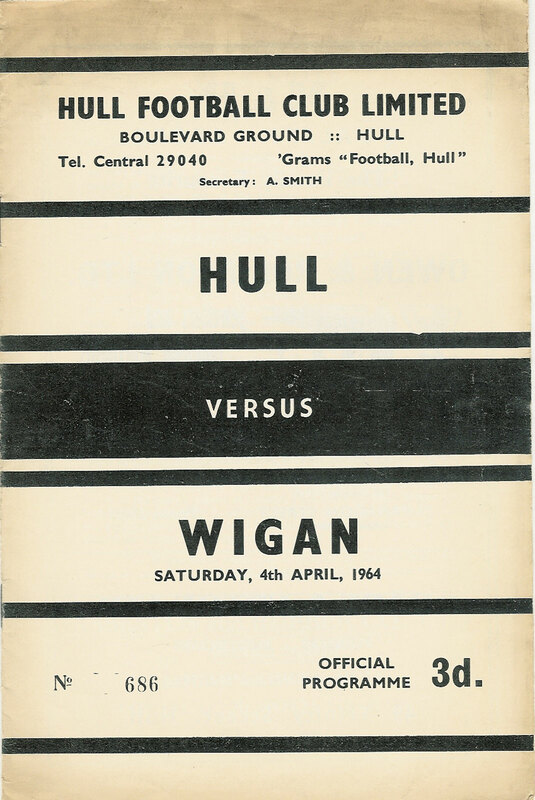 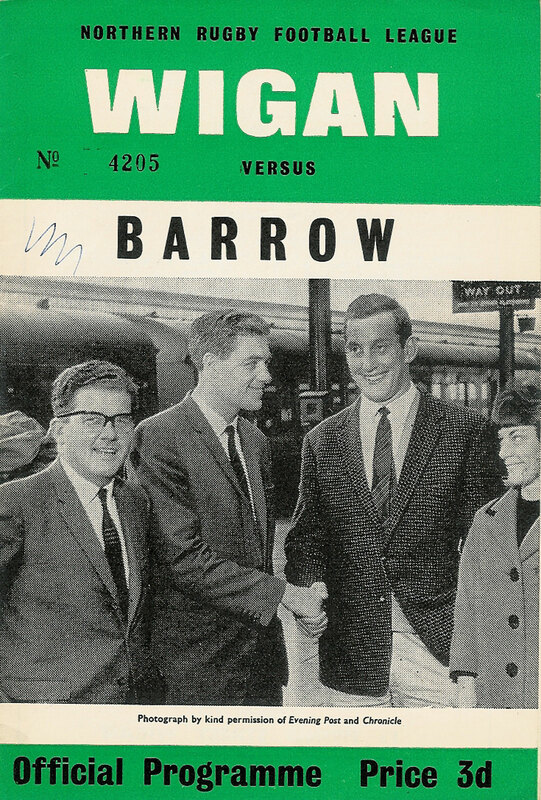 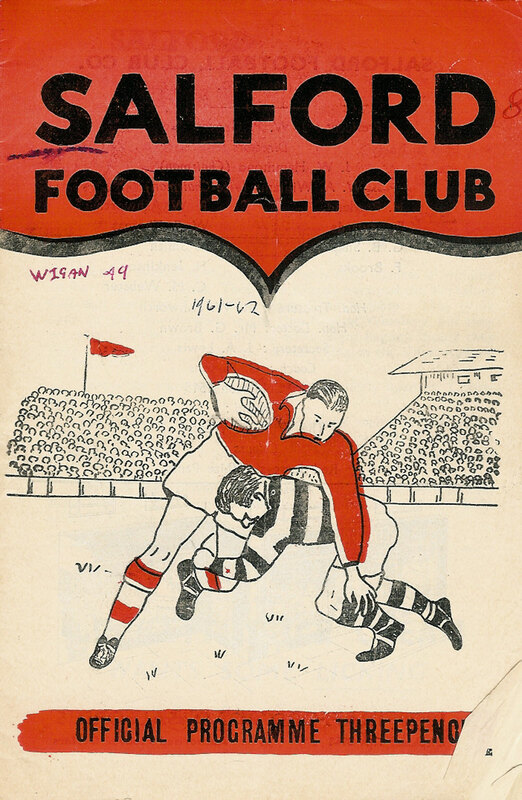 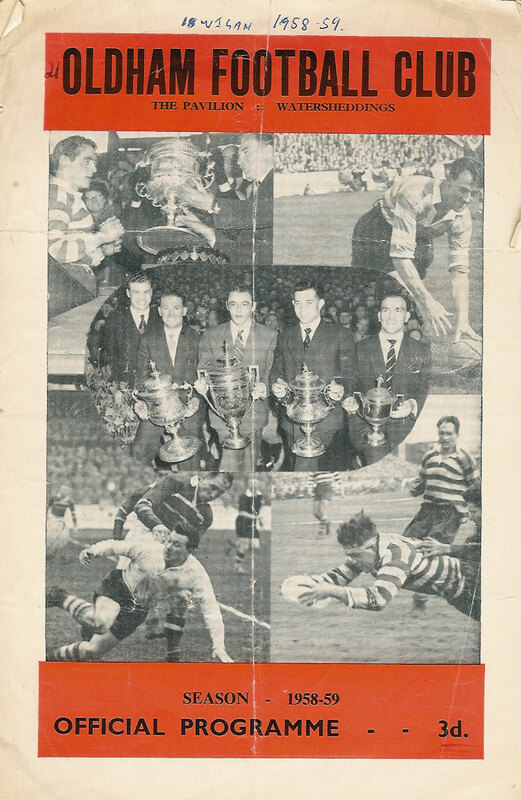 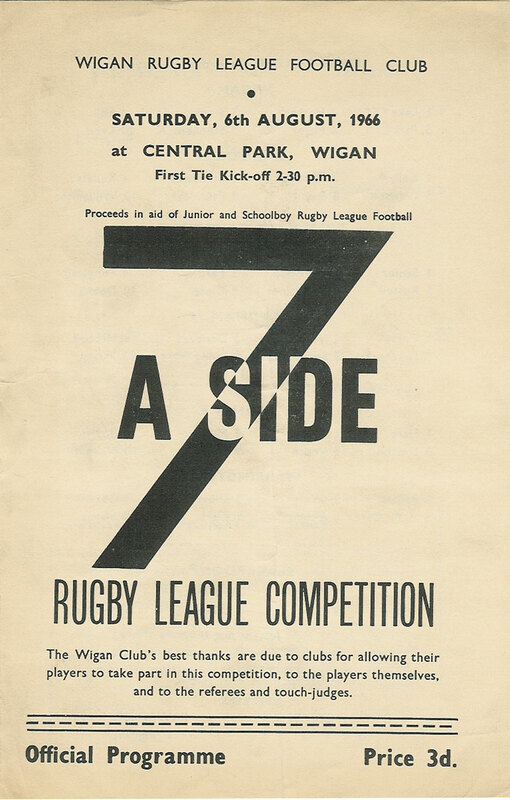 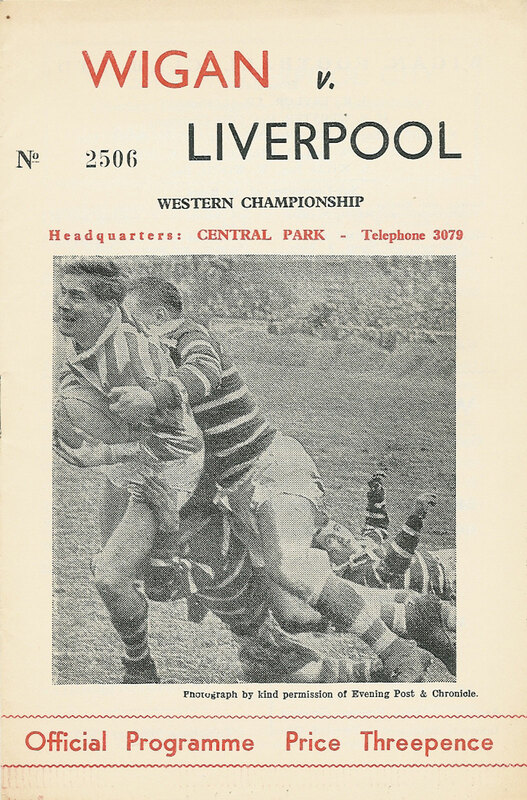 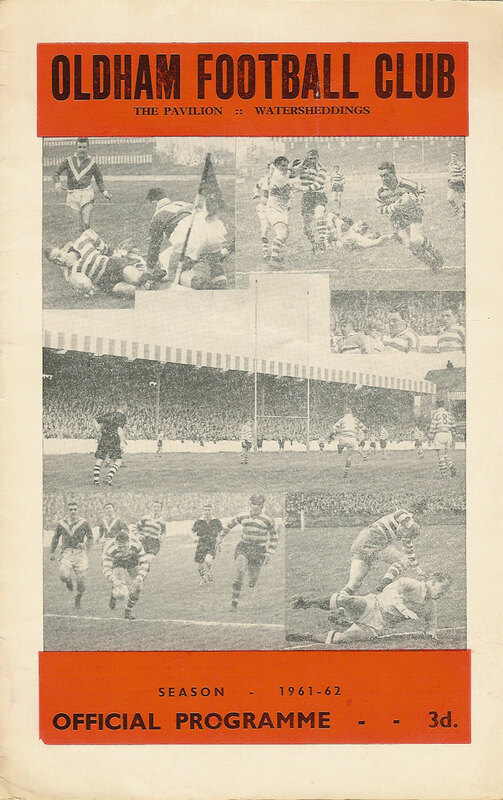 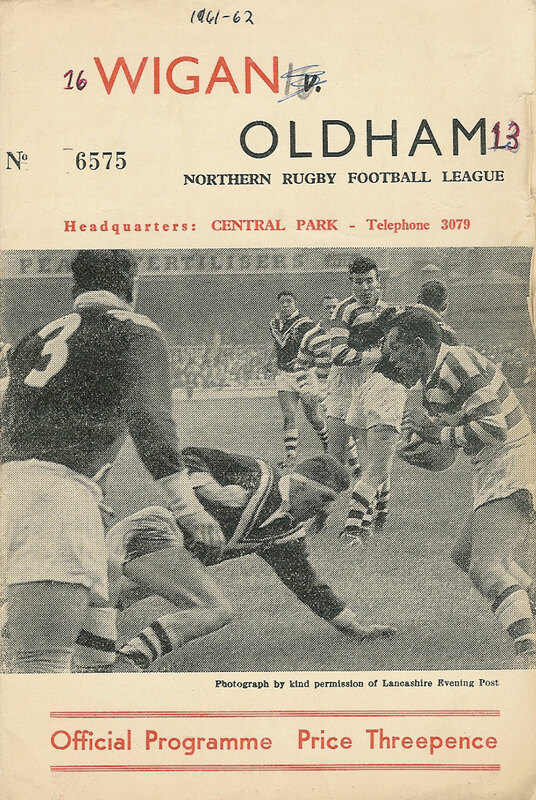 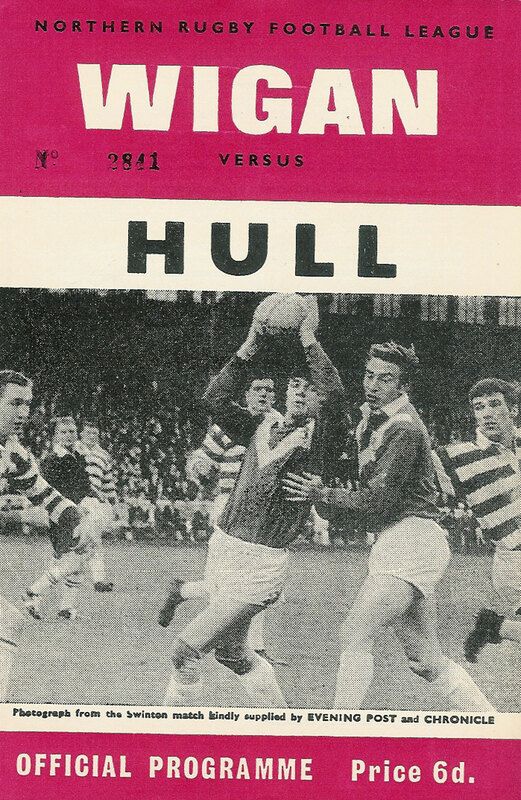 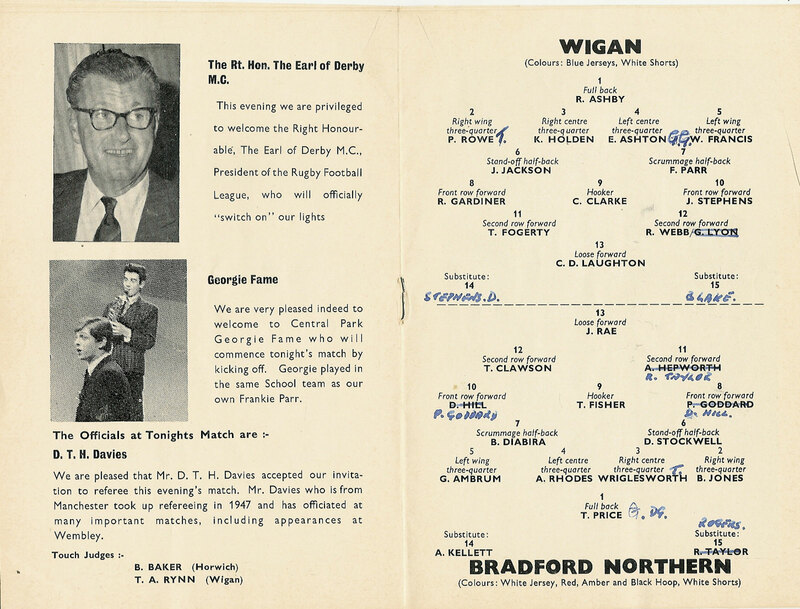 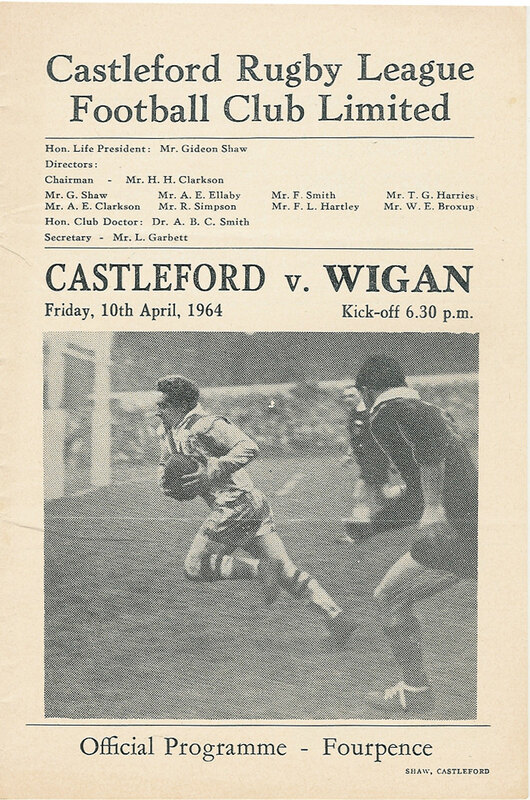 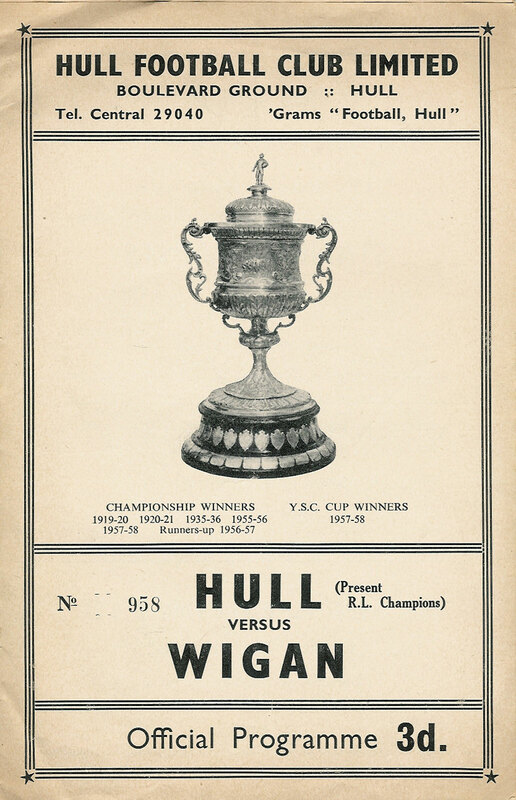 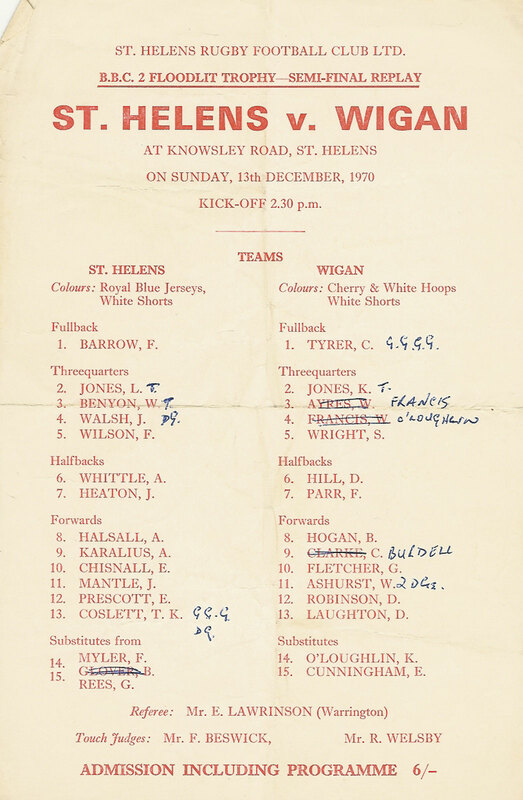 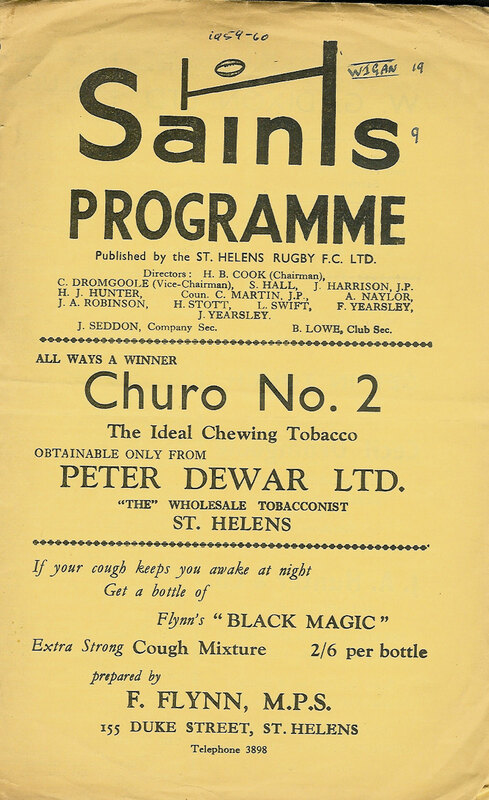 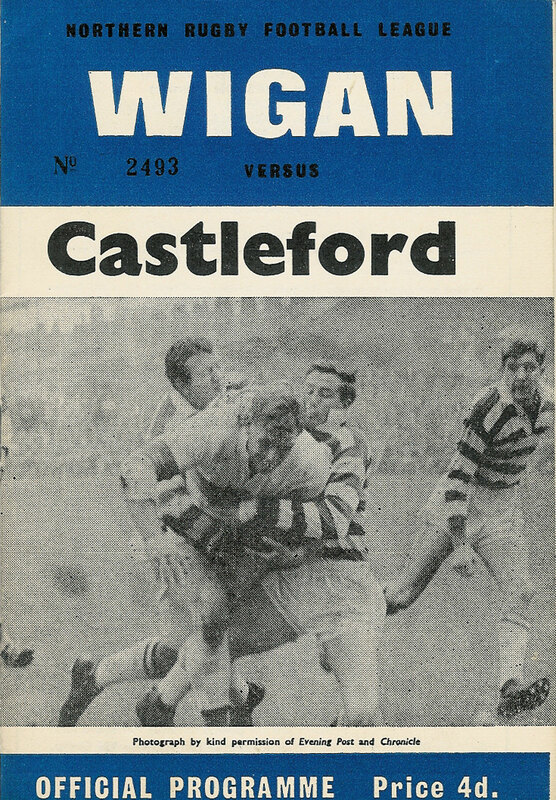 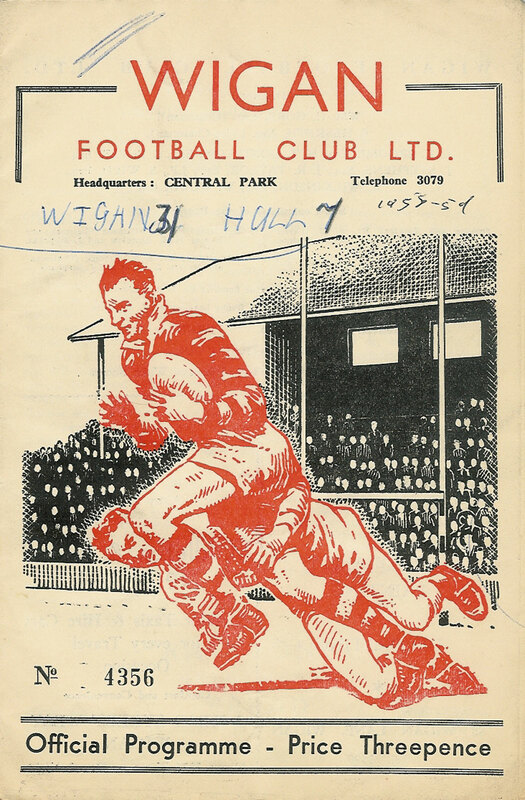 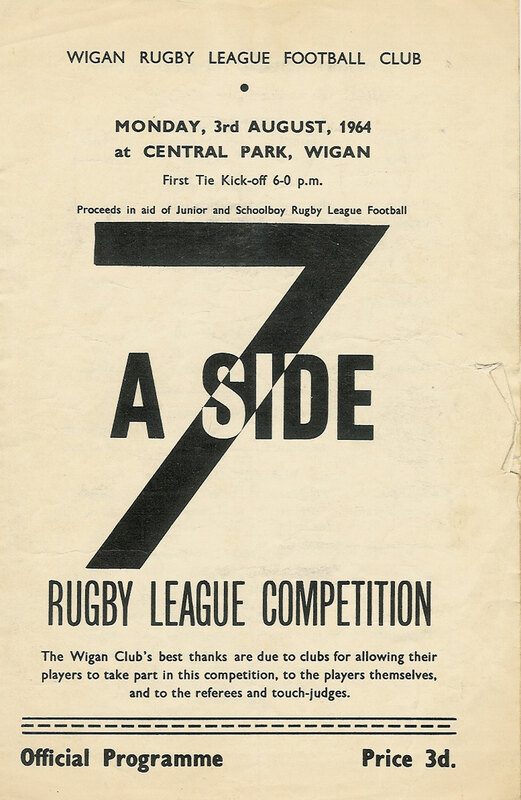 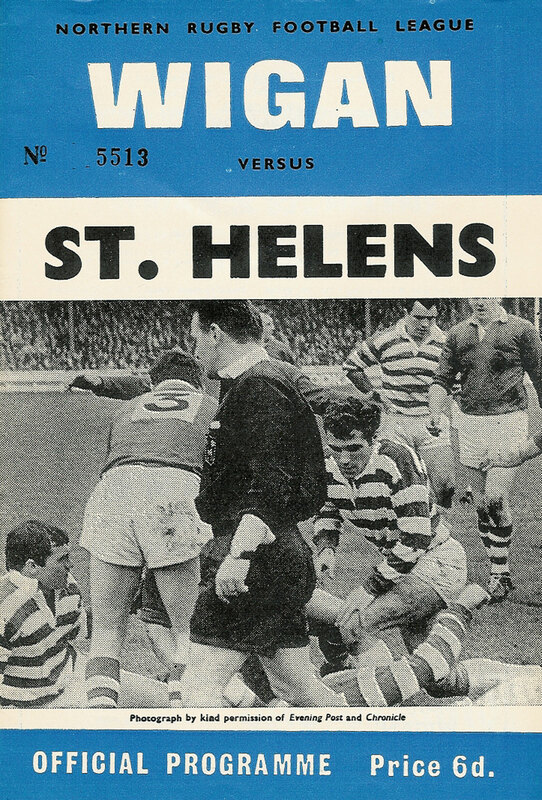 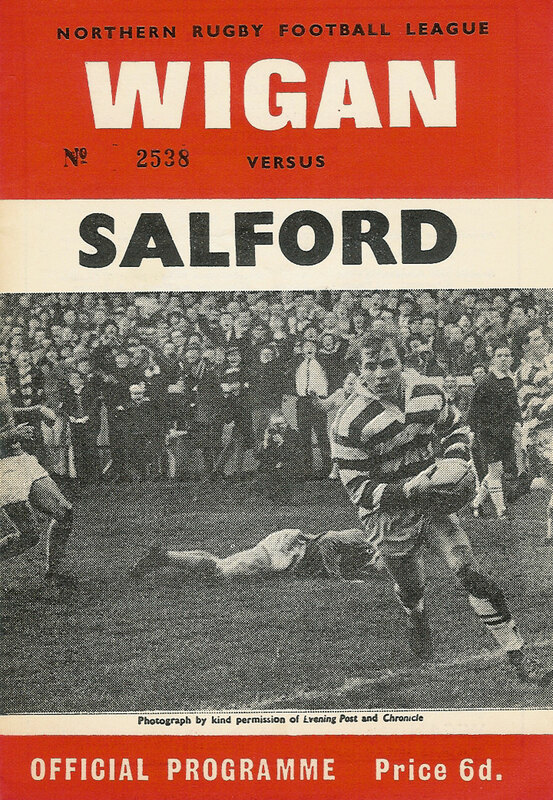 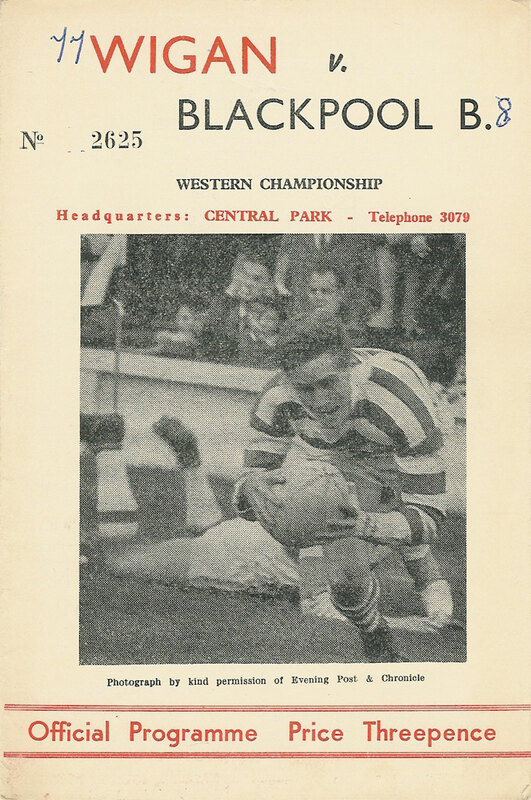 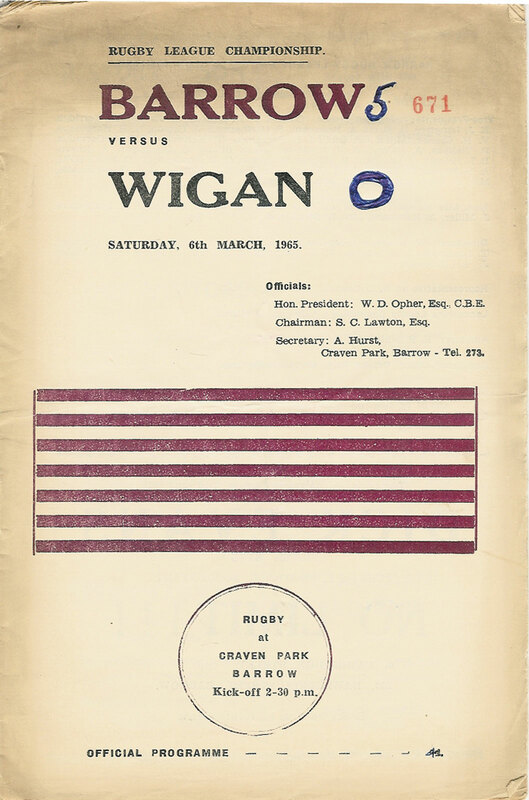 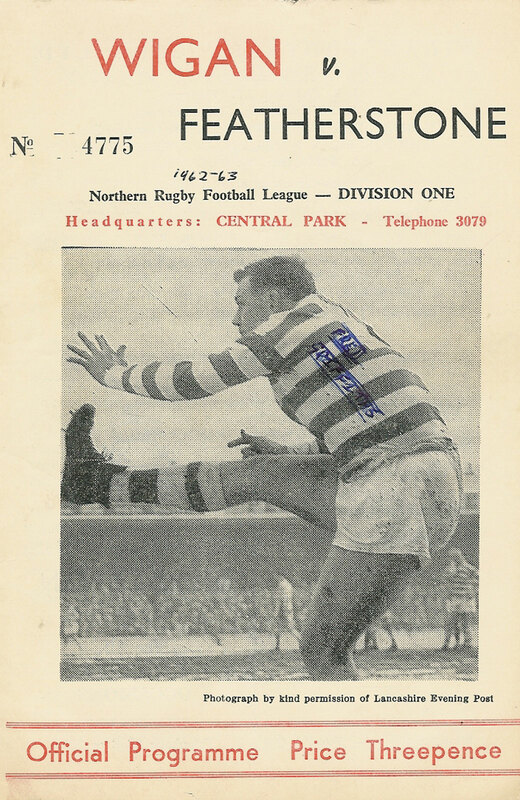 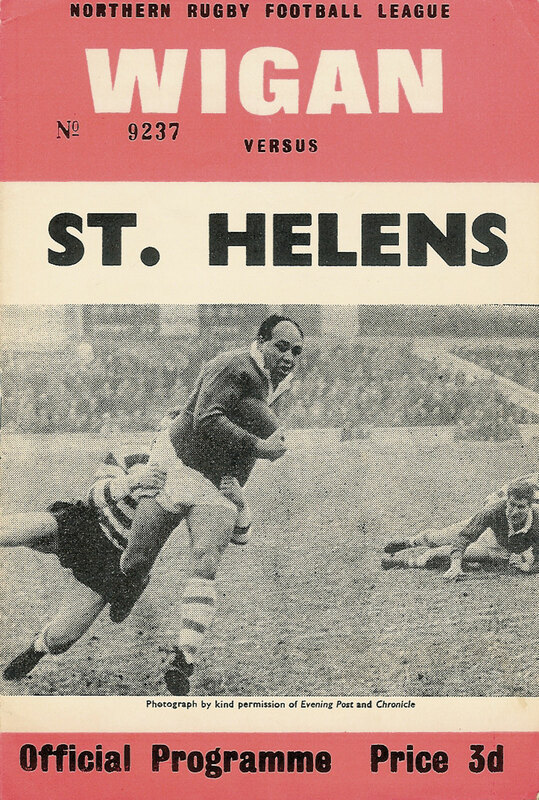 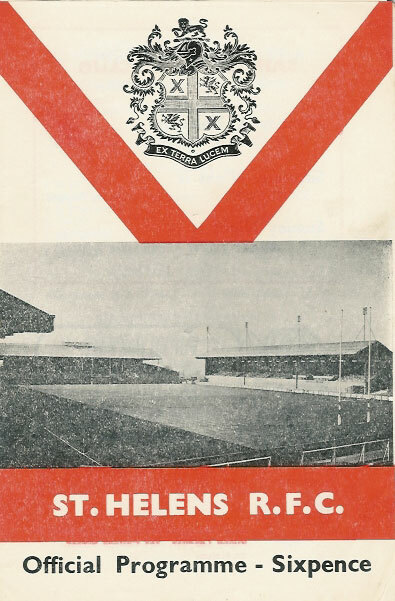 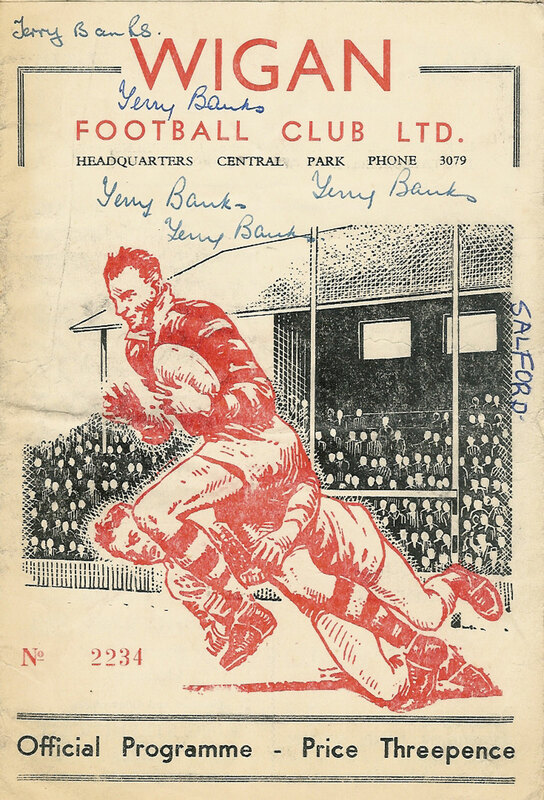 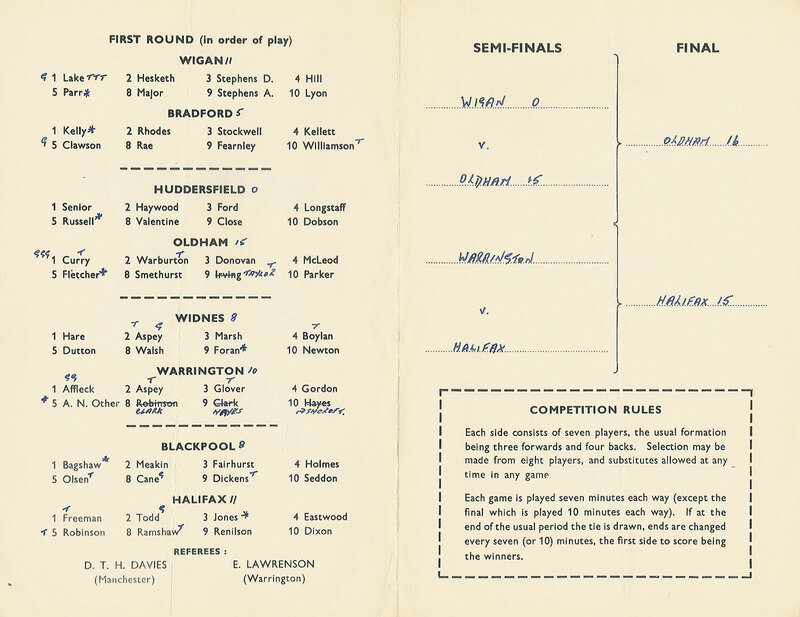 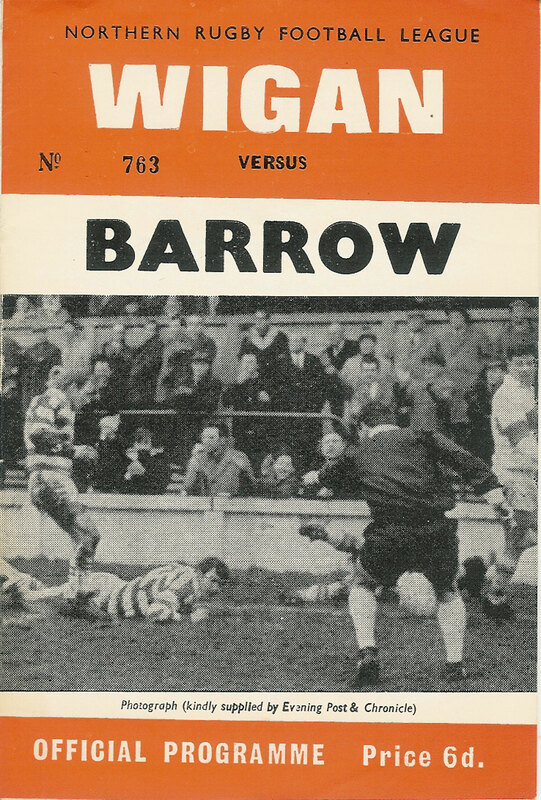 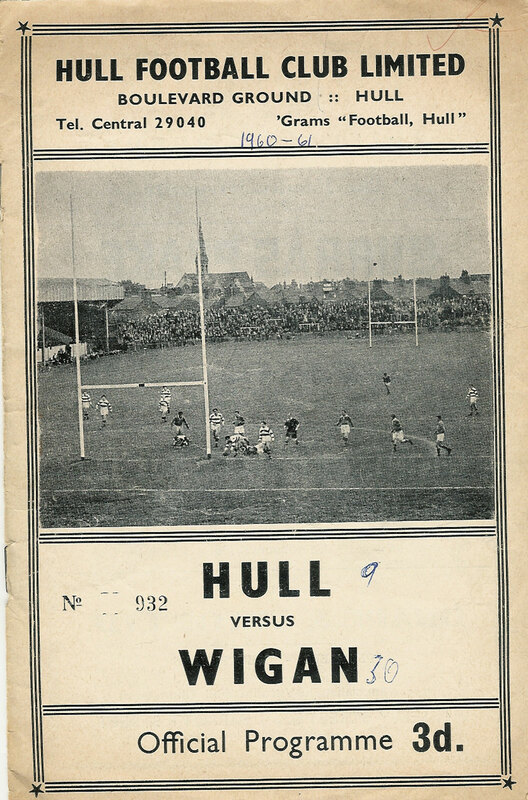 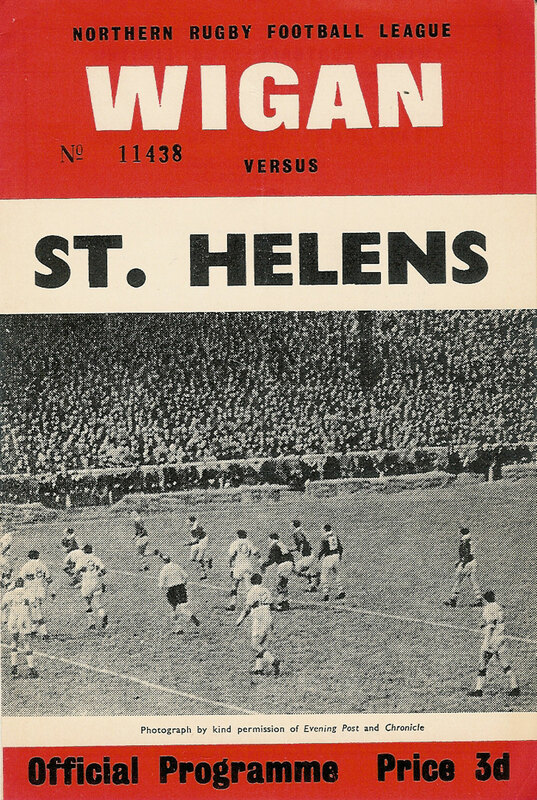 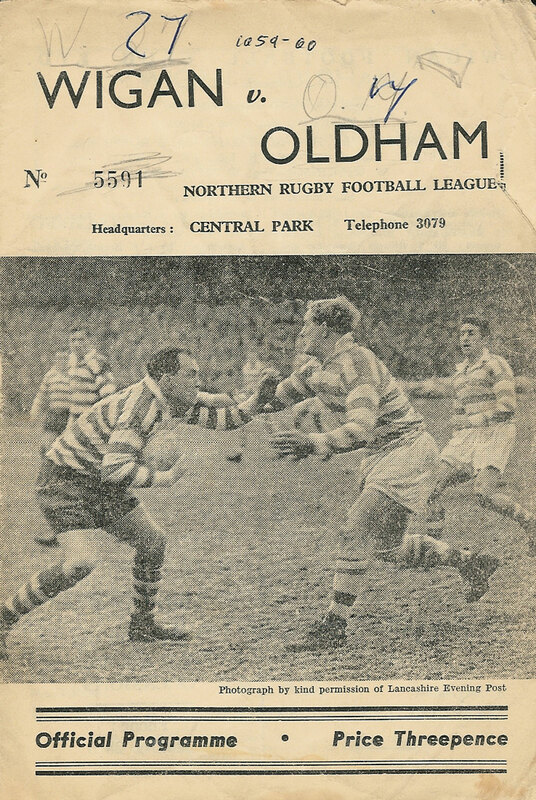 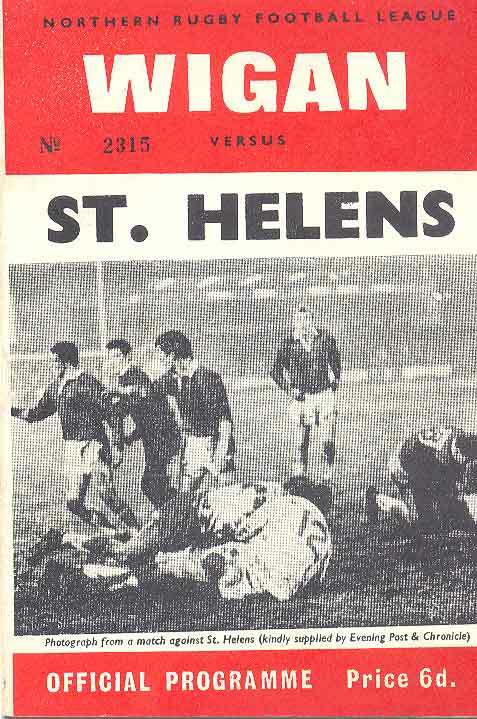 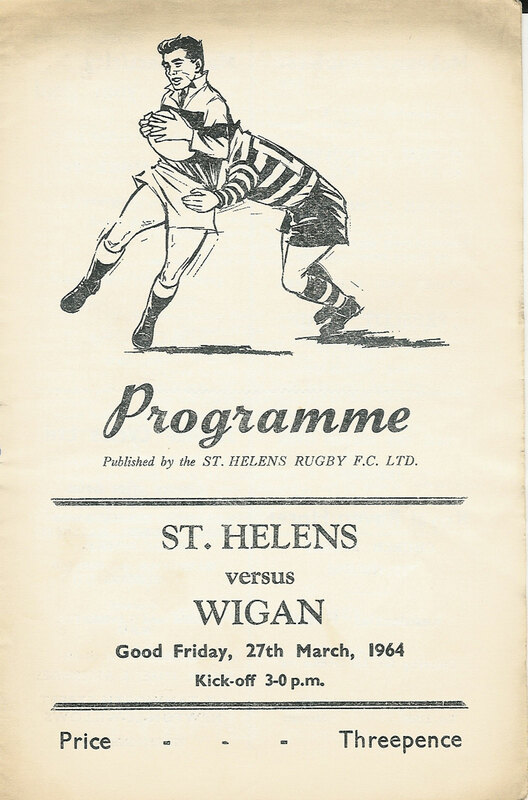 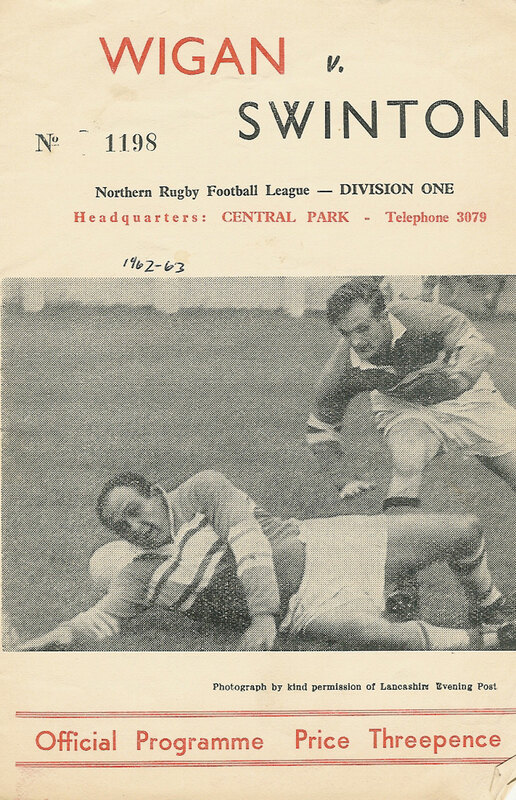 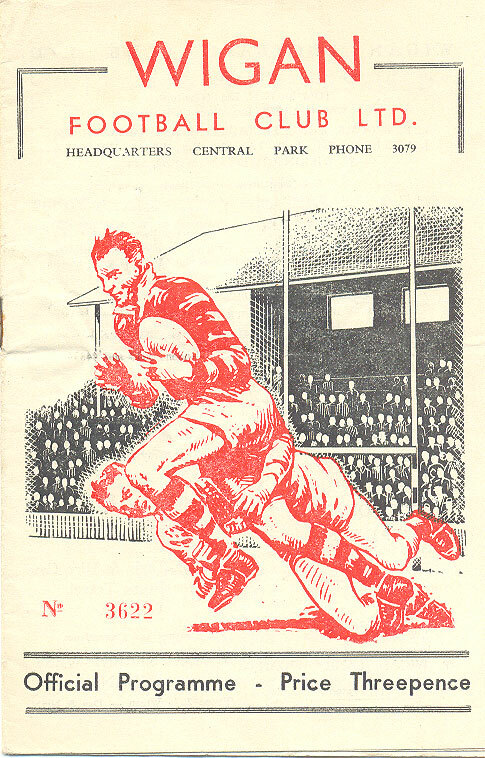 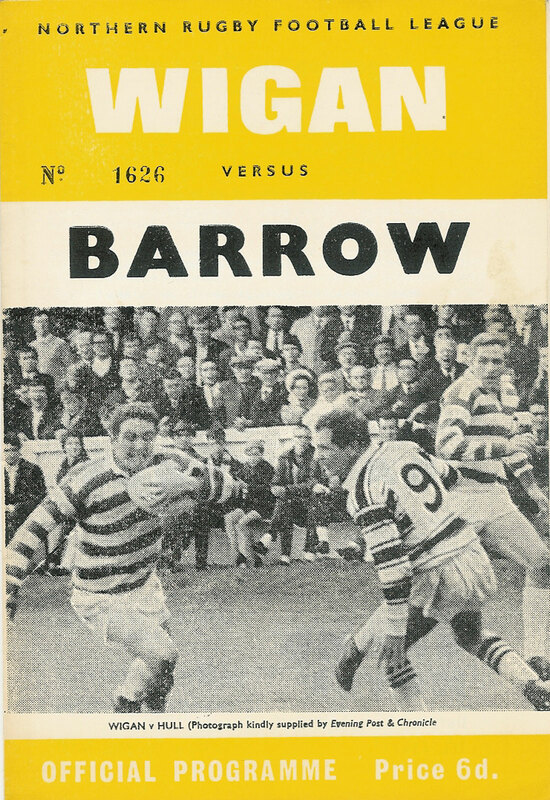 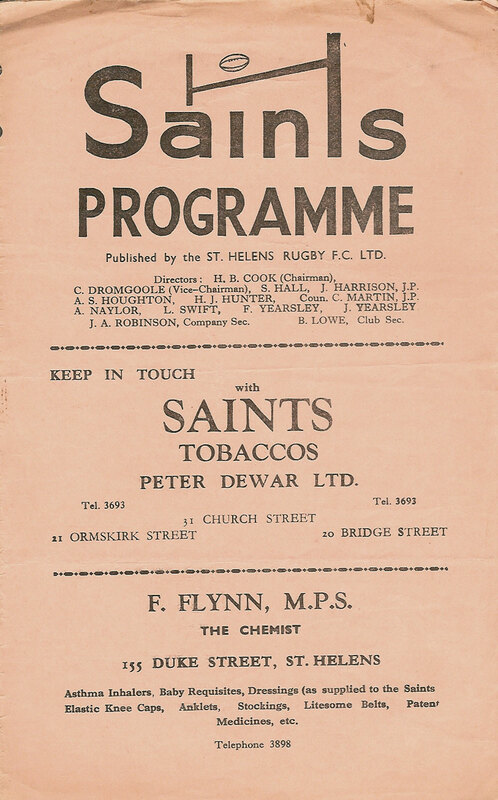 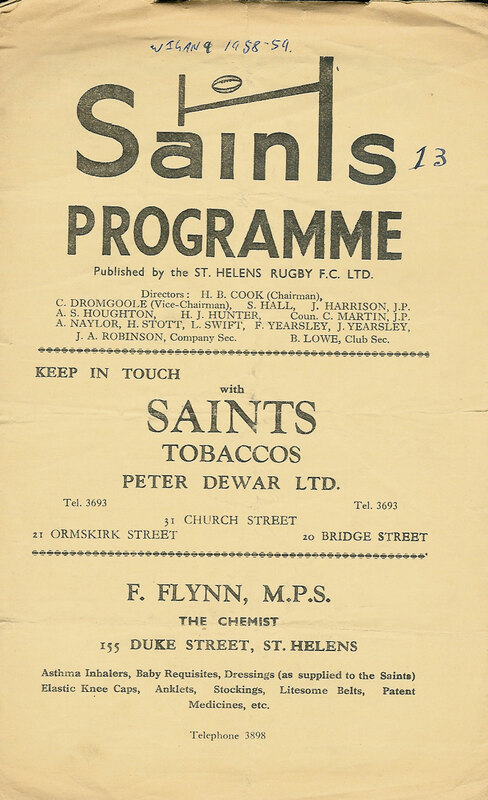 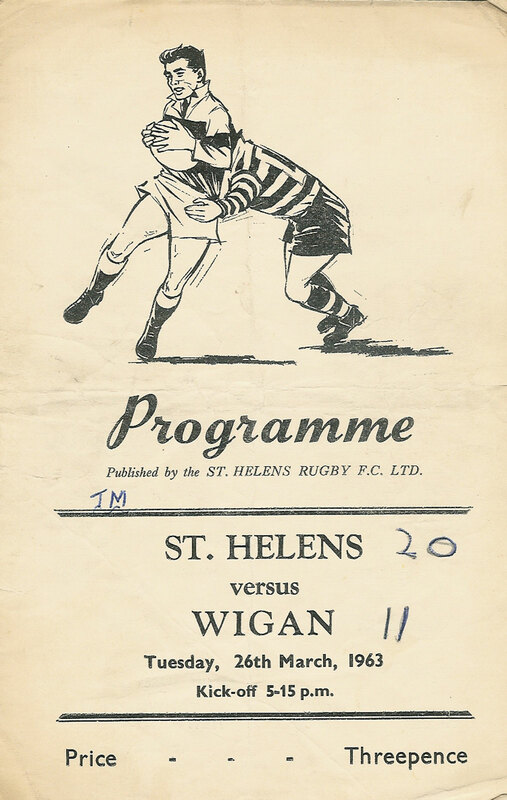 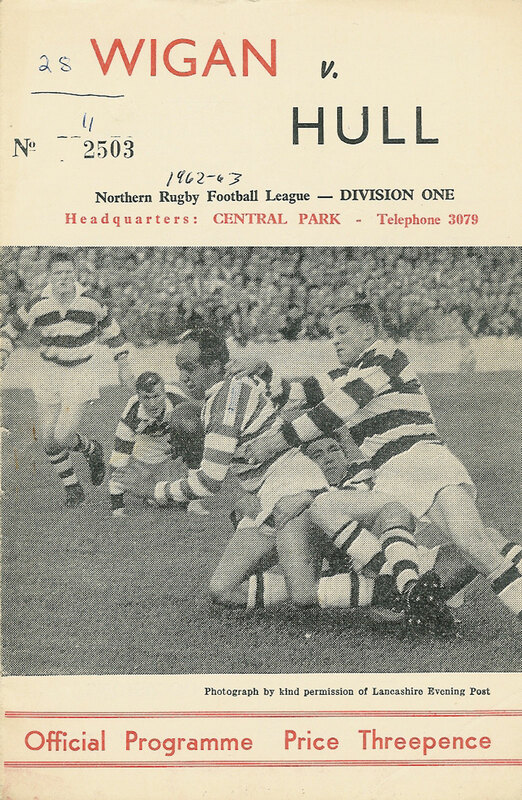 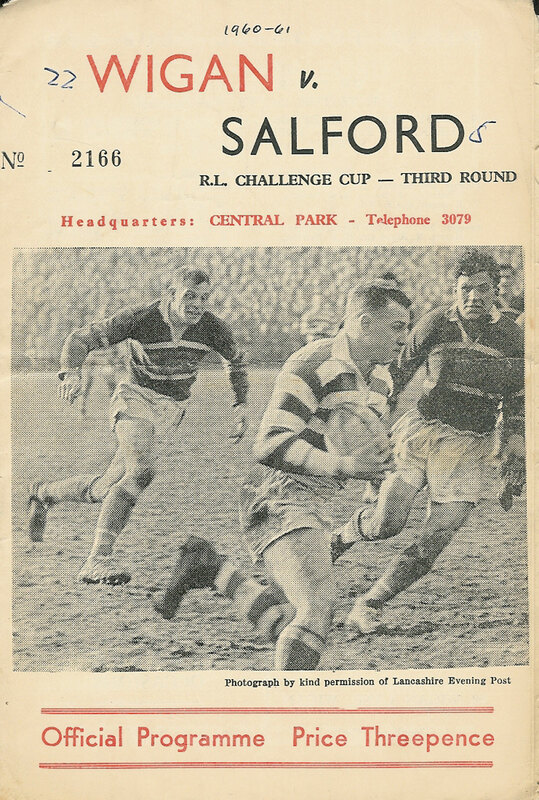 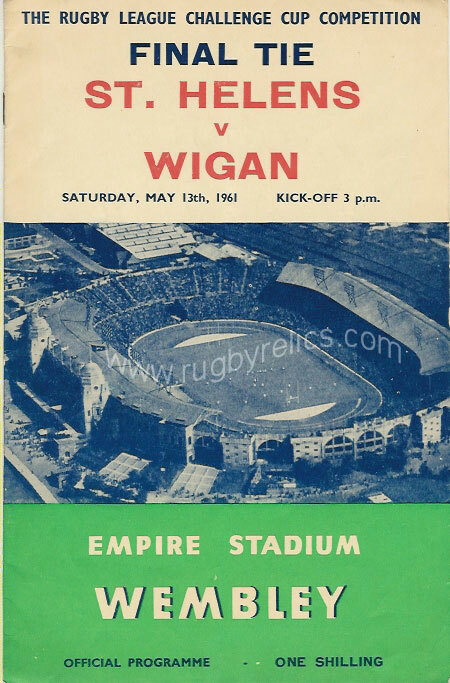 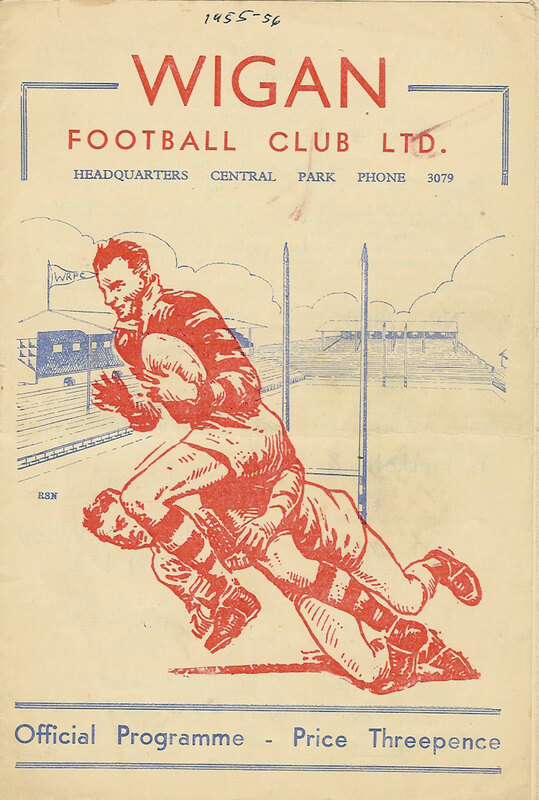 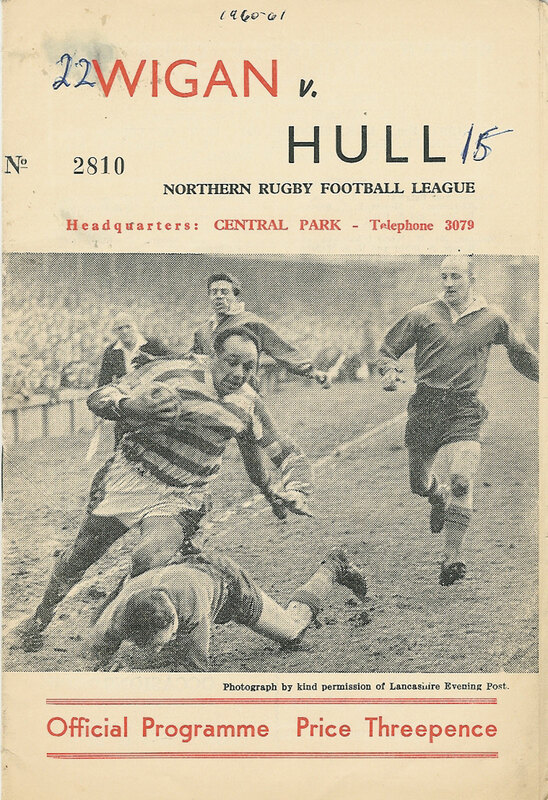 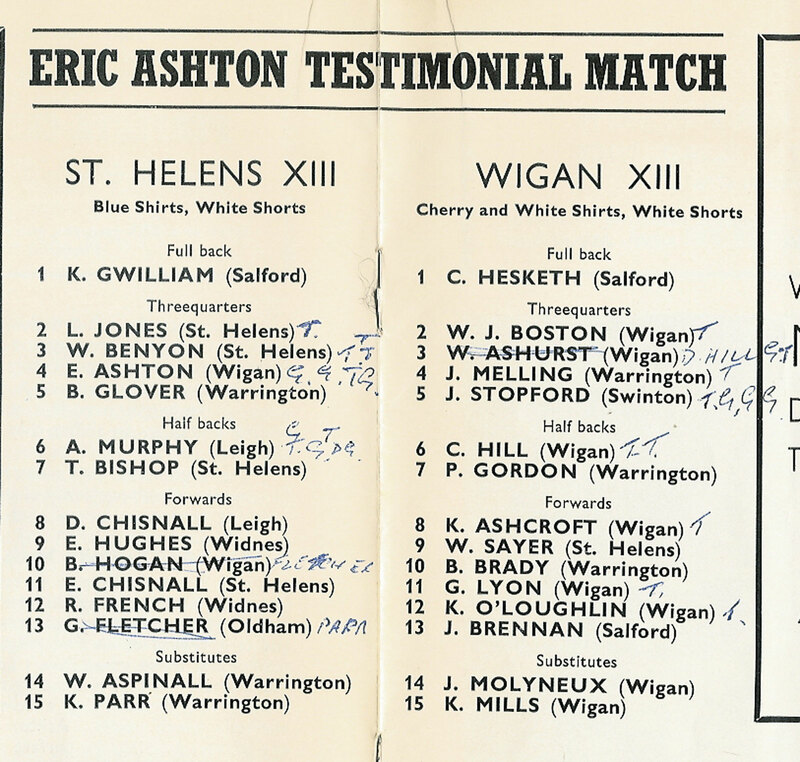 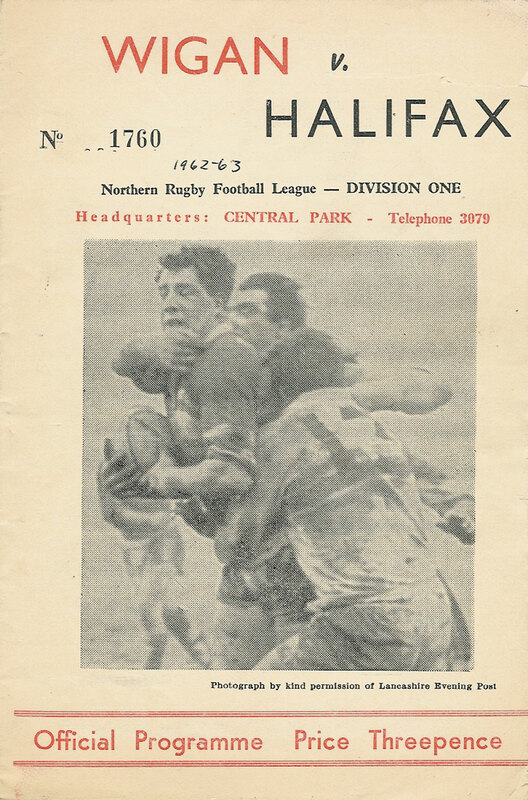 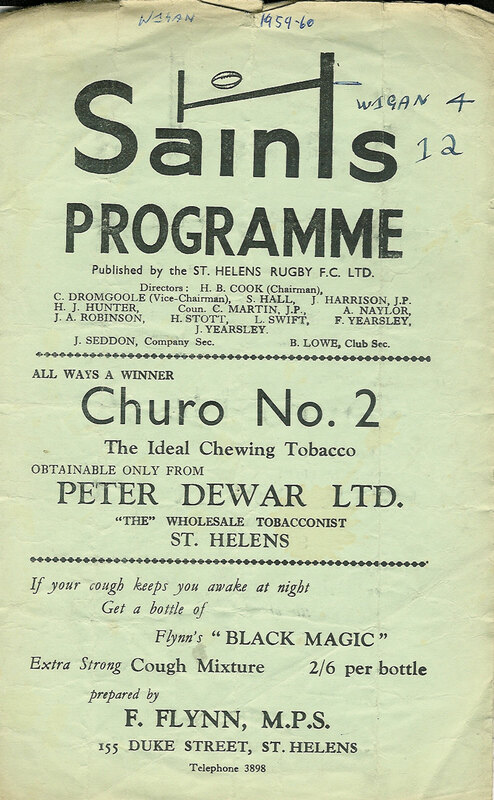 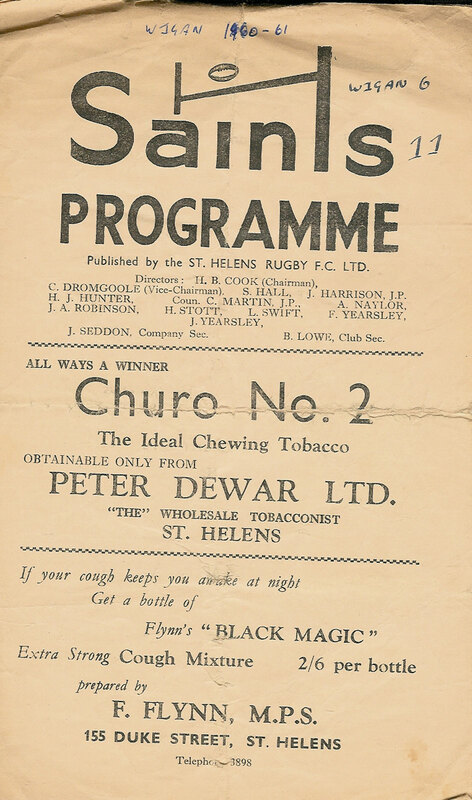 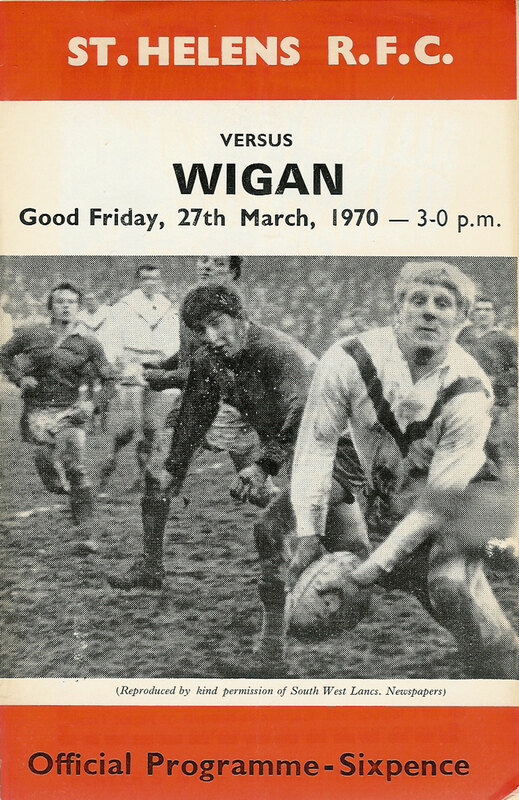 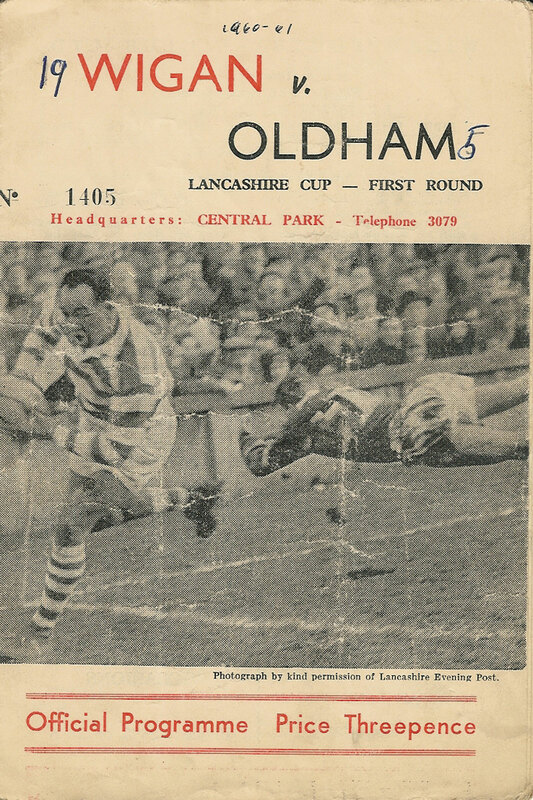 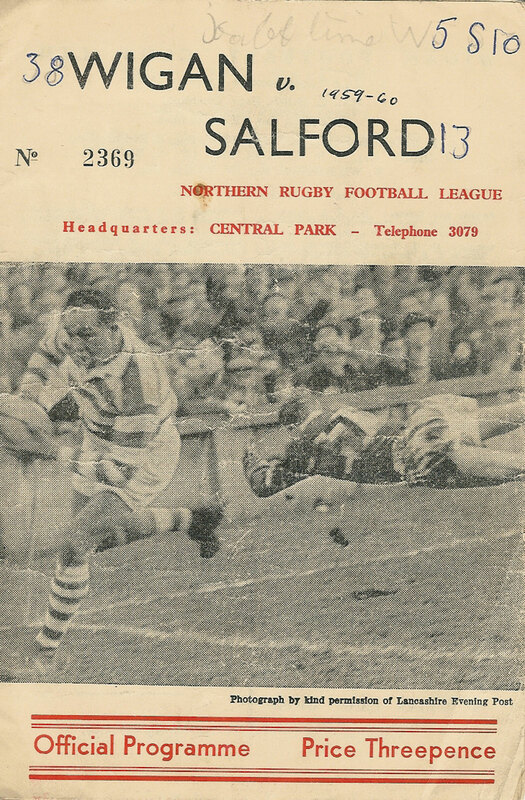 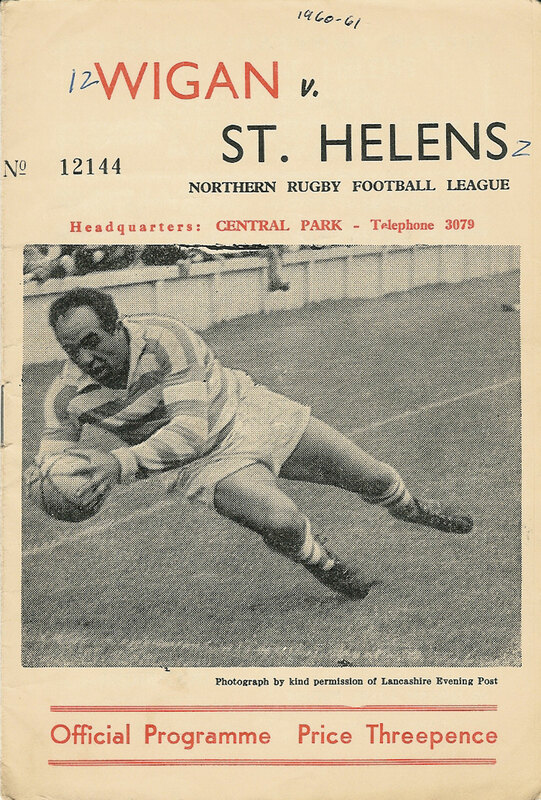 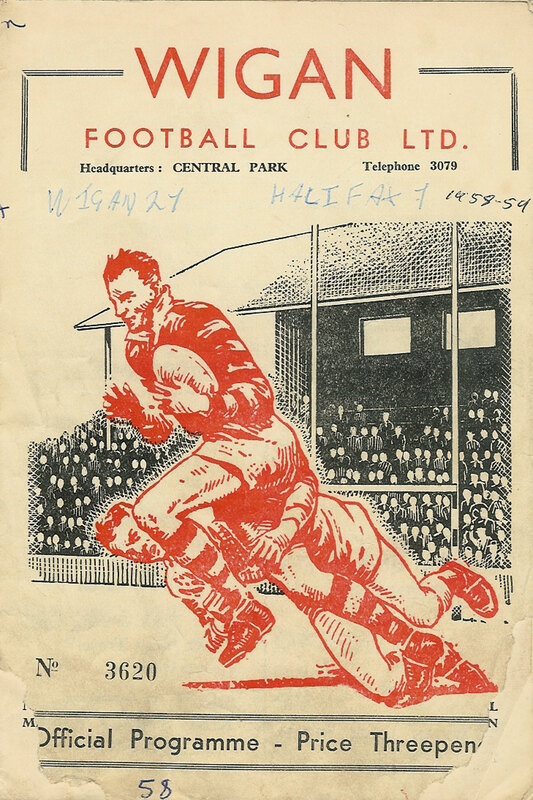 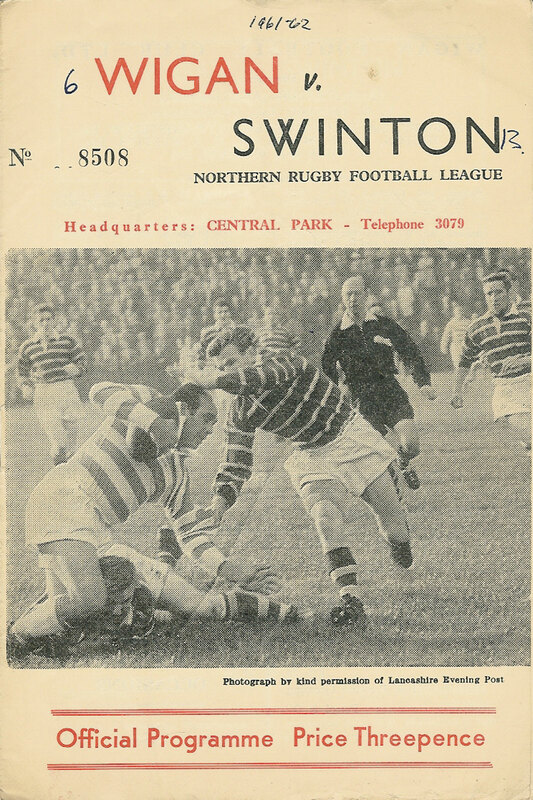 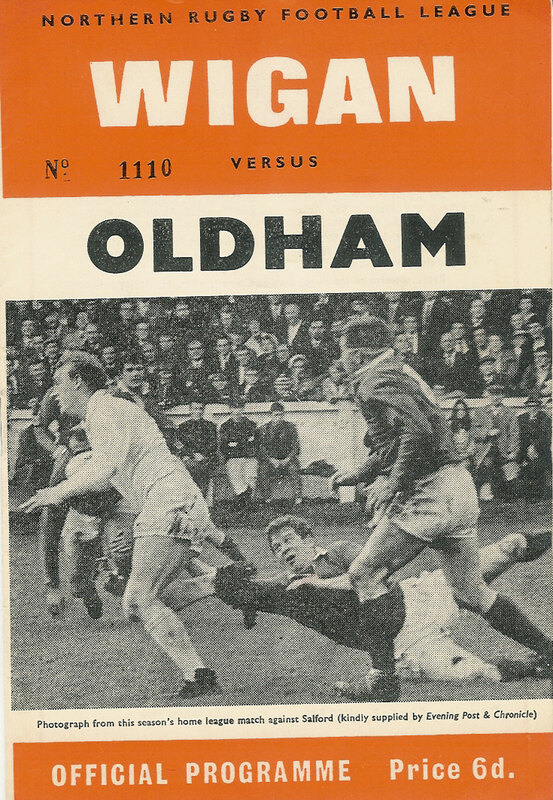 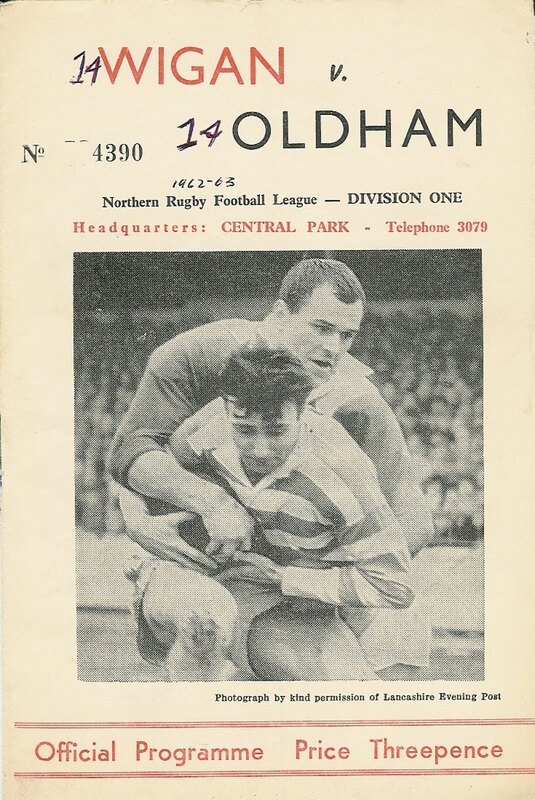 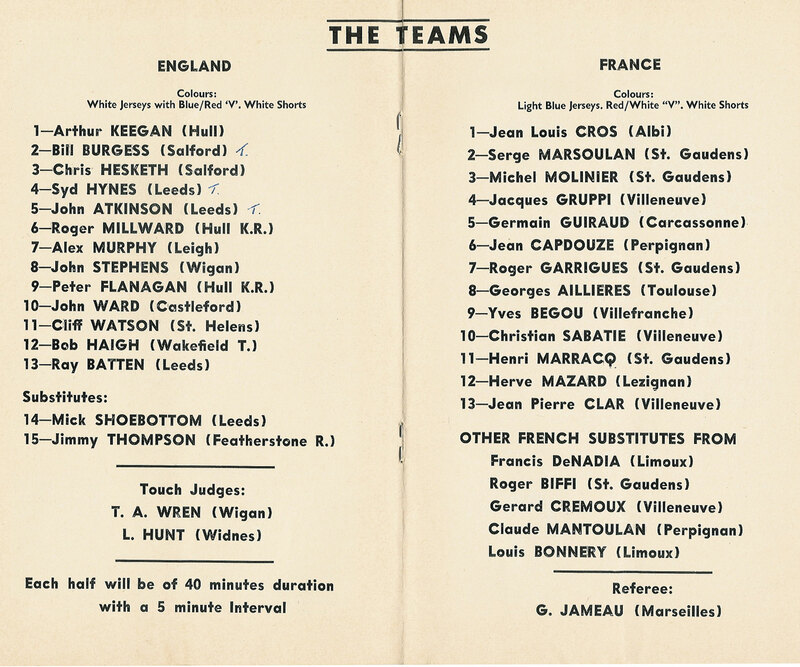 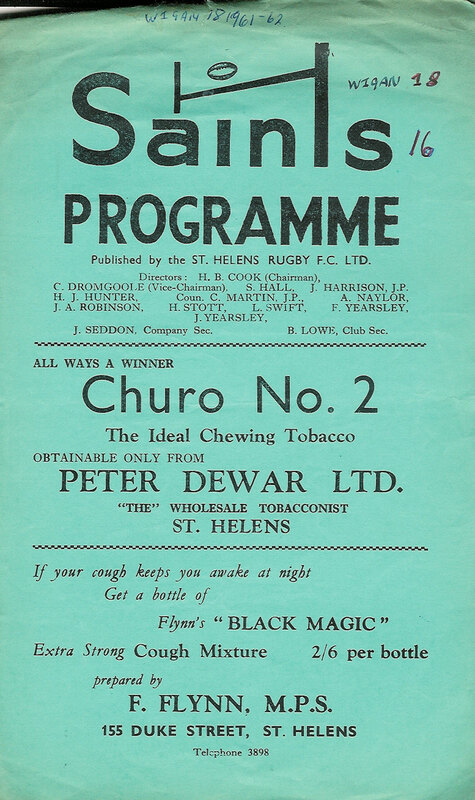 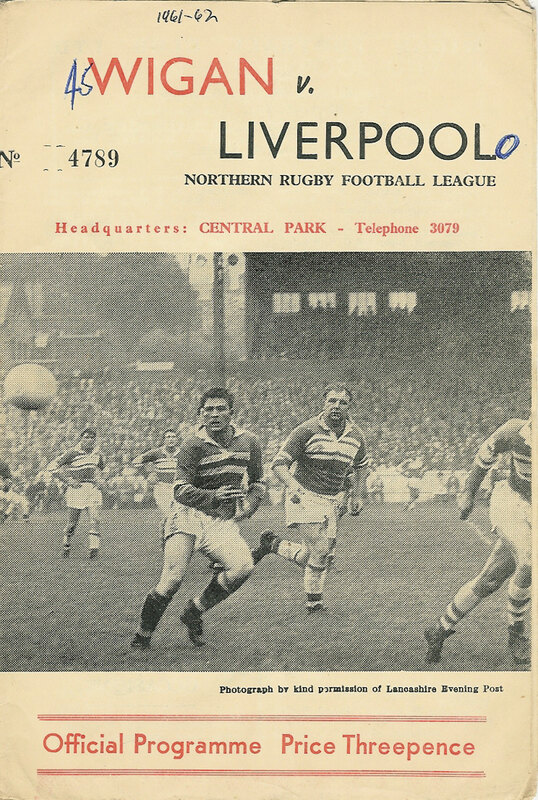 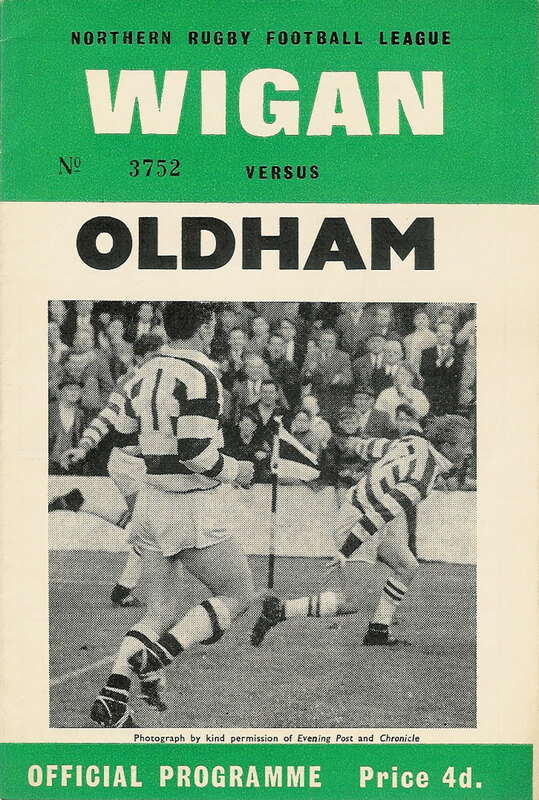 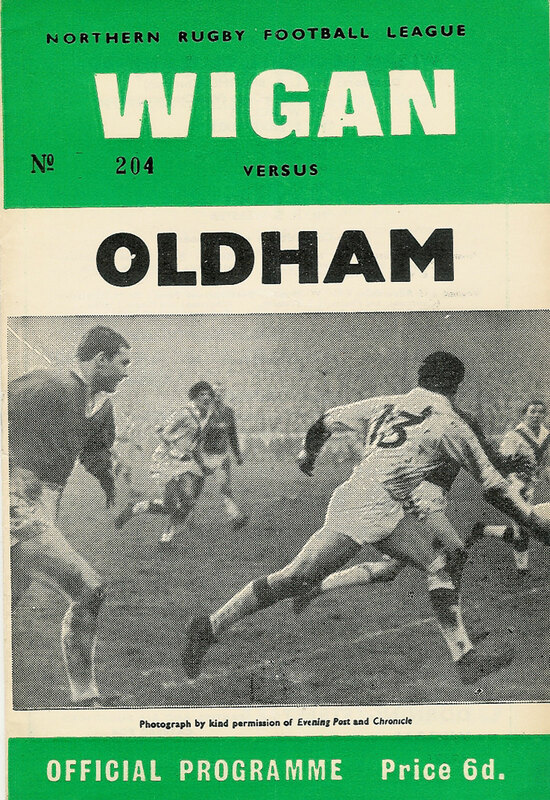 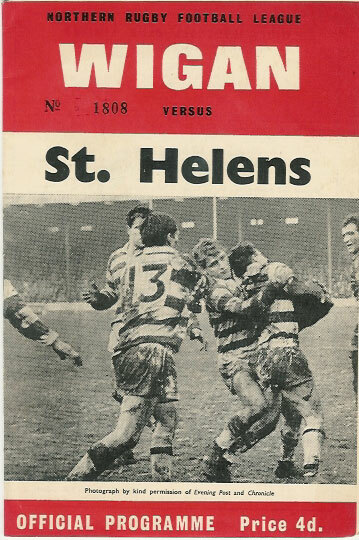 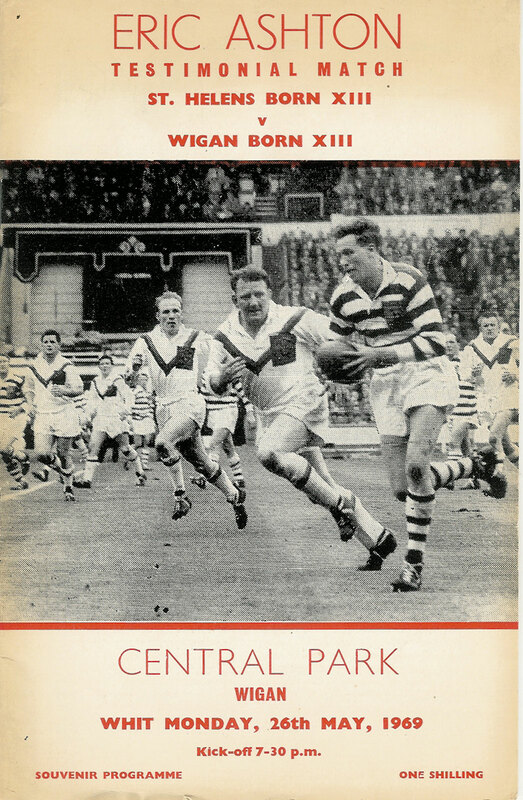 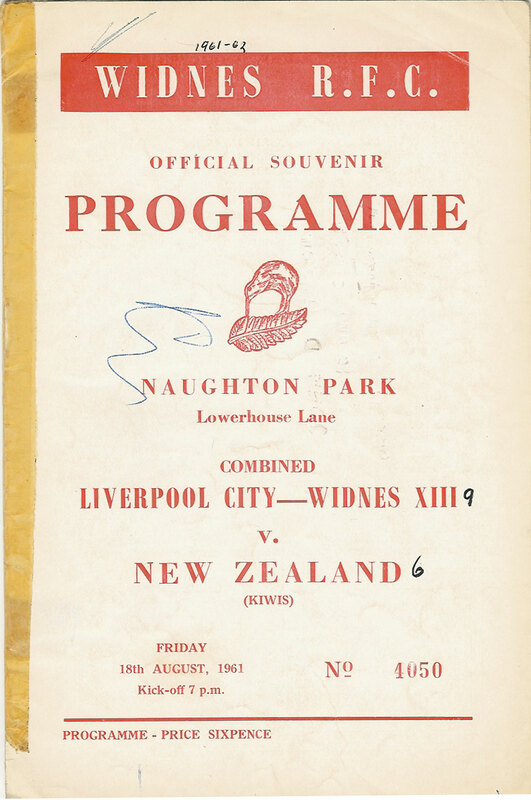 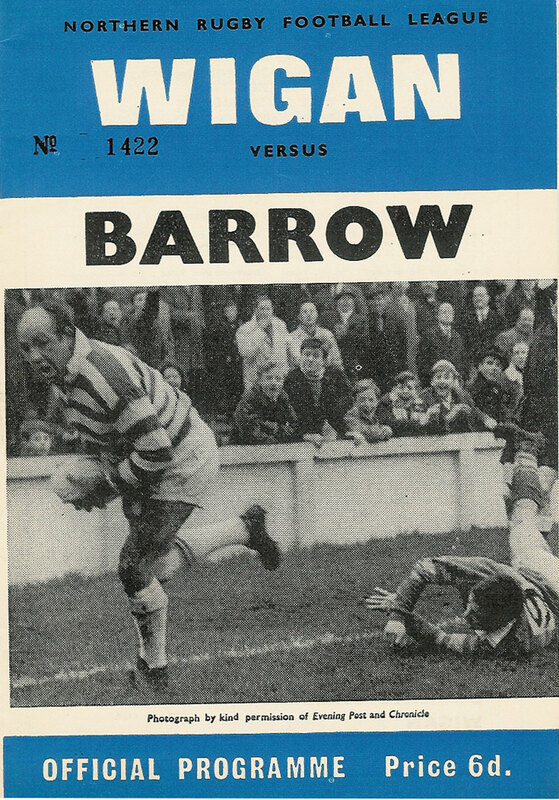 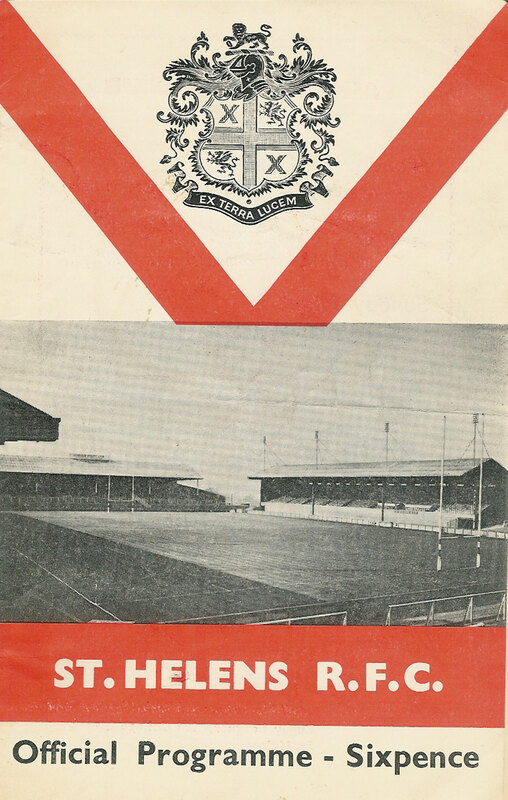 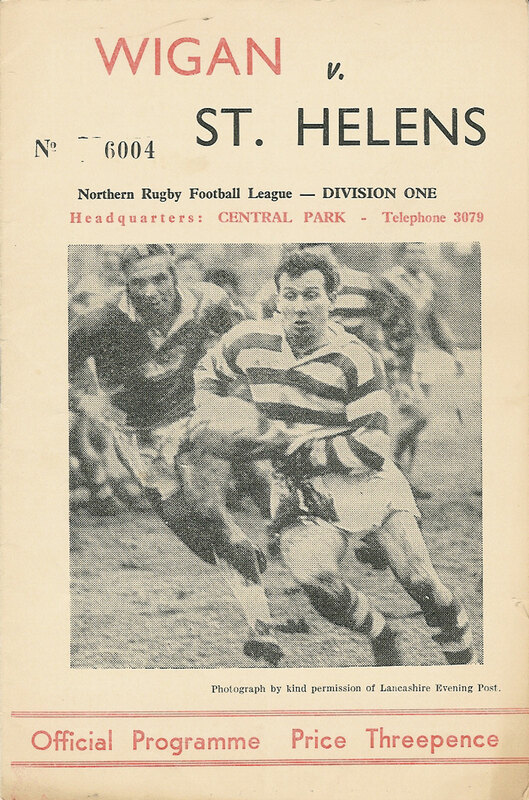 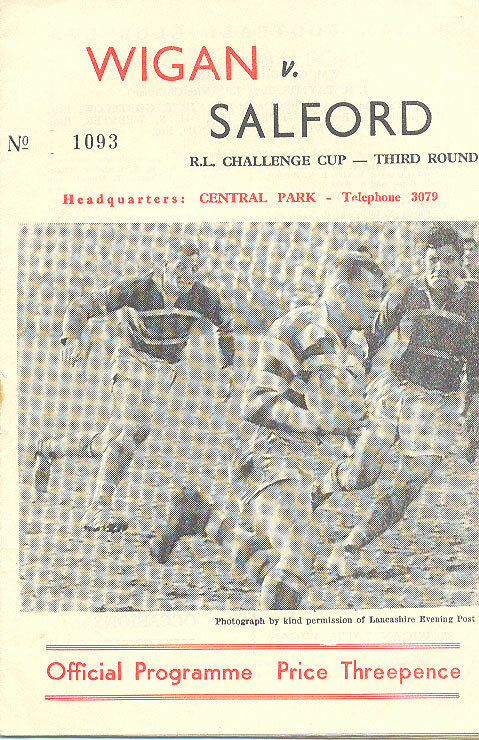 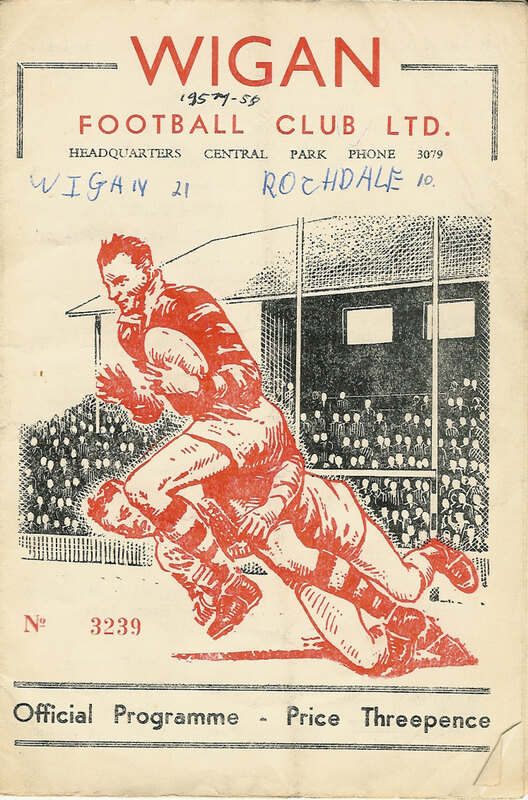 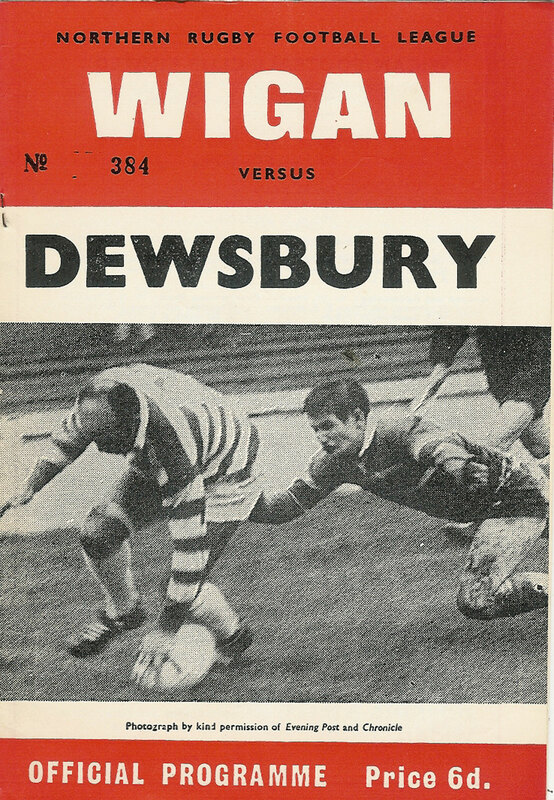 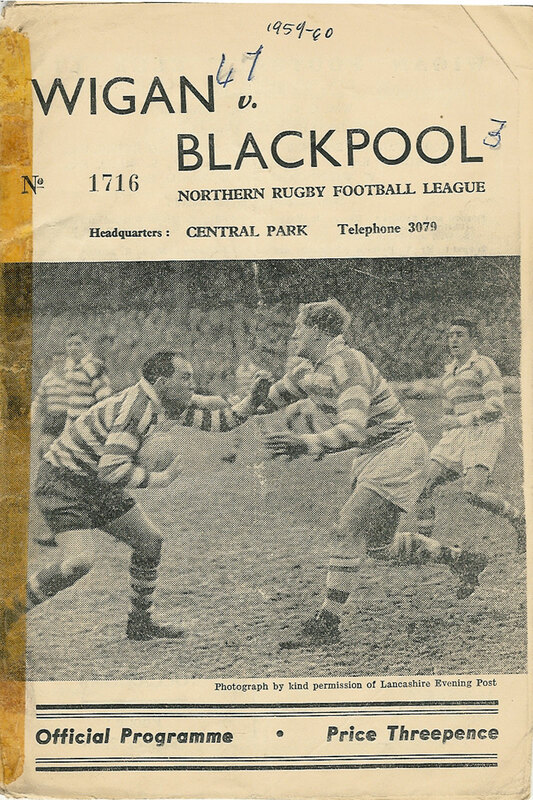 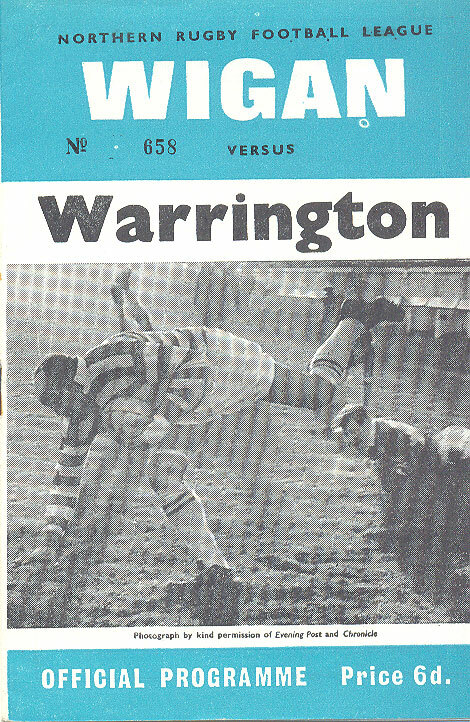 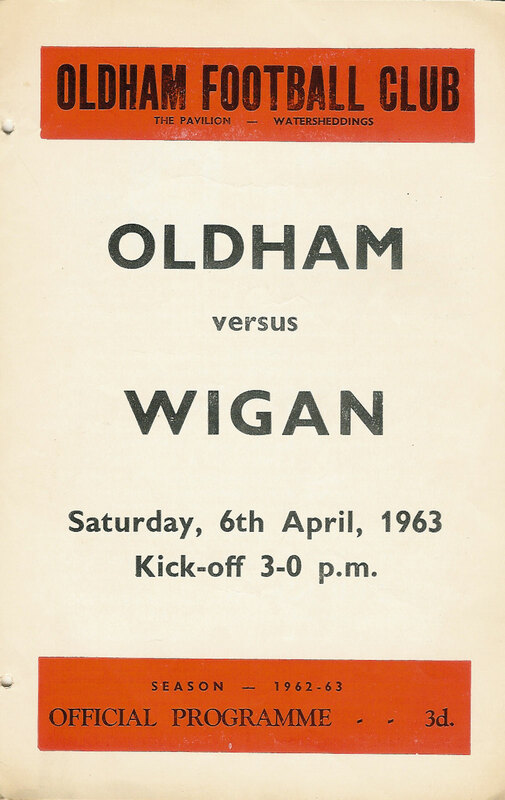 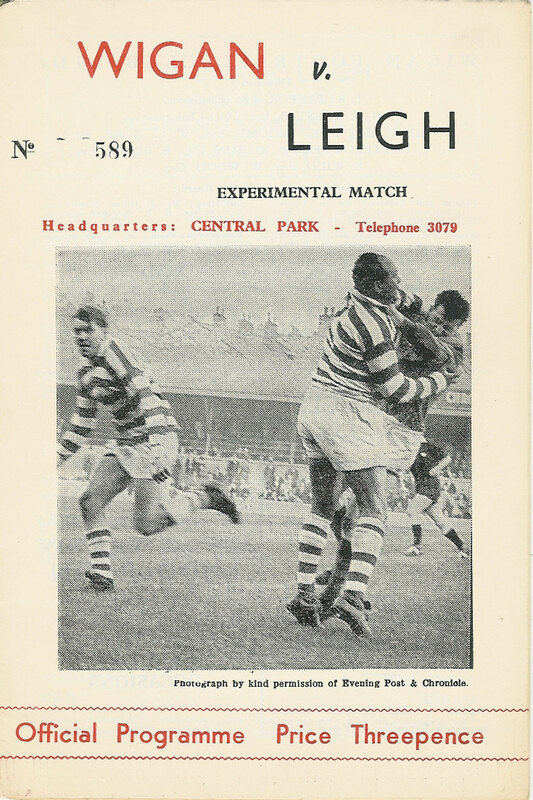 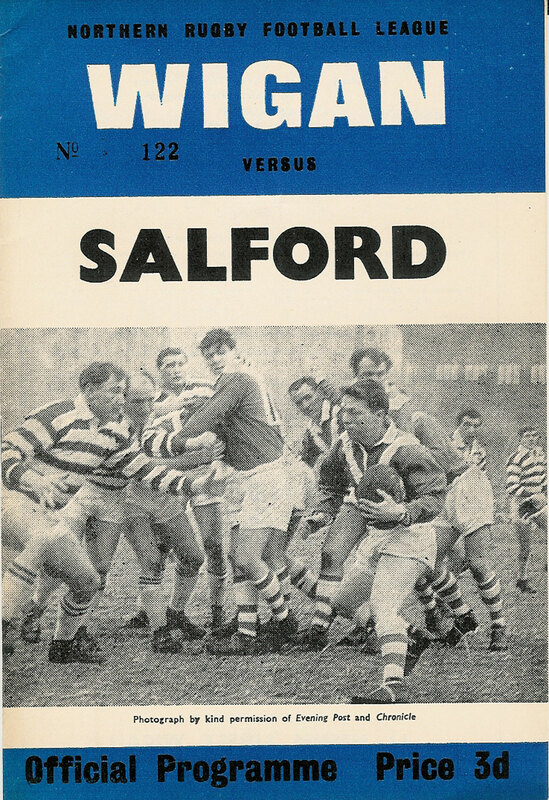 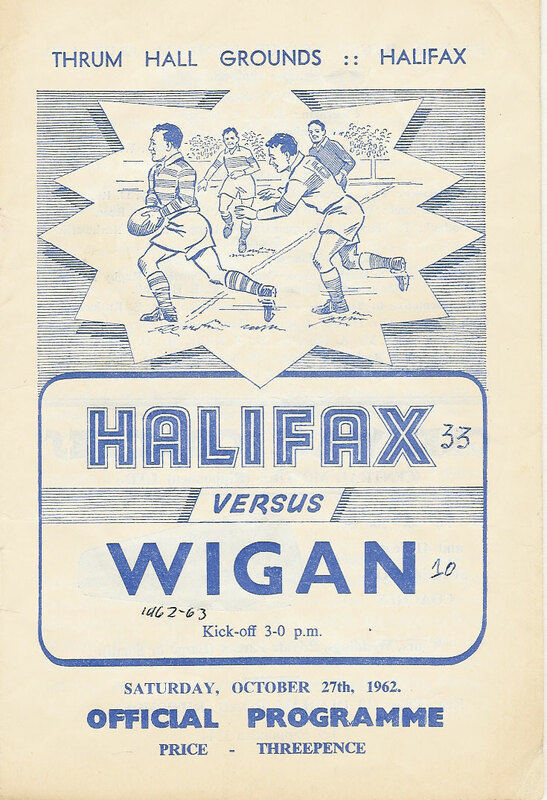 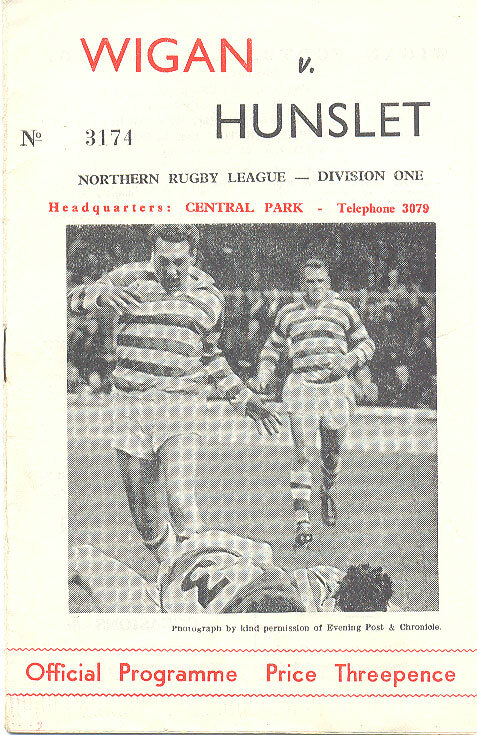 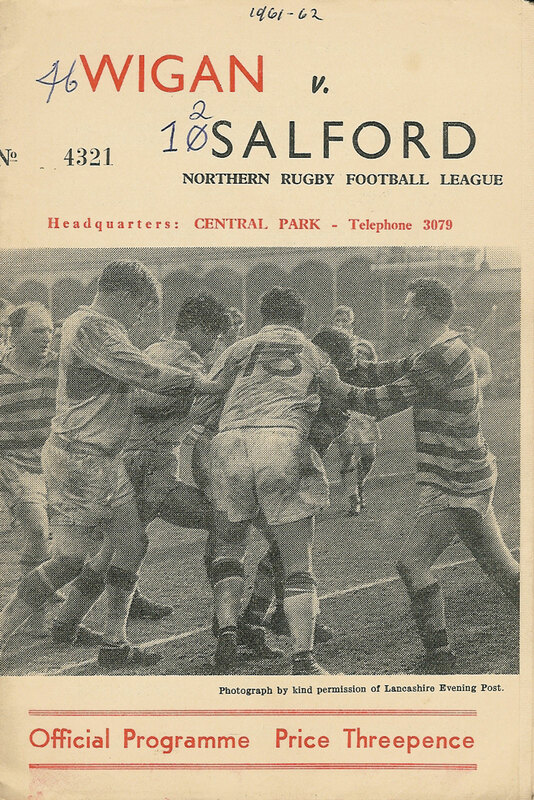 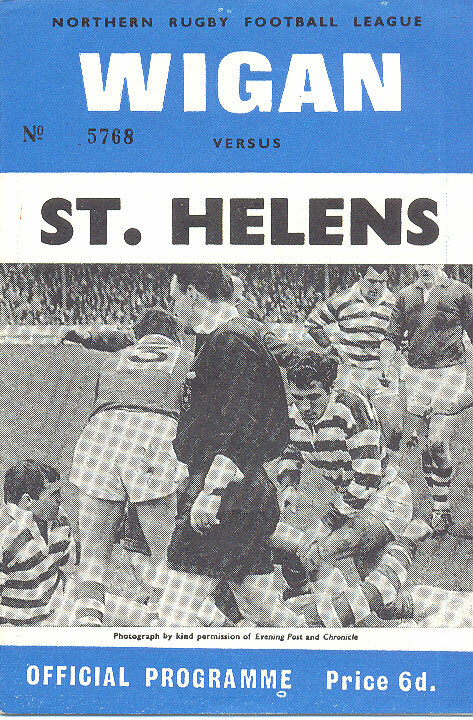 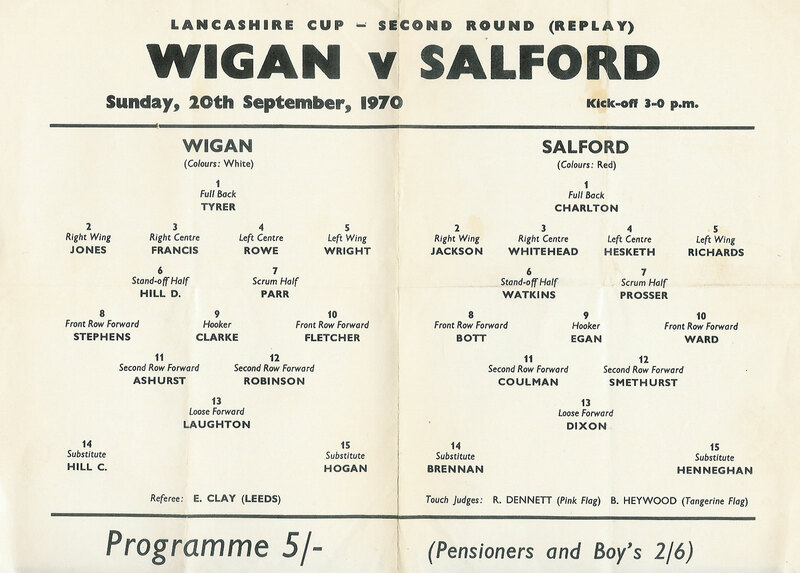 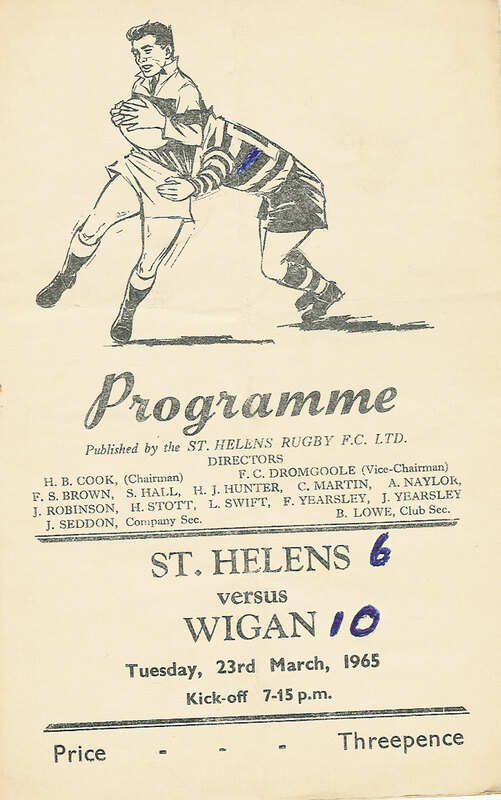 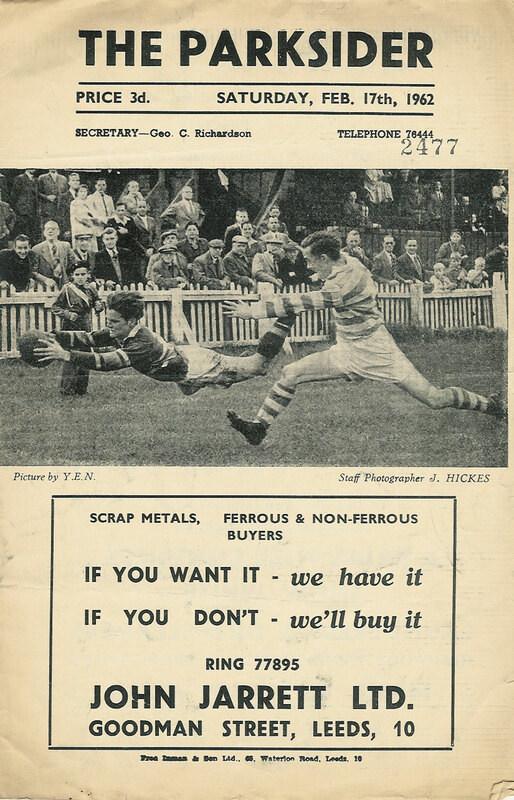 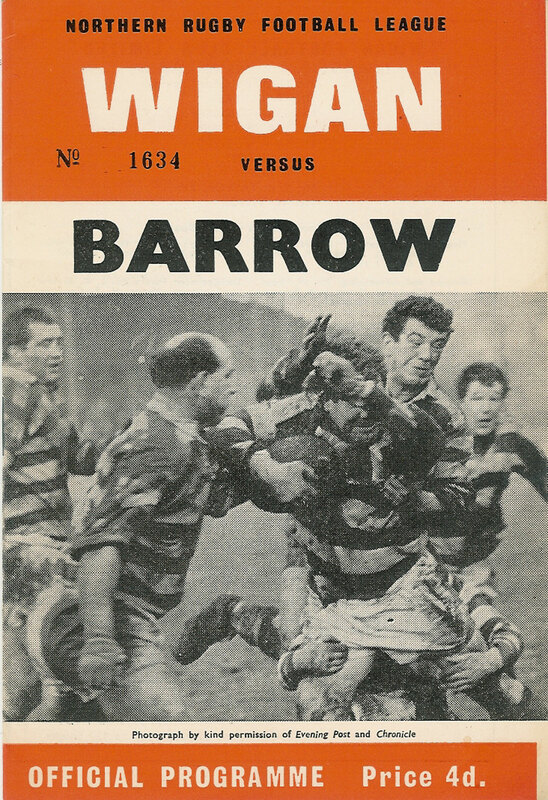 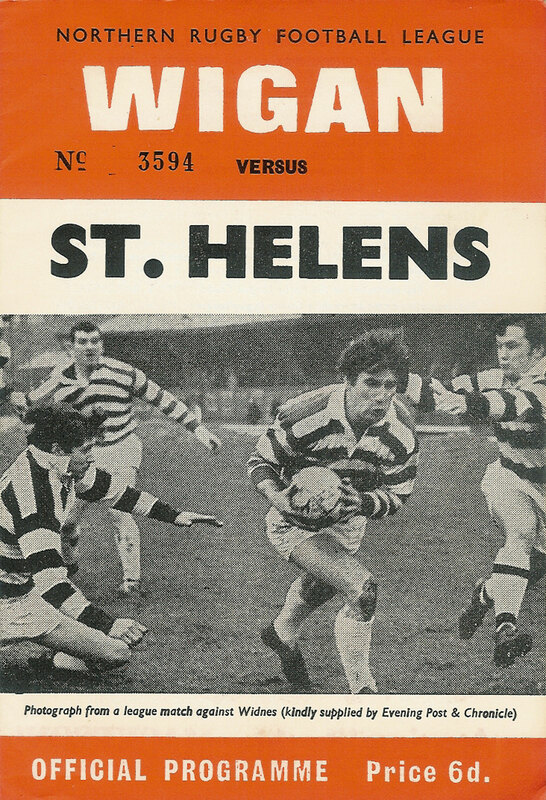 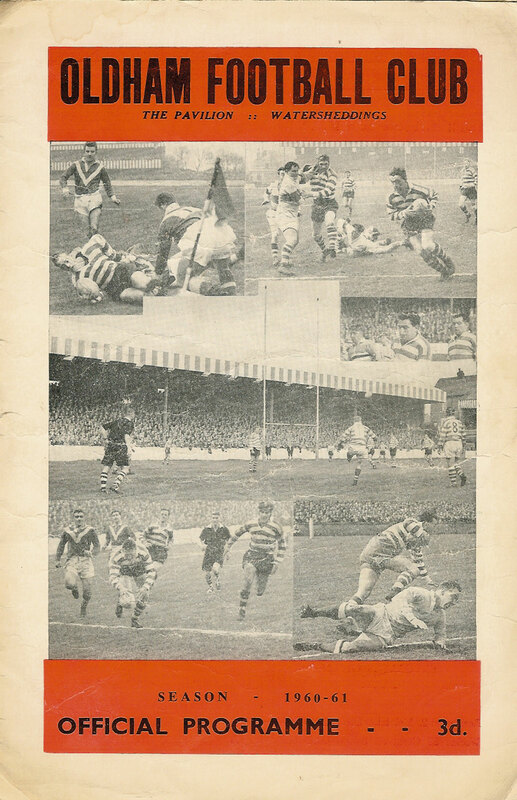 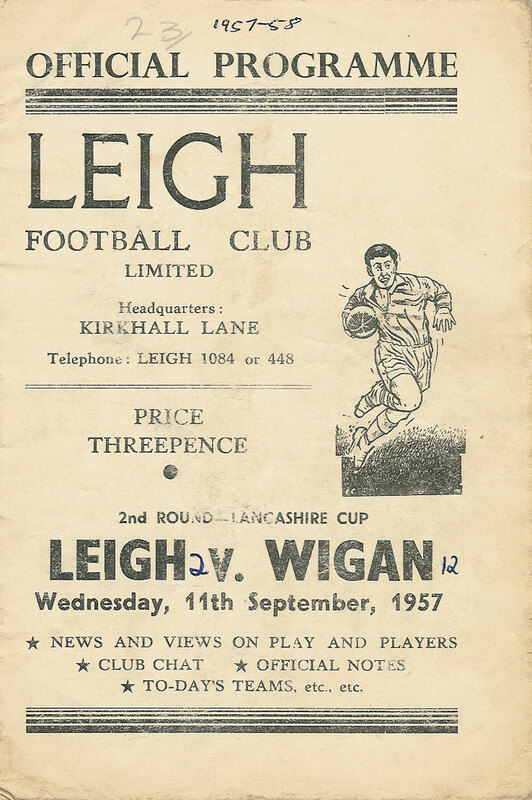 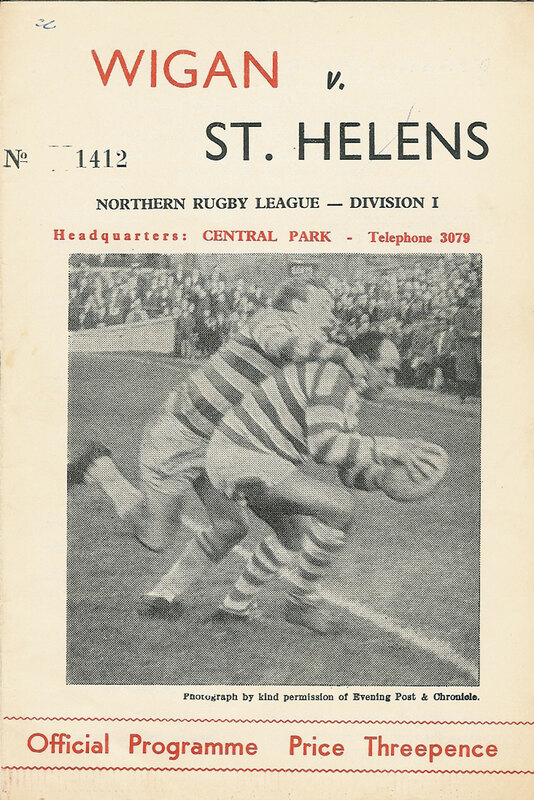 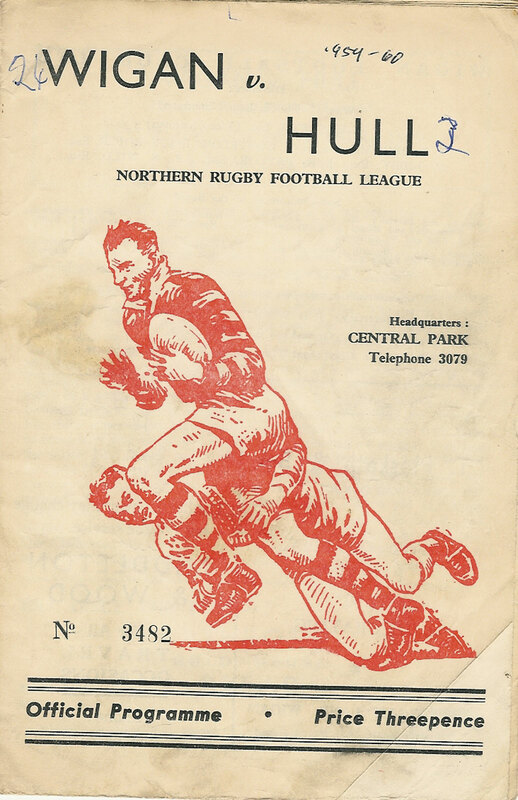 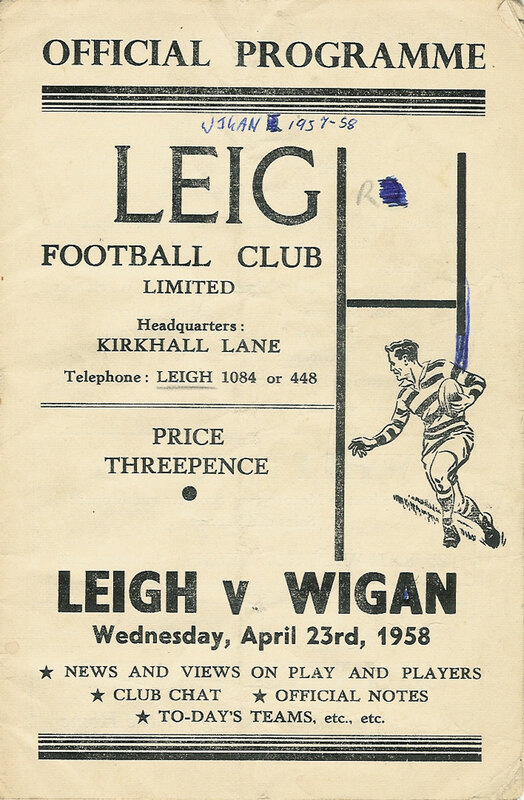 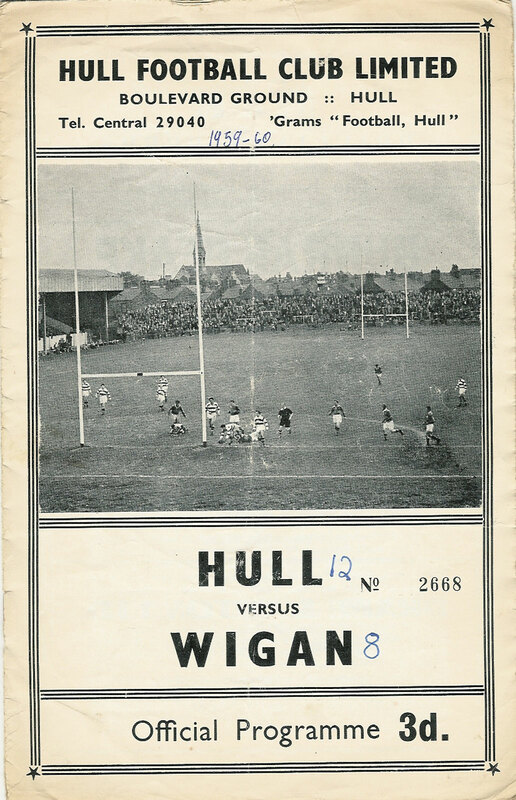 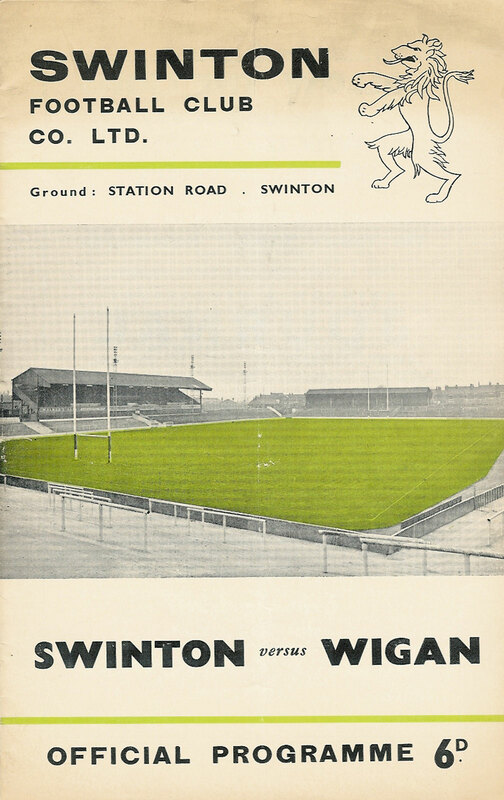 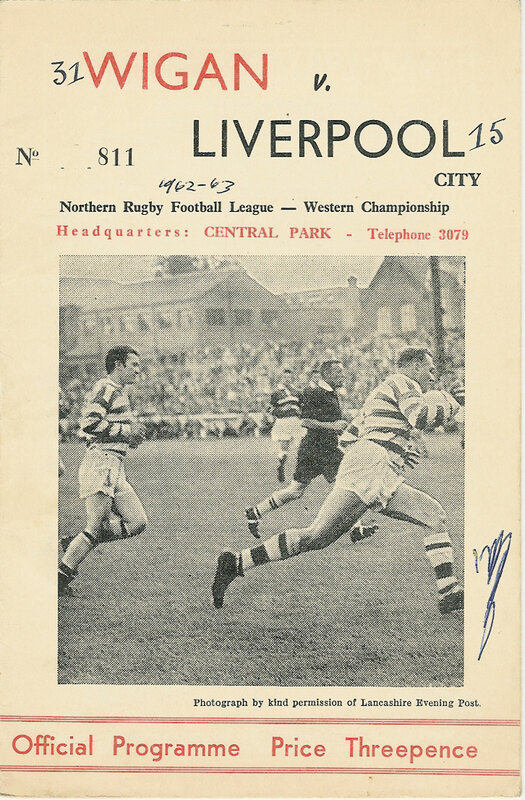 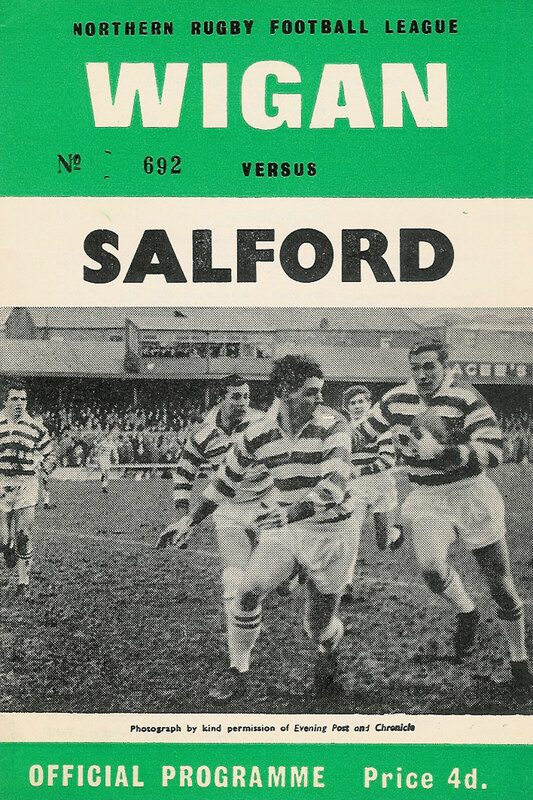 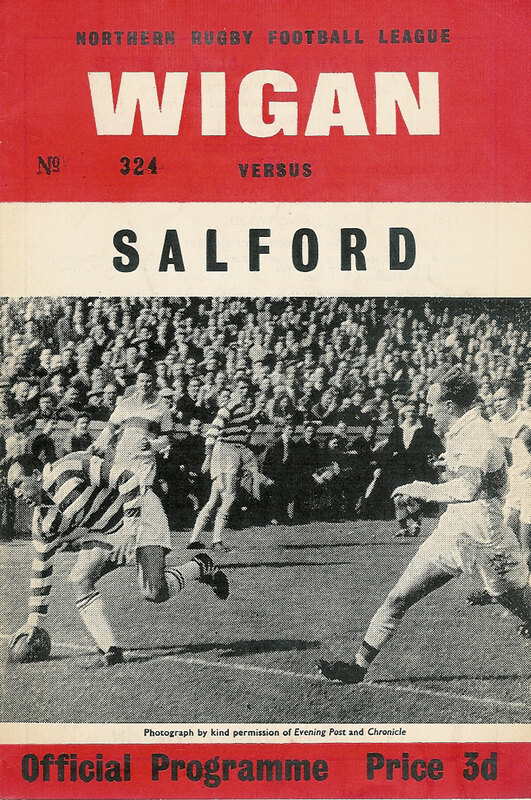 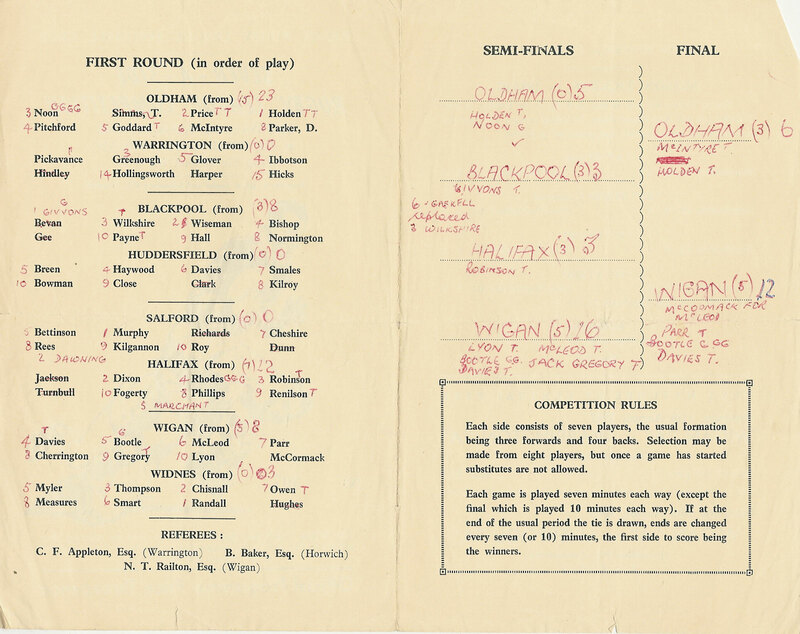 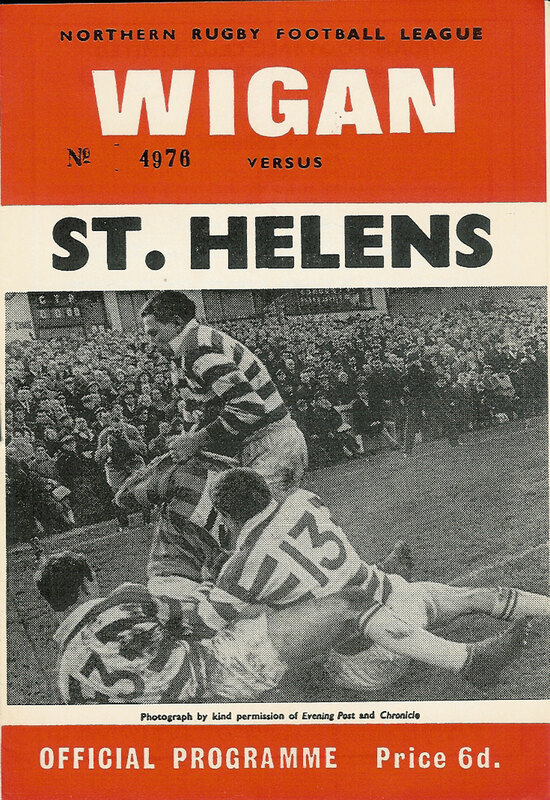 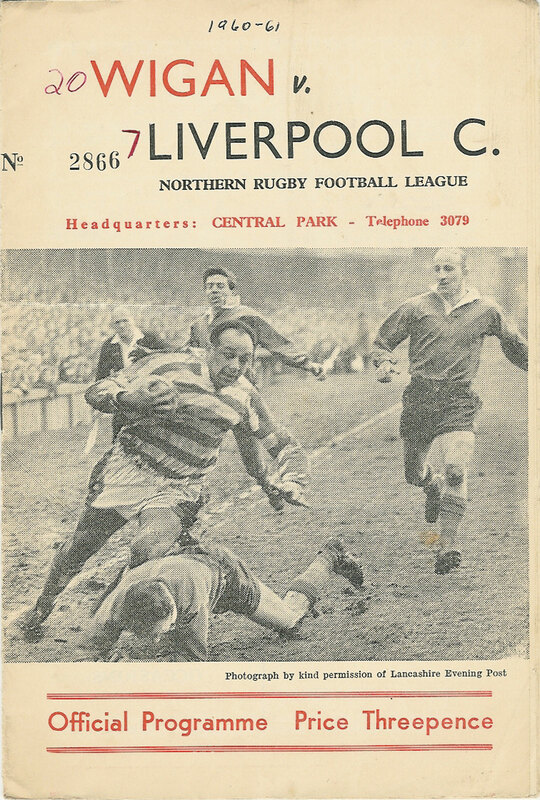 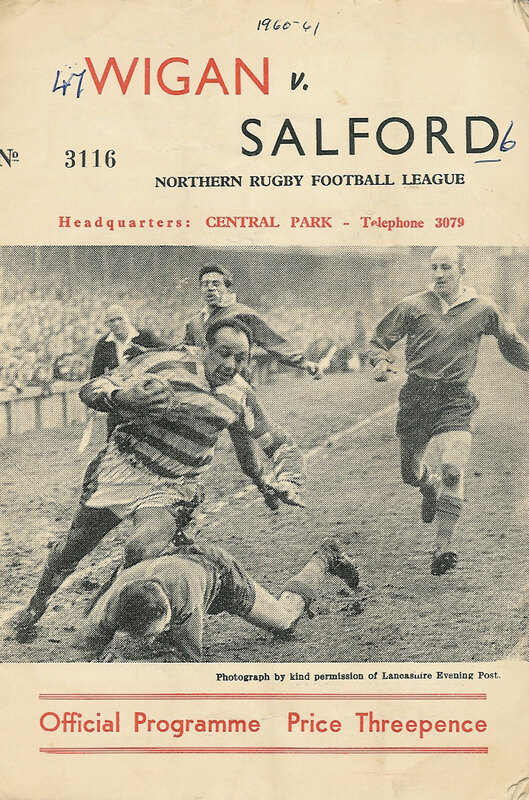 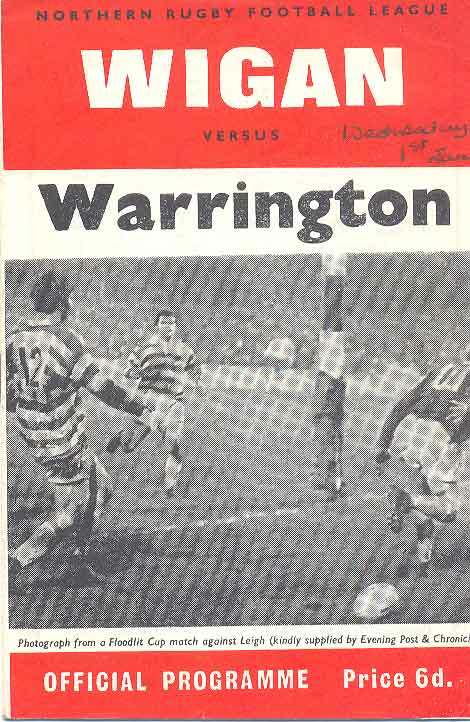 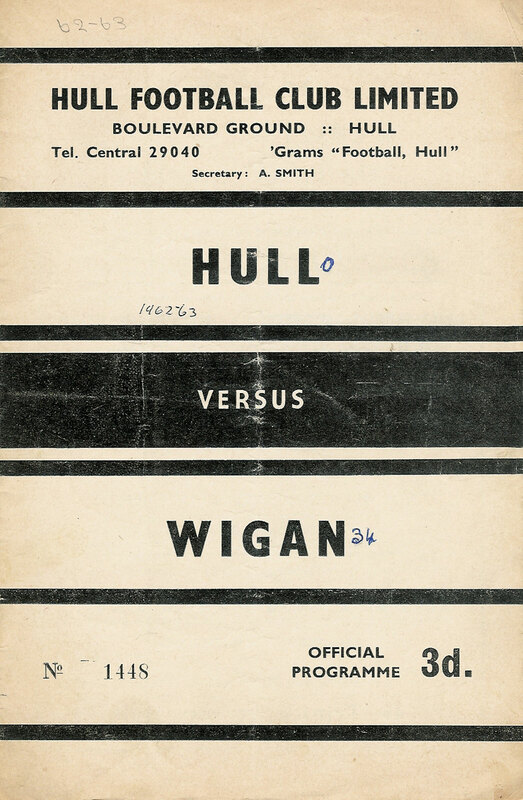 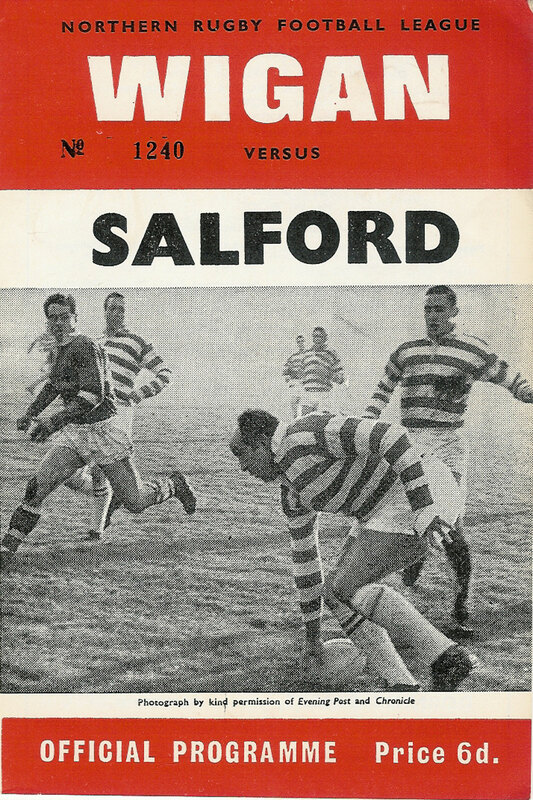 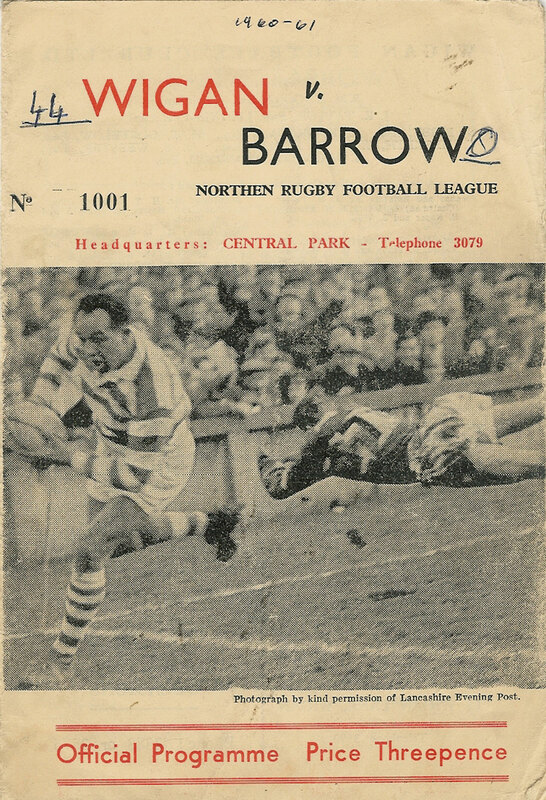 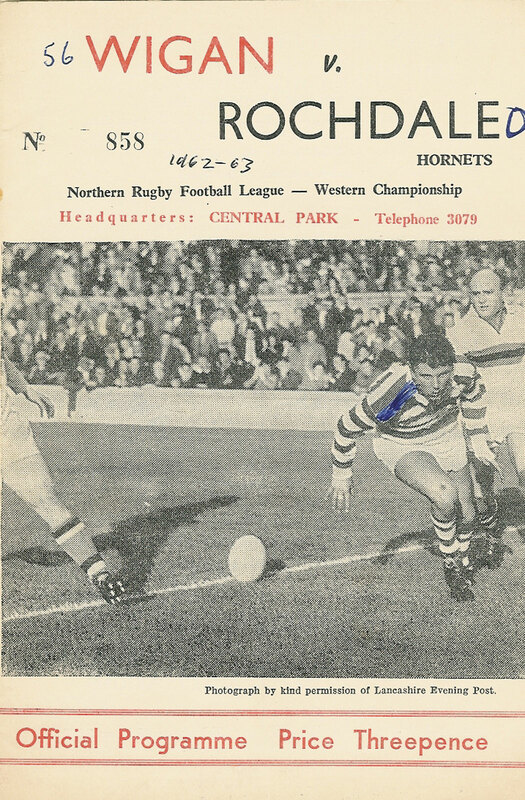 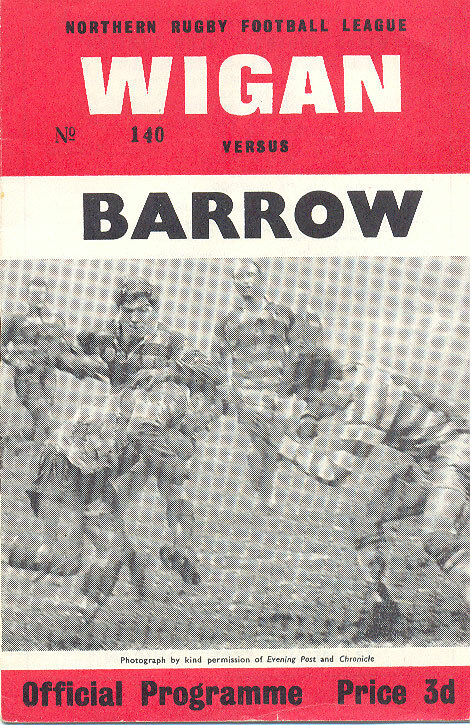 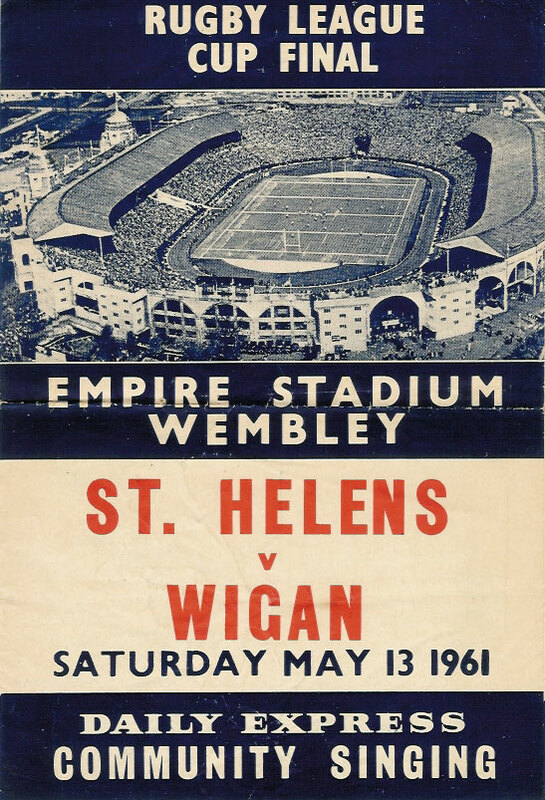 St. Helens v Wigan 13 May 1961 Wembley 12-6 creased, small burn mark to back page. 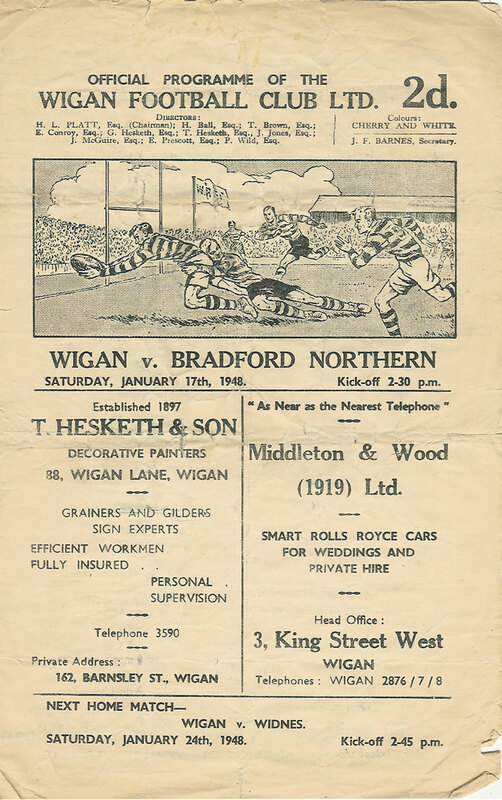 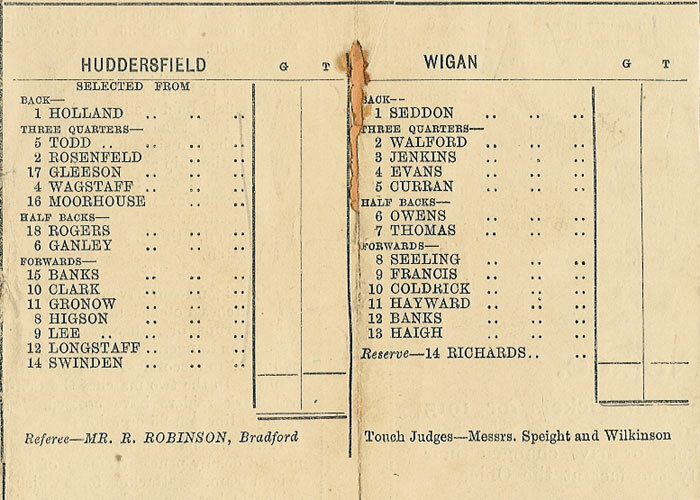 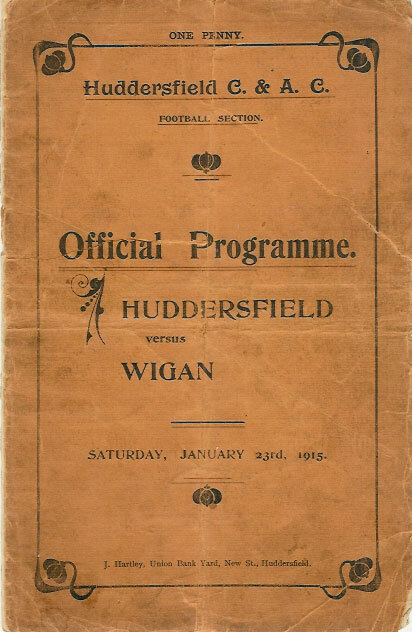 HUDDERSFIELD v WIGAN 23 Jan 1915 RUGBY LEAGUE PROGRAMME 'TEAM OF ALL TALENTS' - The Huddersfield team of the 1914-1915 season is acknowledged as one of the greatest Rugby League teams ever. 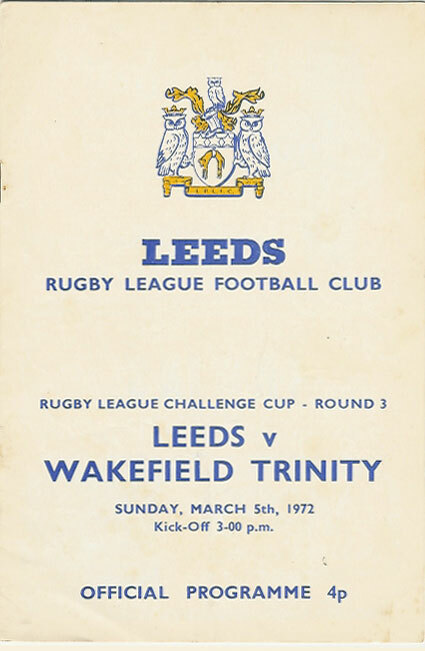 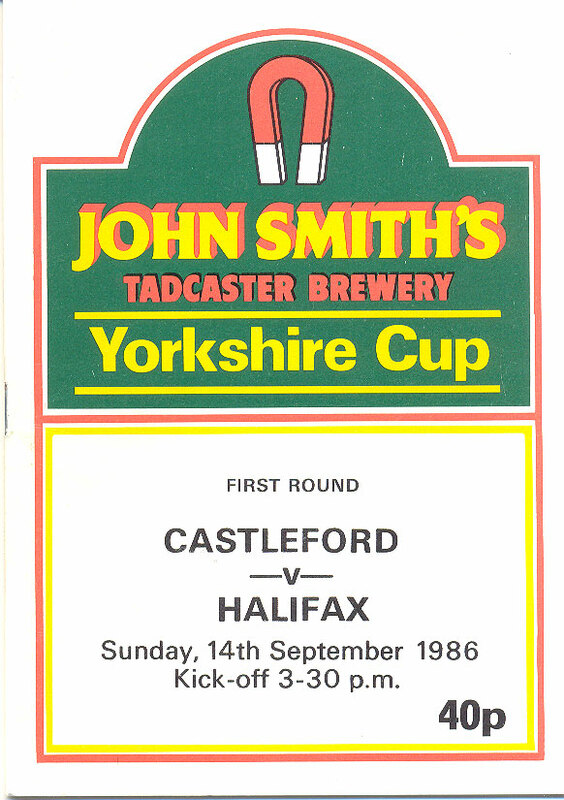 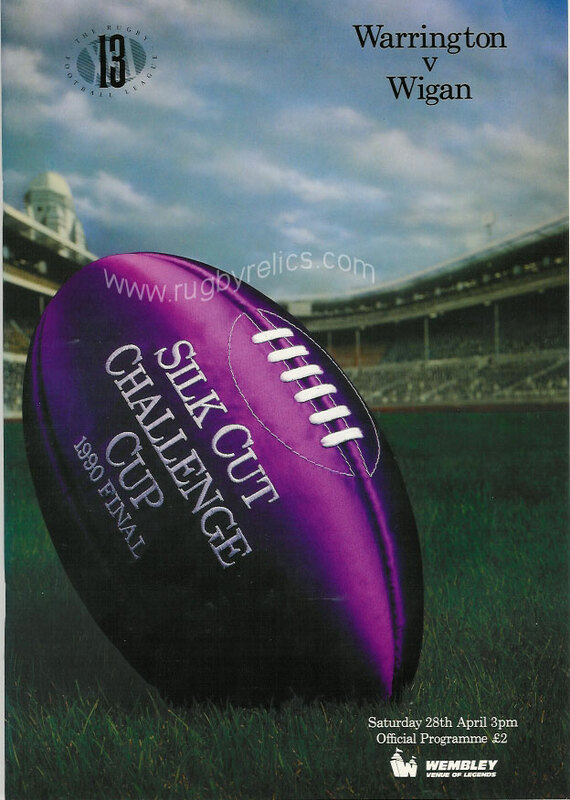 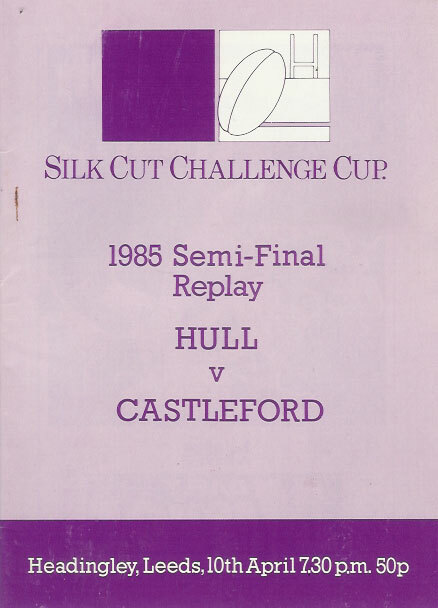 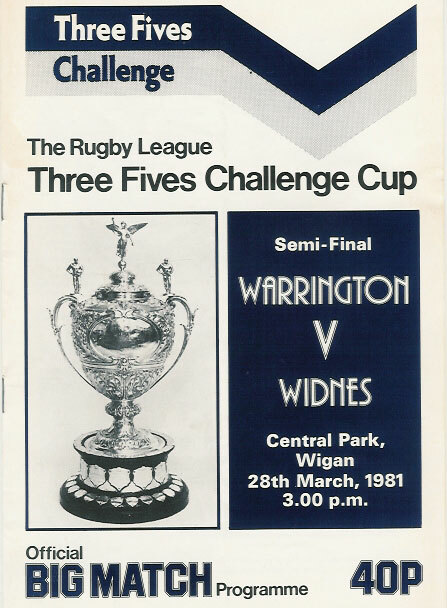 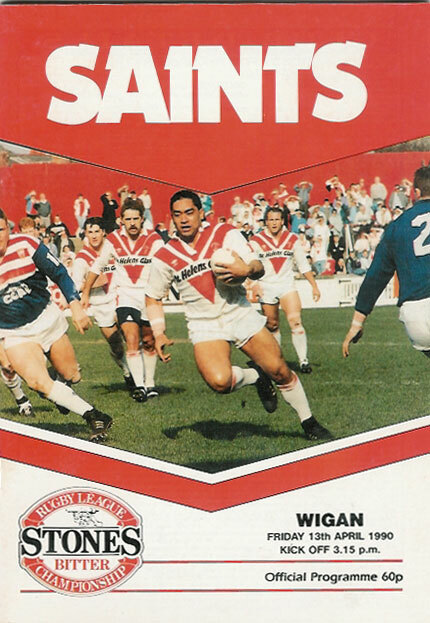 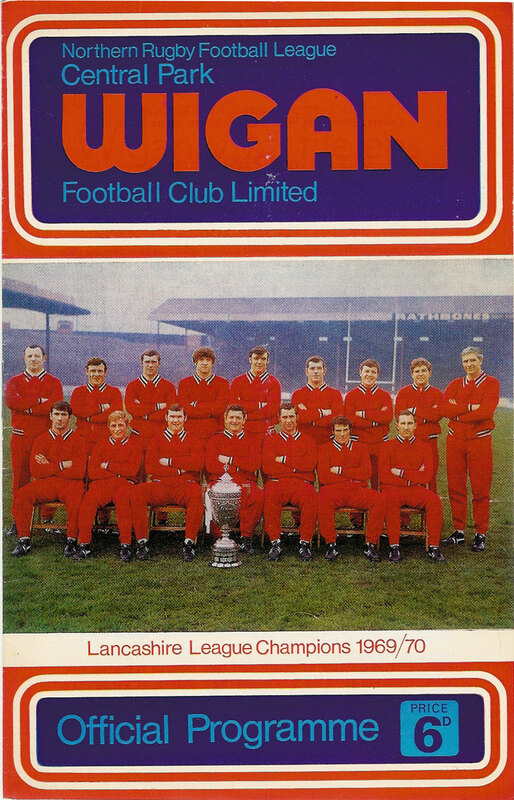 Known as the 'team of all talents' they won all 4 competitions in which they competed beating Leeds 35-2 in the Championship Play-off Final, St Helens 37-3 in Challenge Cup Final, Hull 31-0 in the Yorkshire Cup Final as well as winning the Yorkshire League. 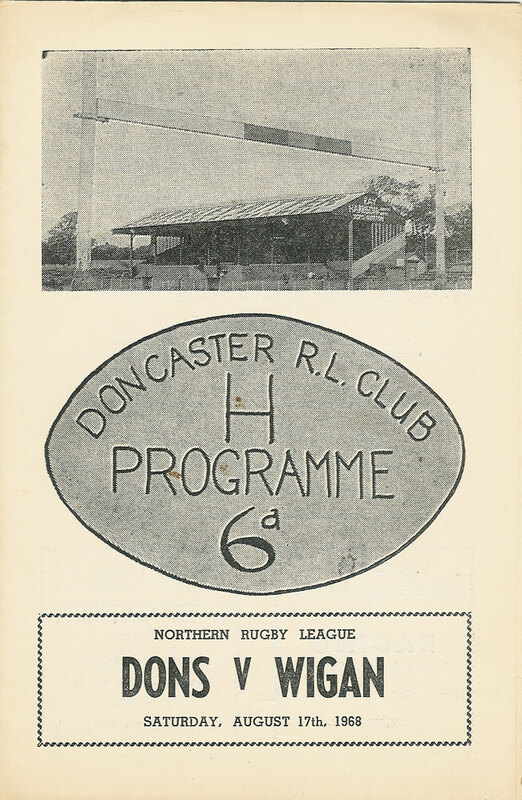 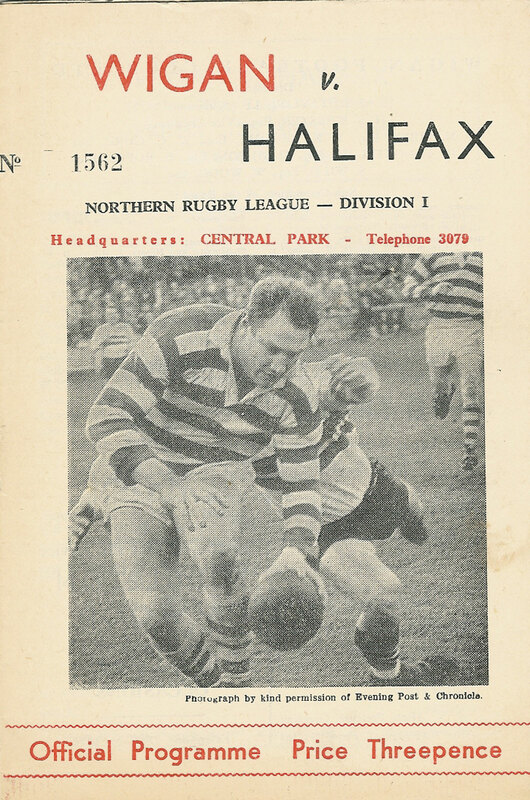 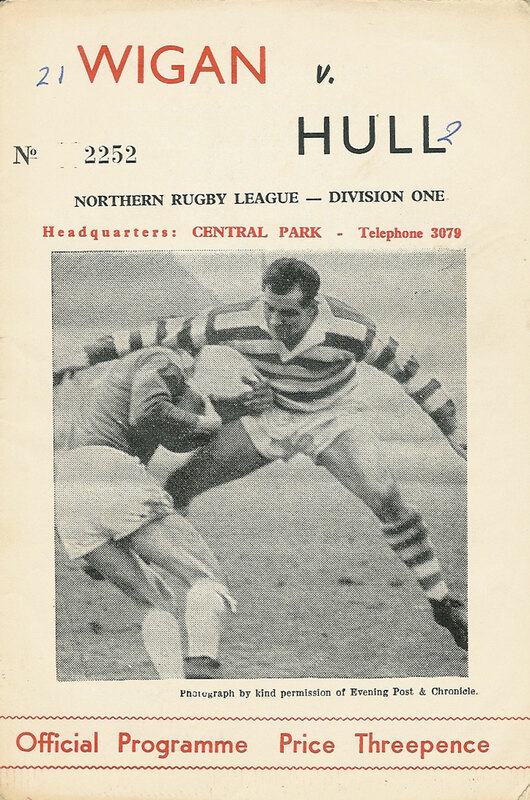 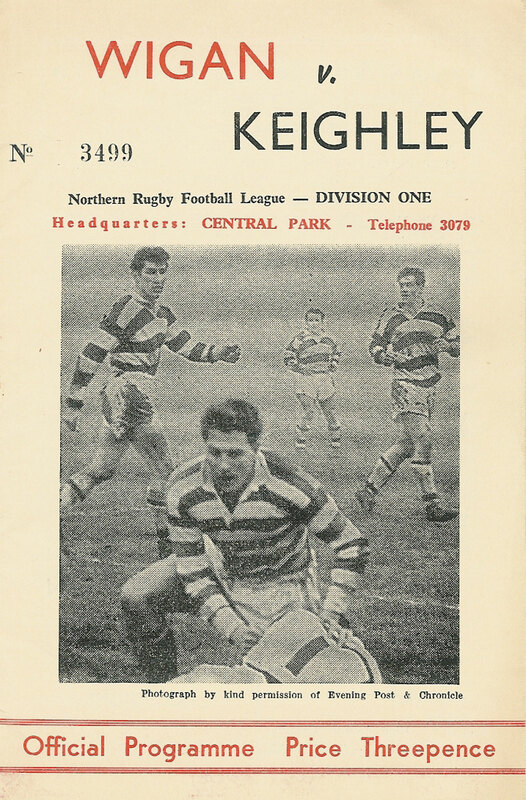 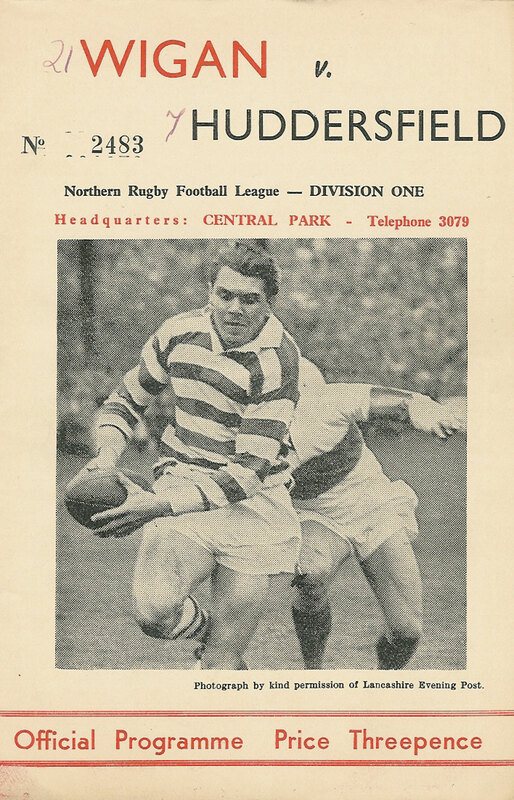 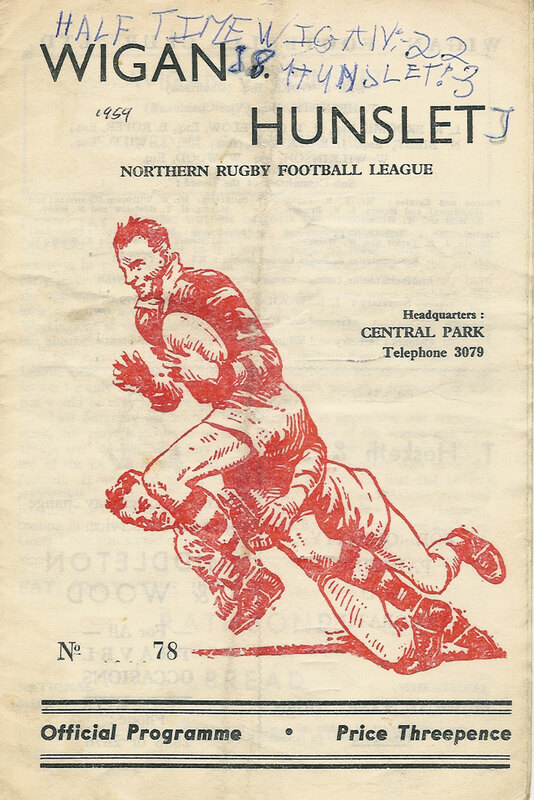 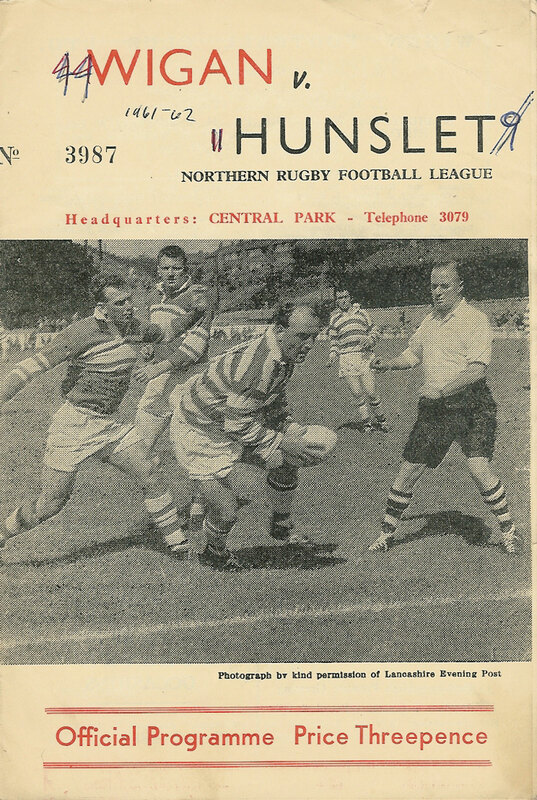 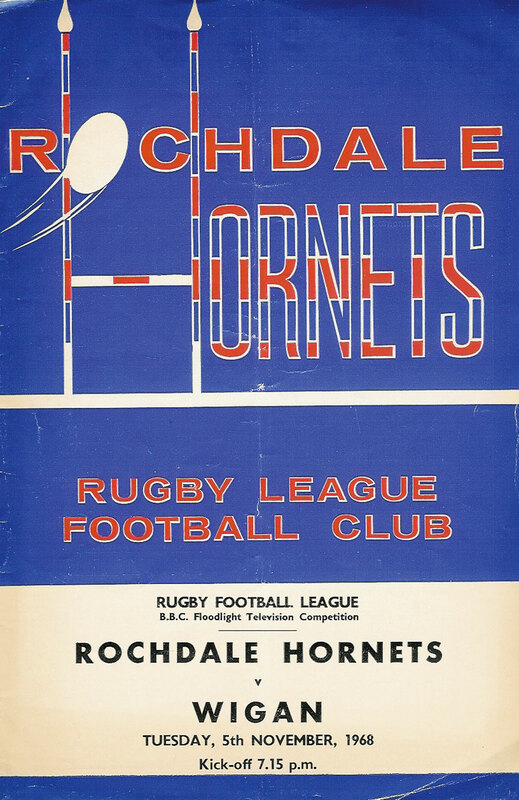 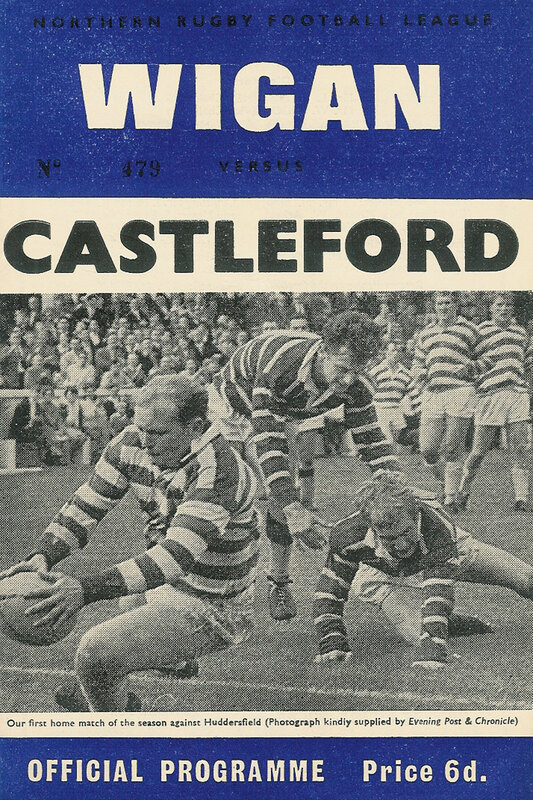 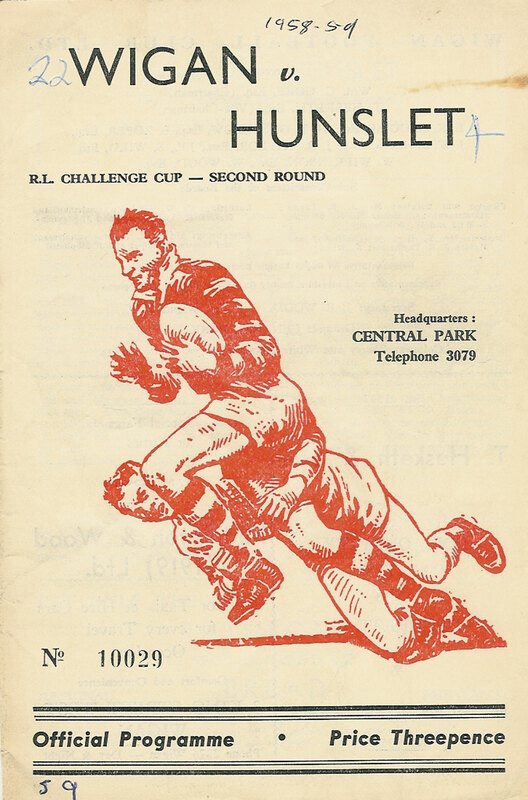 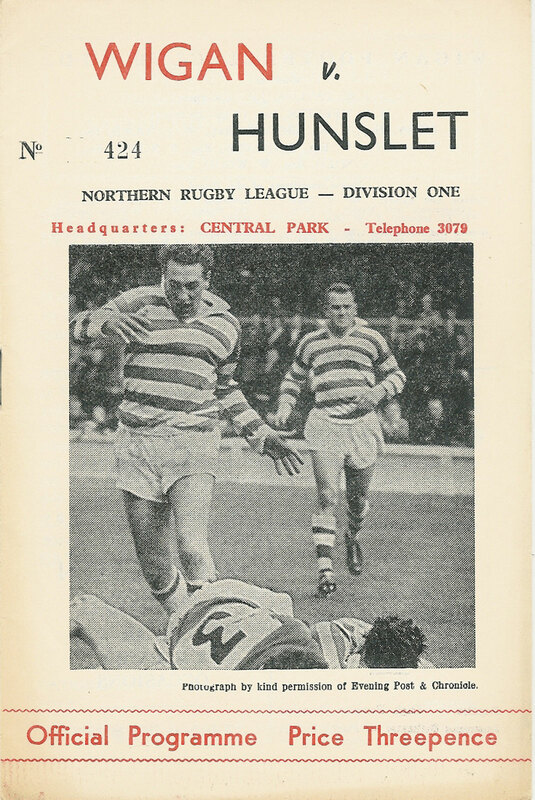 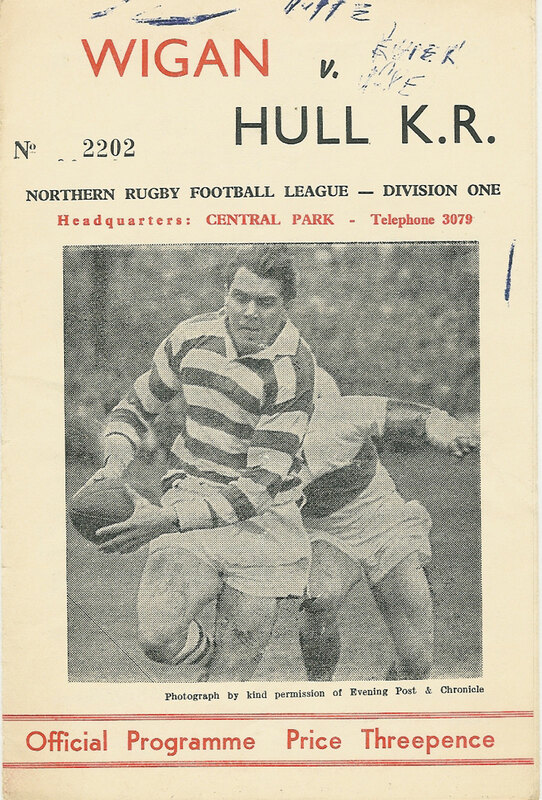 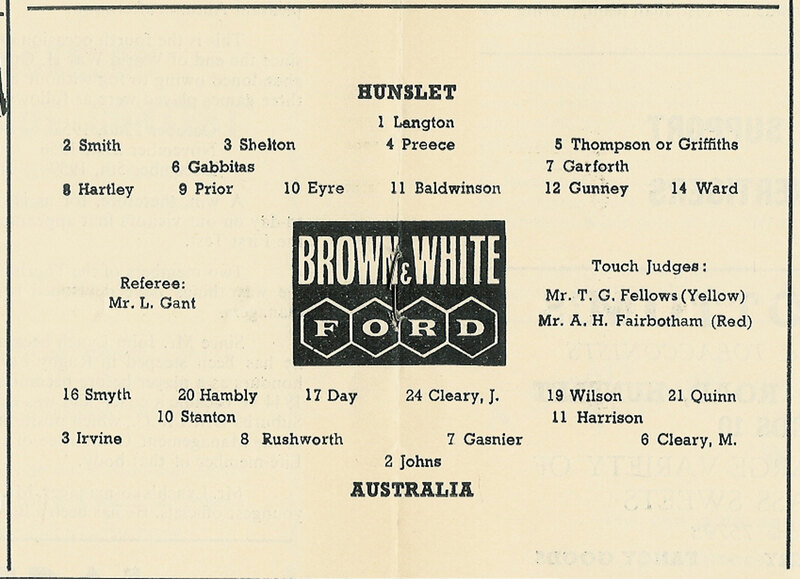 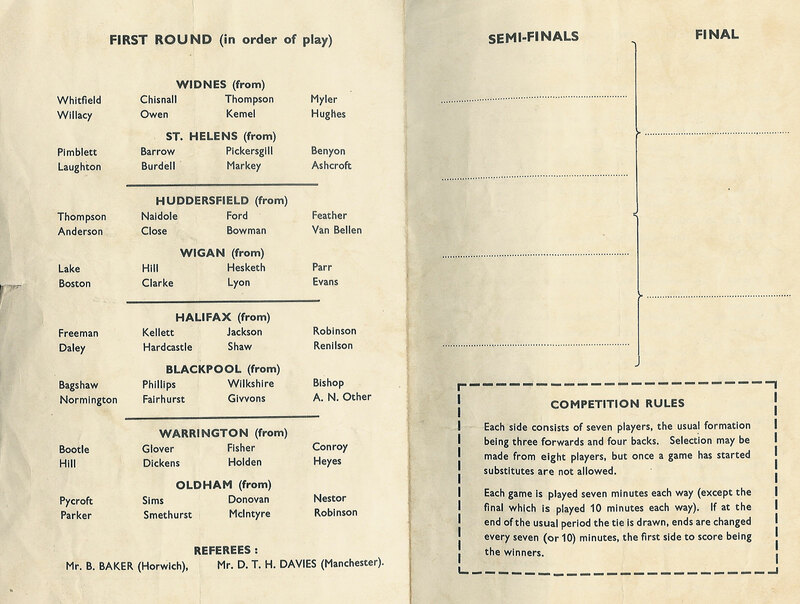 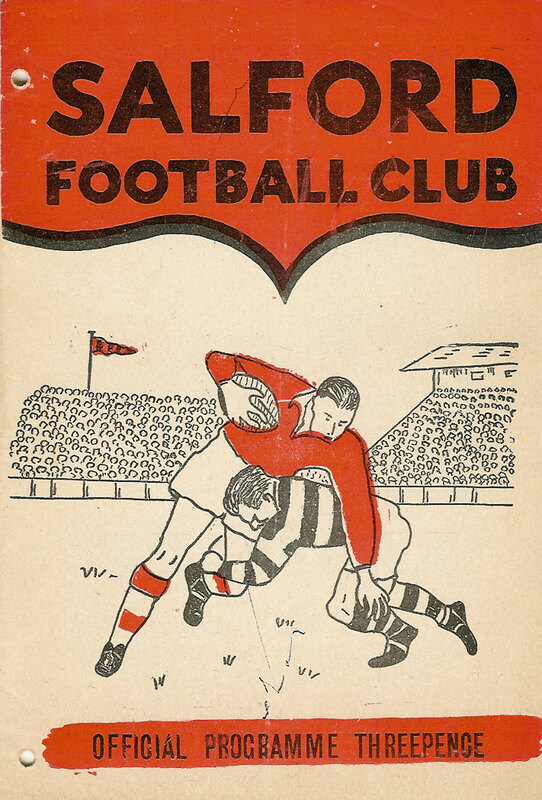 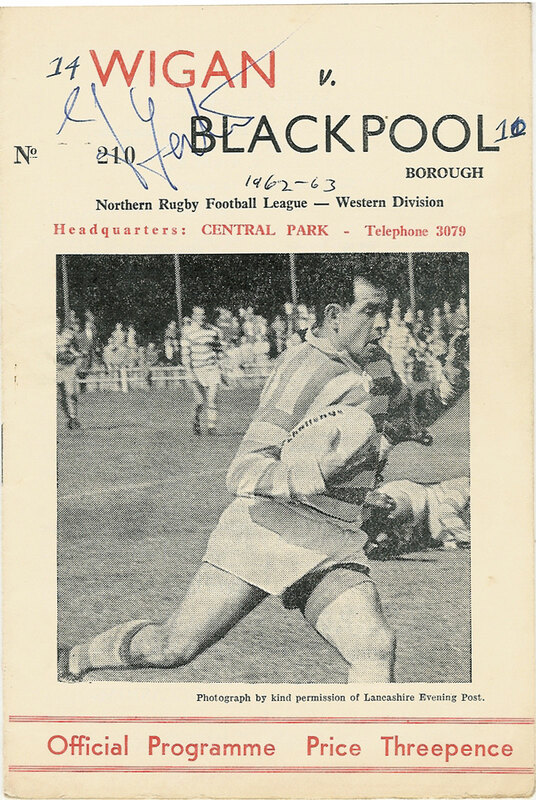 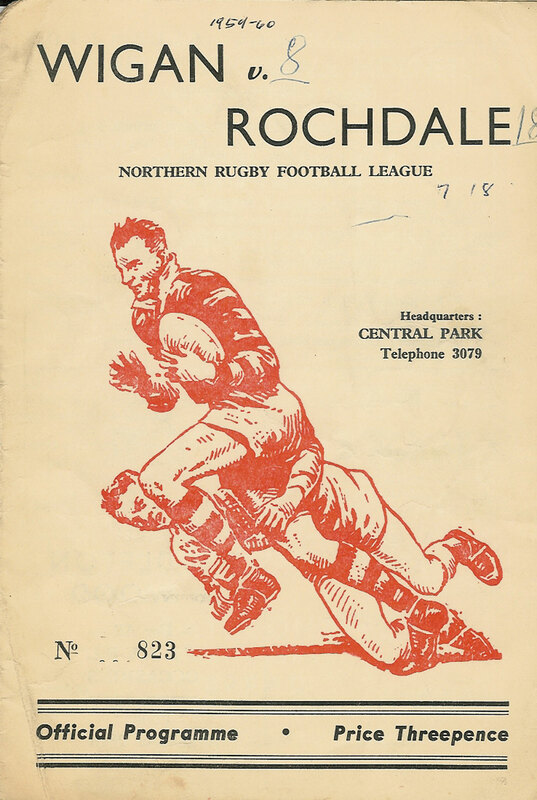 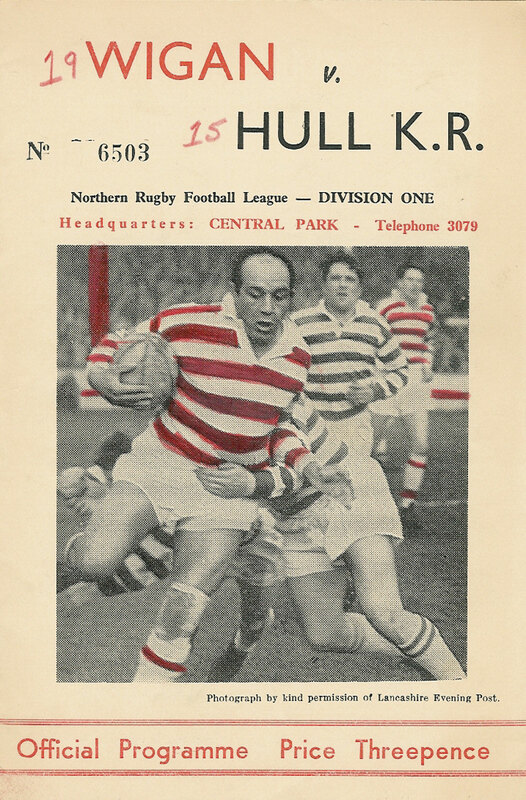 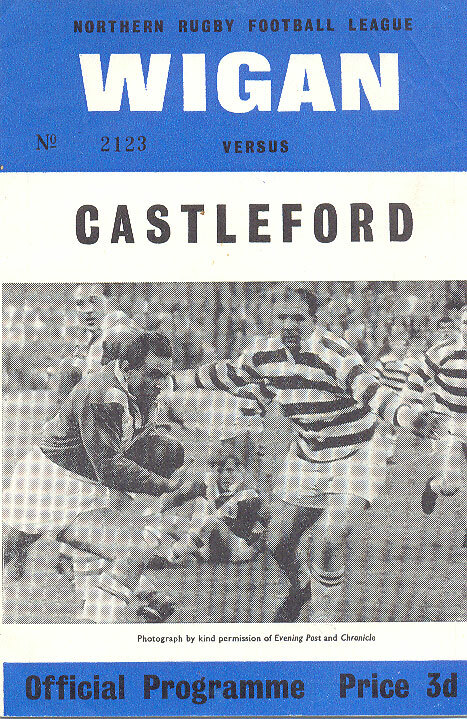 Three members of the team appear in the Rugby League Hall of Fame, Albert Rosenfeld (80 tries in one season), Harold Wagstaff & Douglas Clark (most appearances for Huddersfield: 485), other members of the team include Ben Gronow, Fred Longstaff, Herbert Banks & WH Ganley. 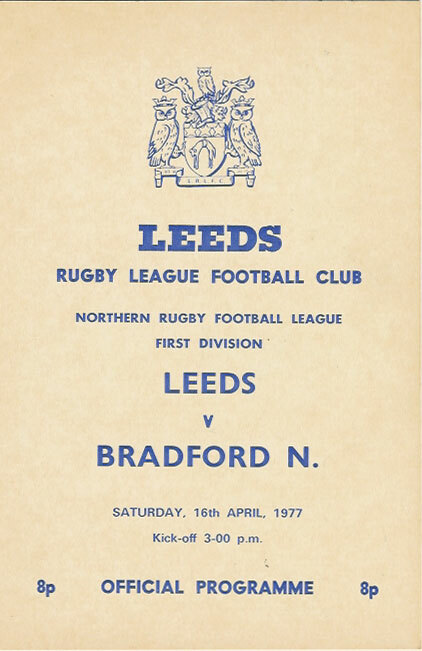 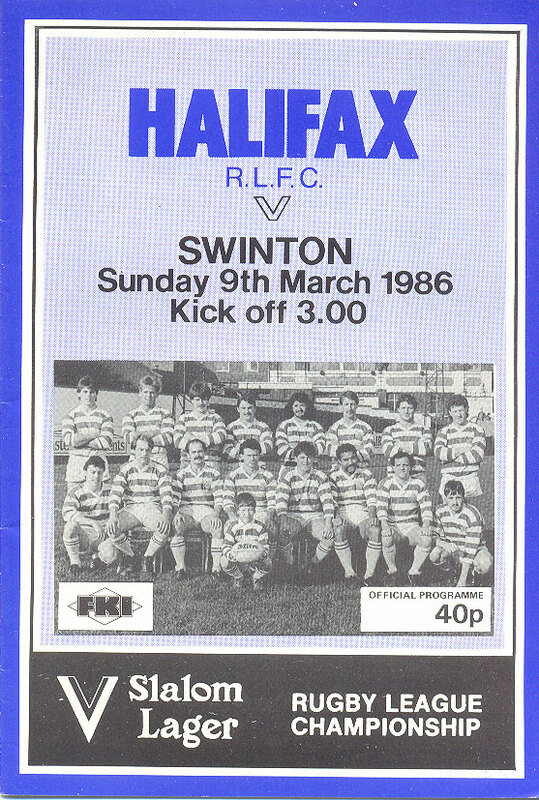 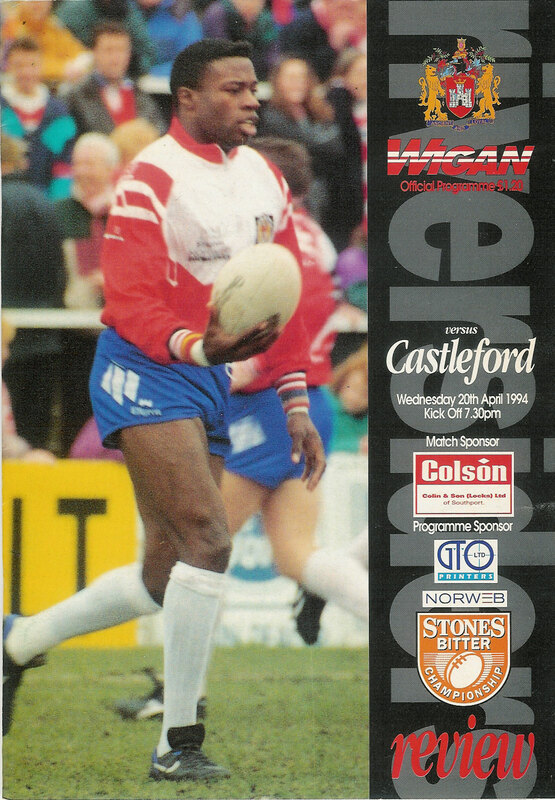 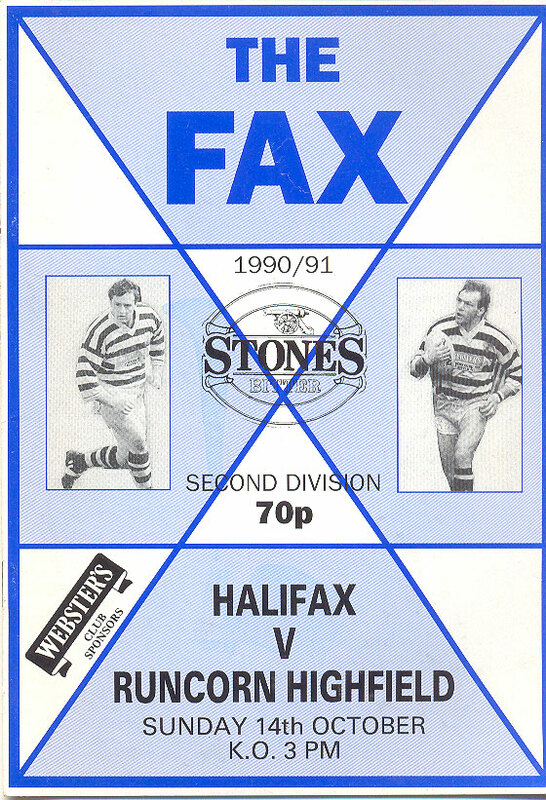 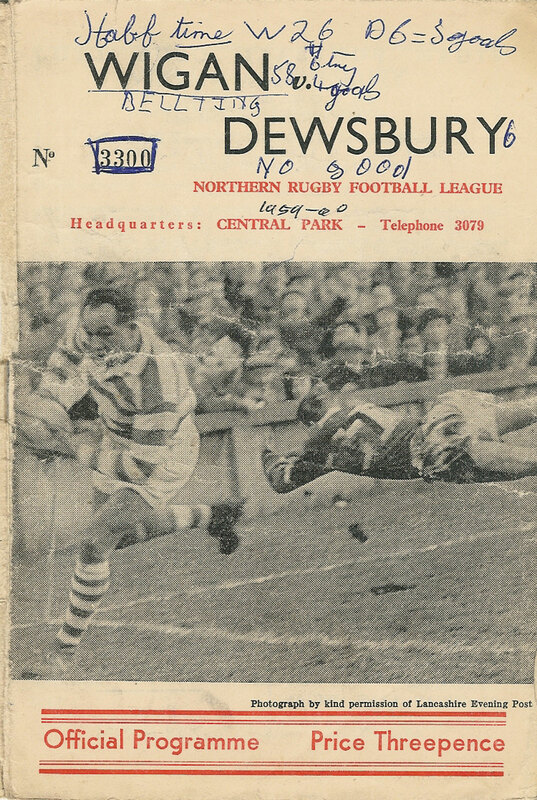 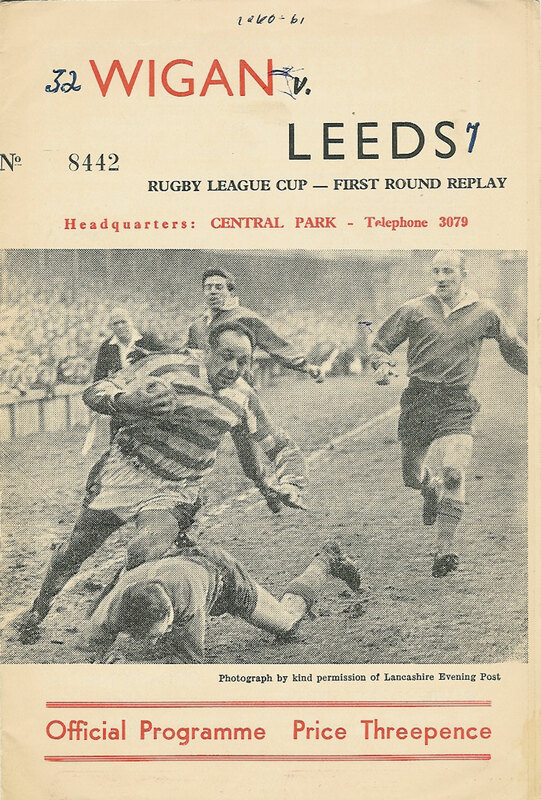 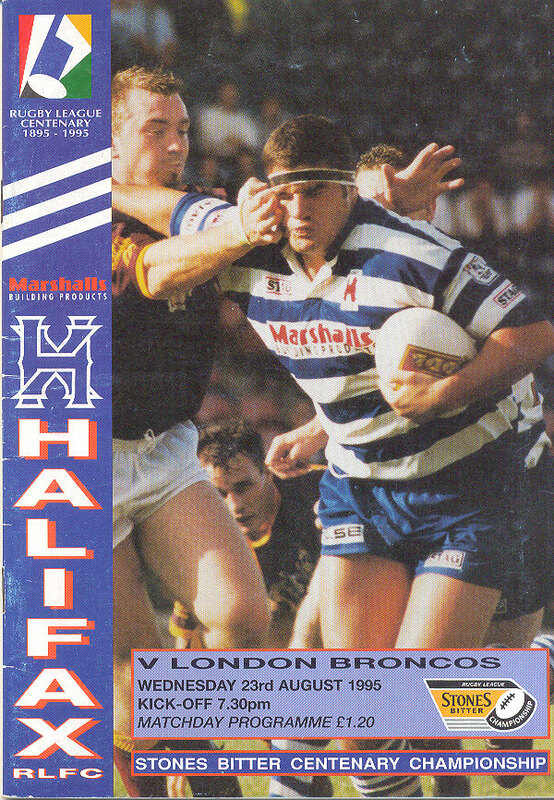 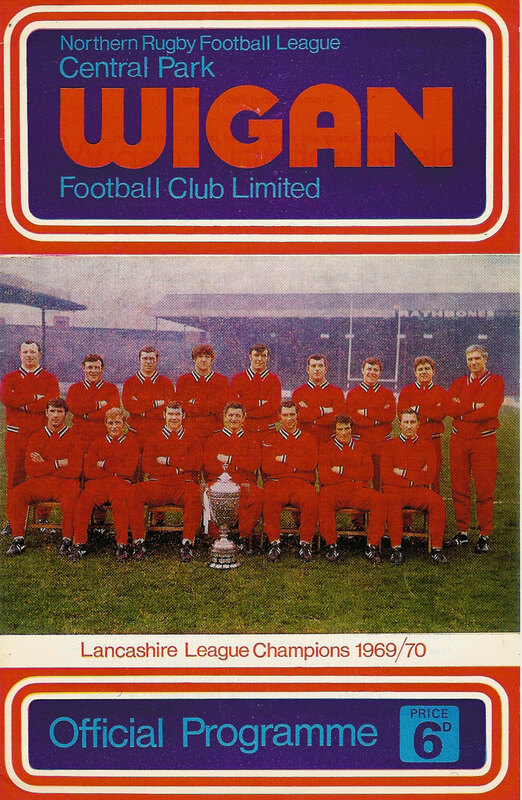 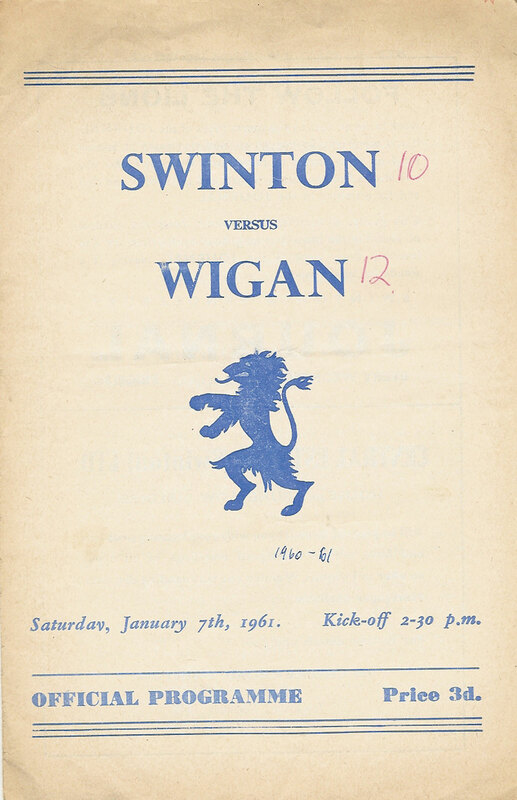 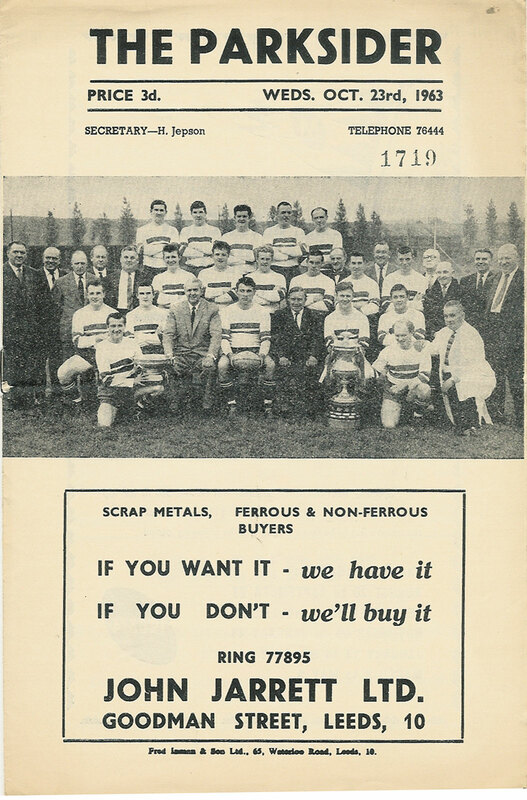 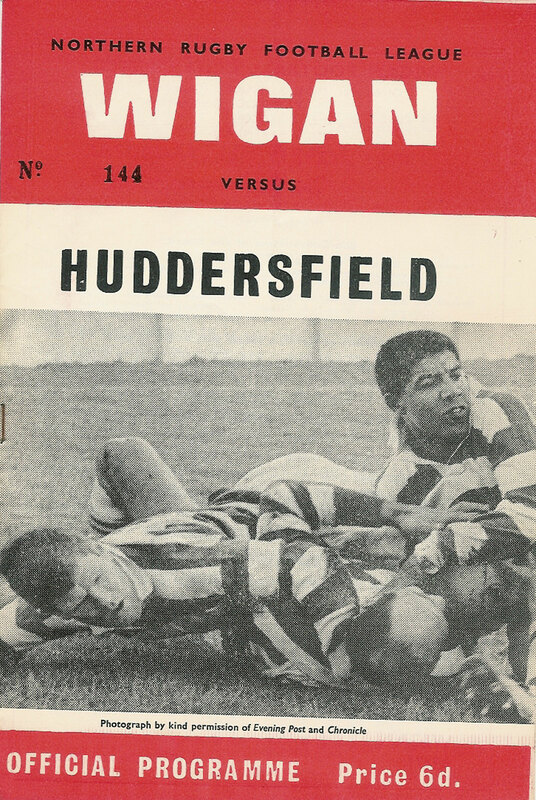 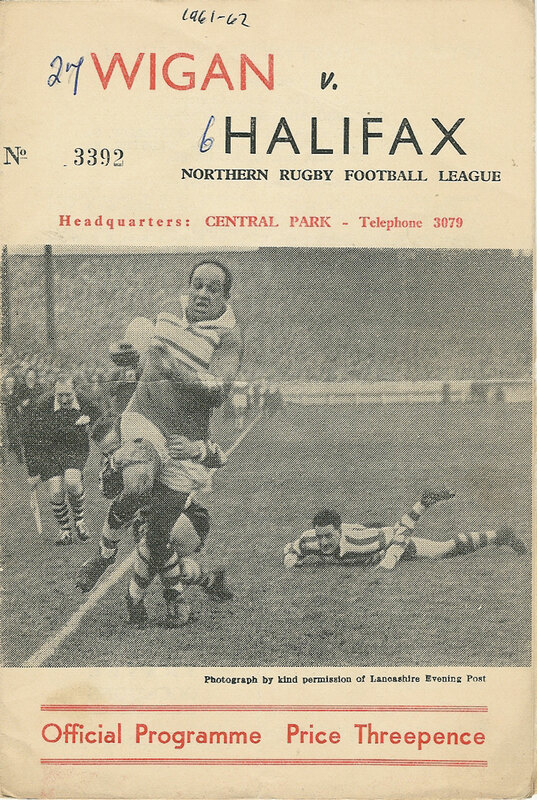 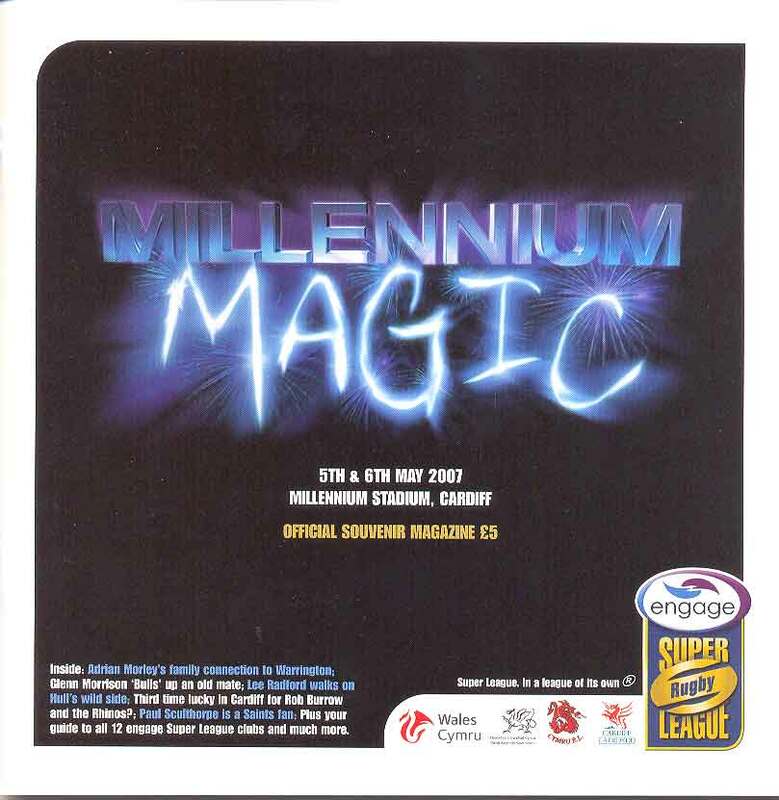 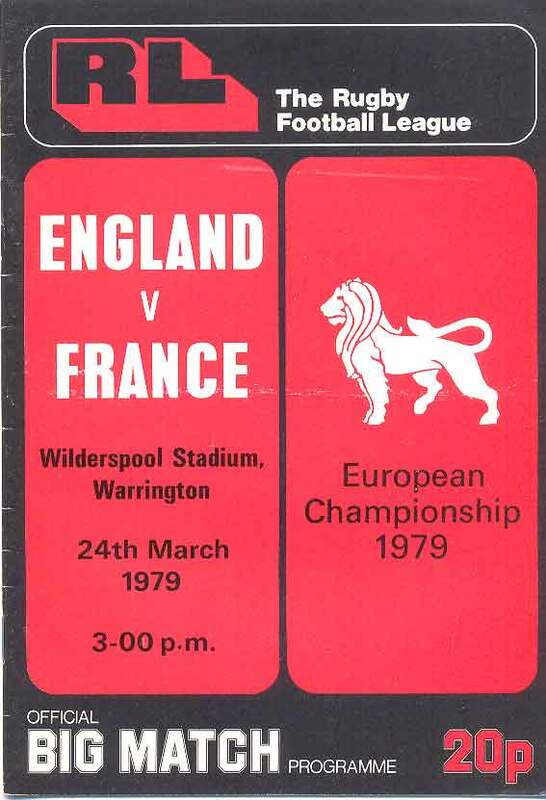 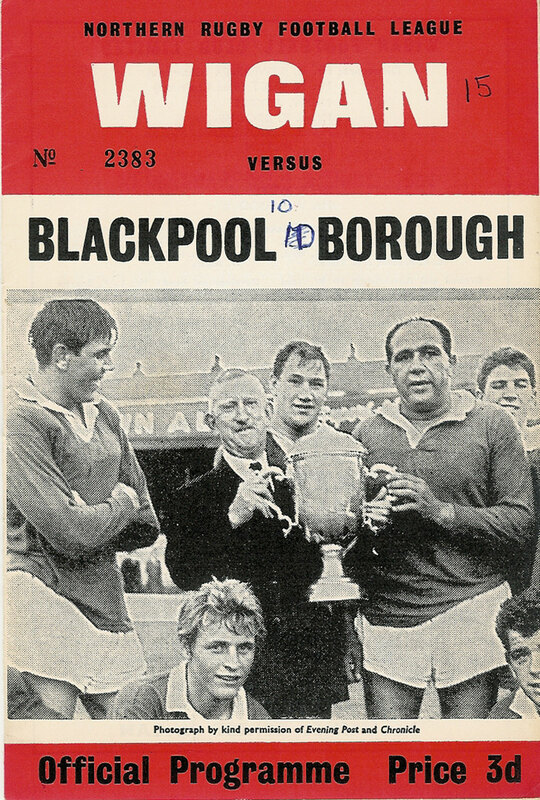 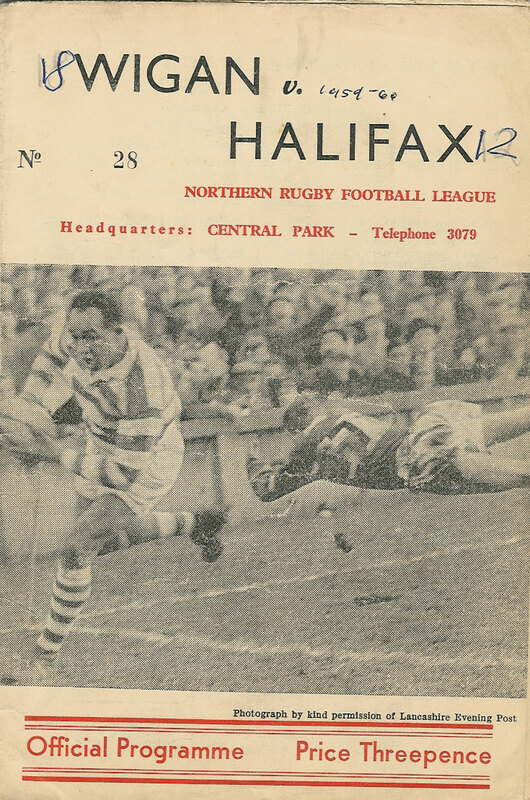 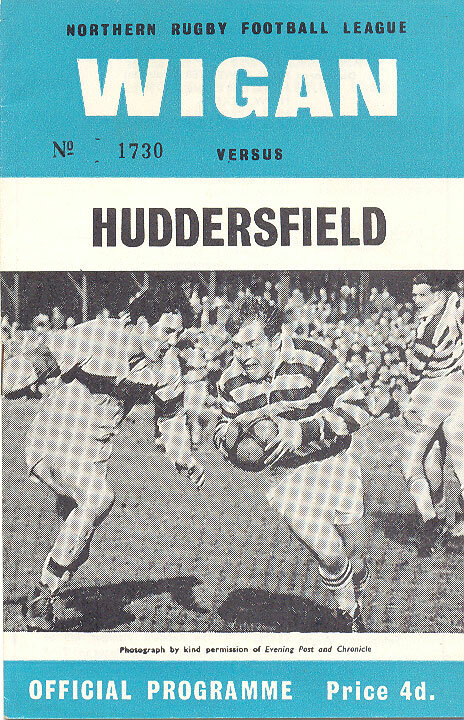 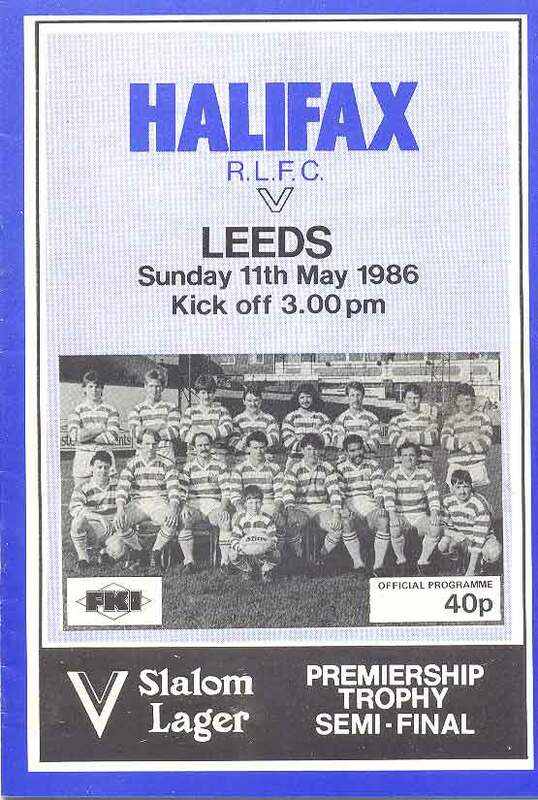 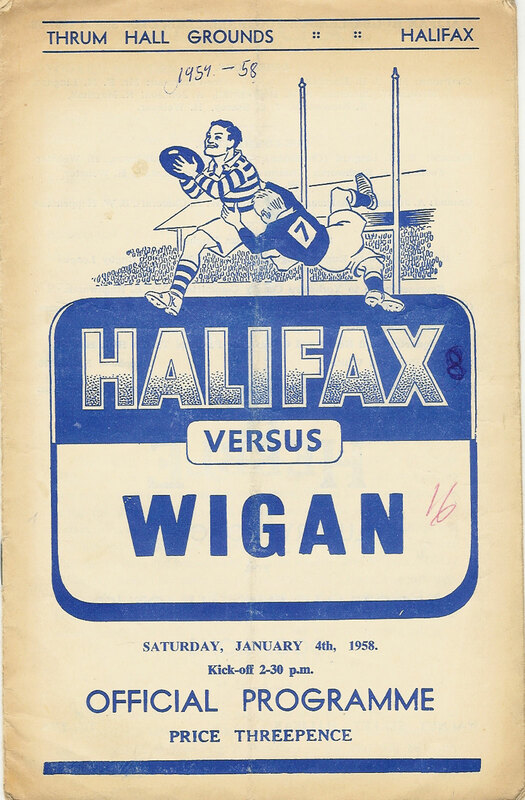 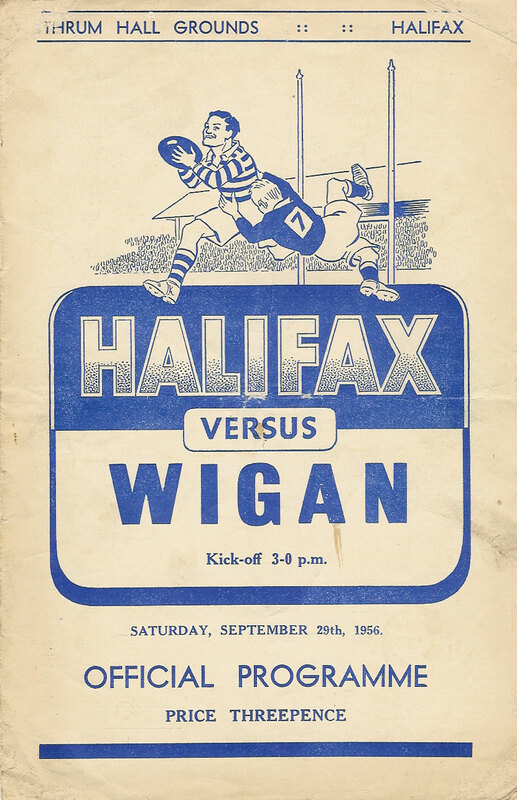 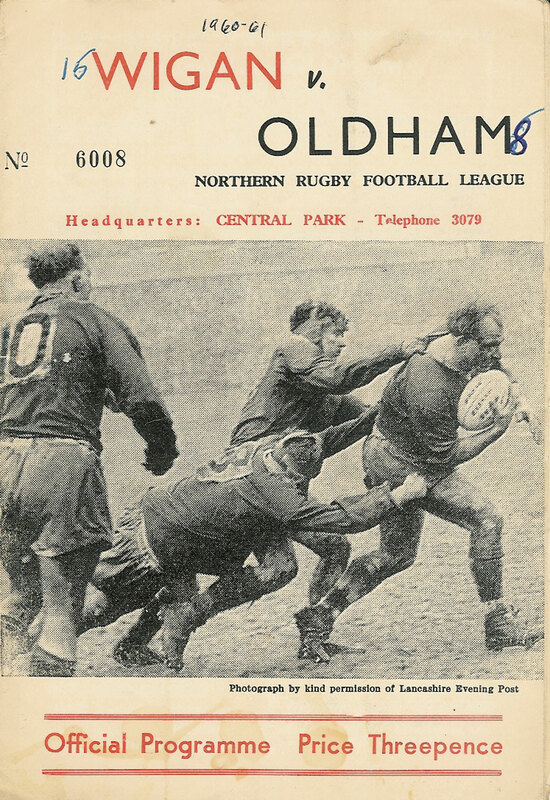 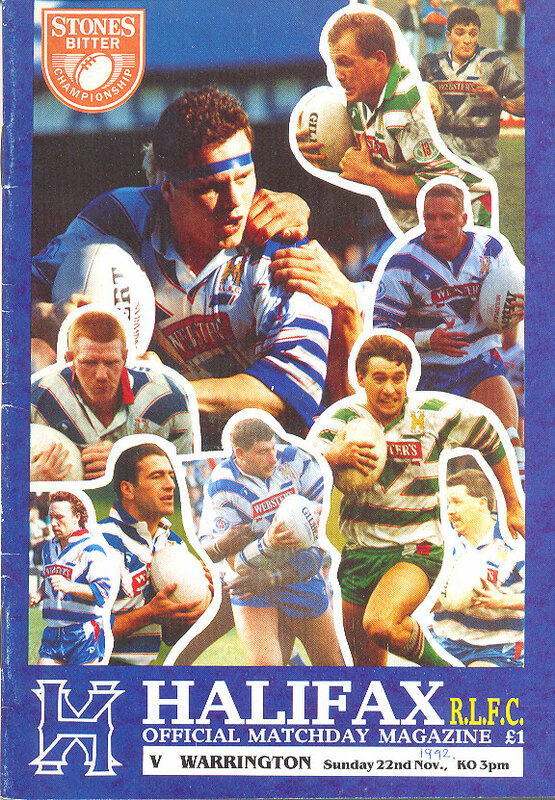 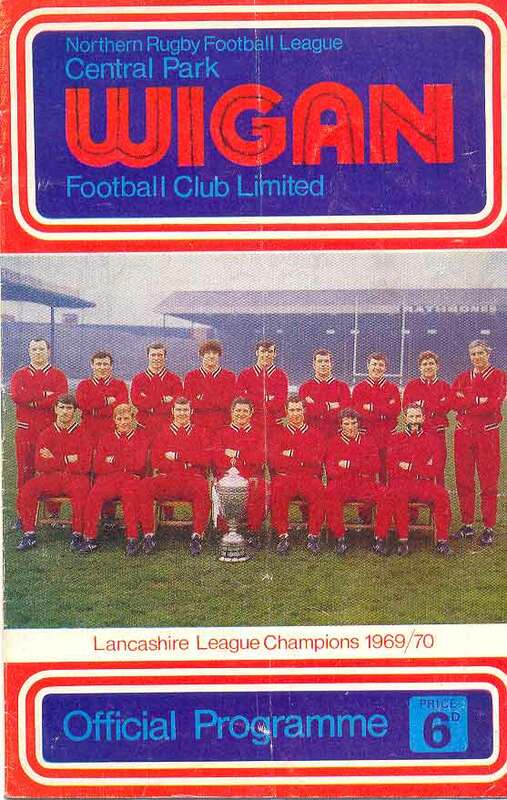 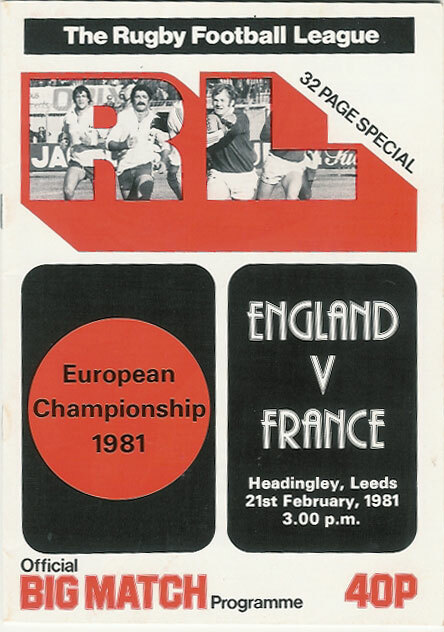 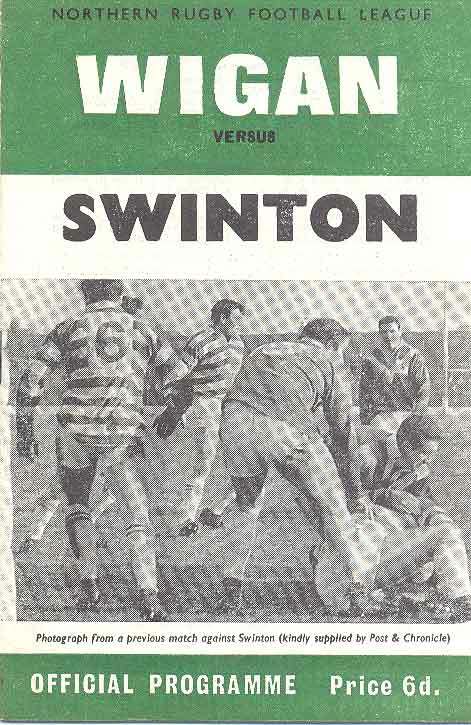 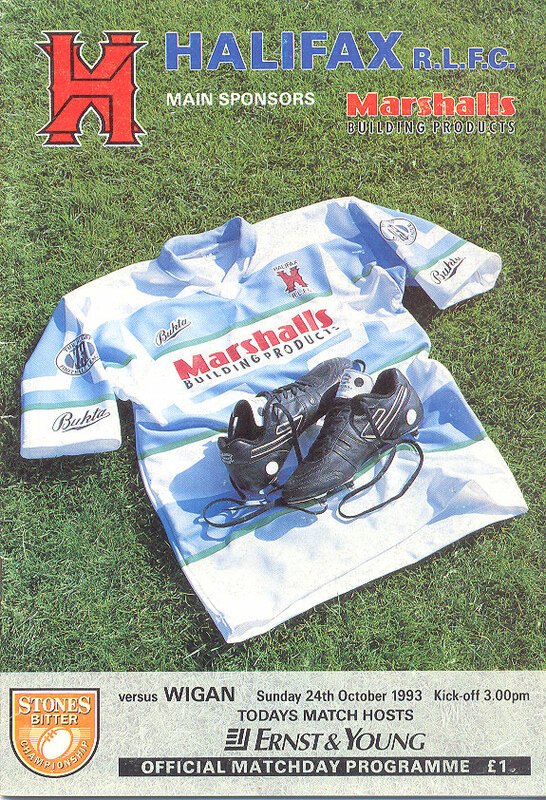 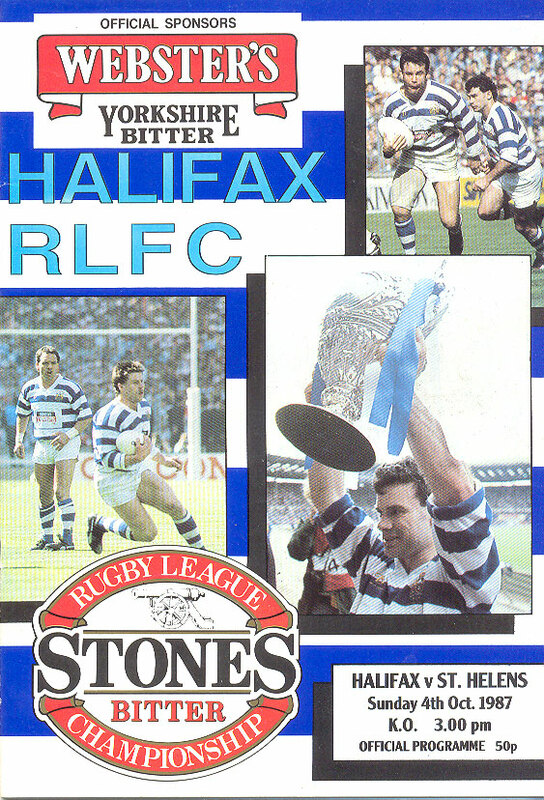 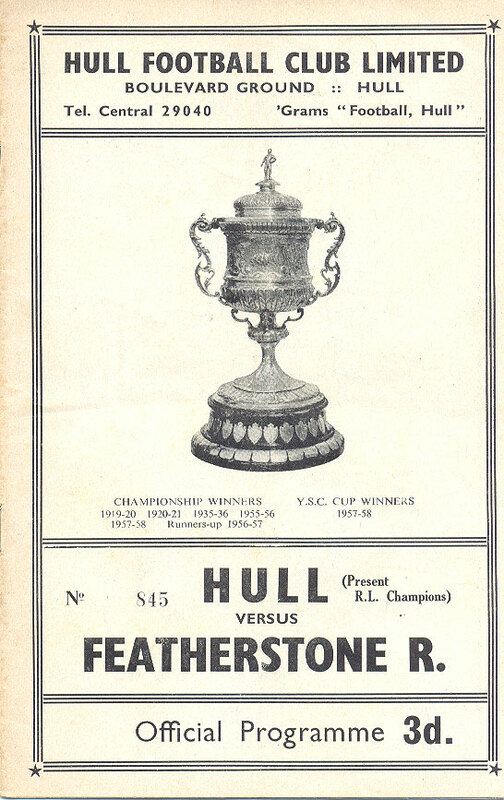 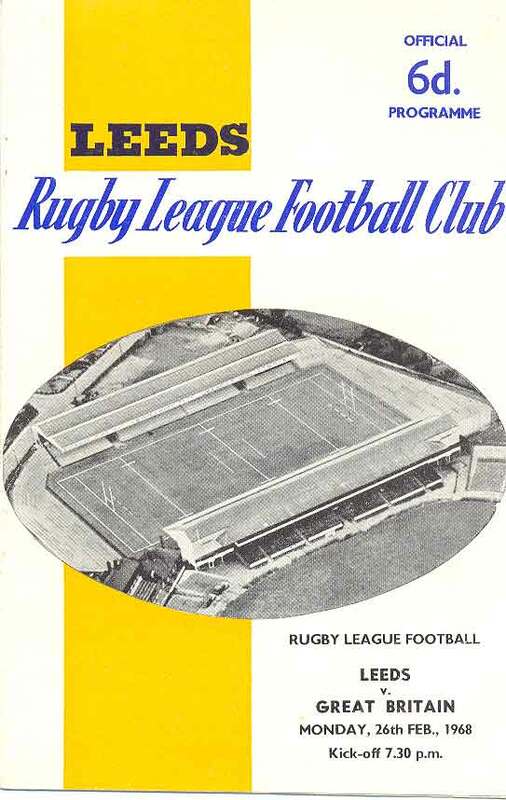 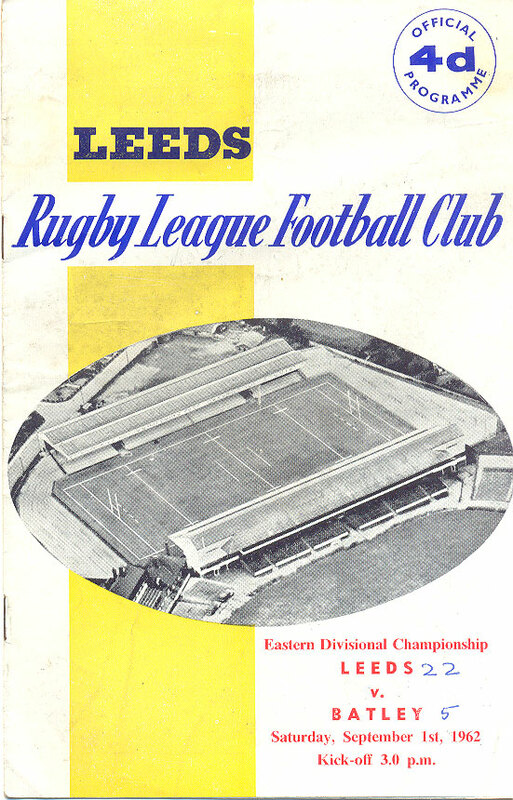 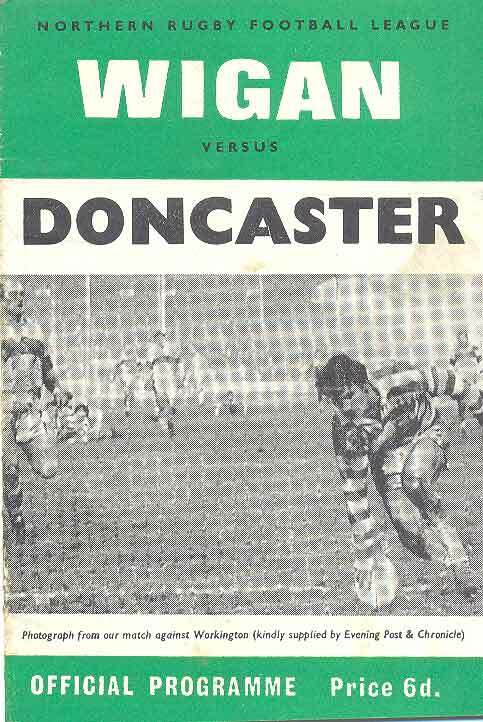 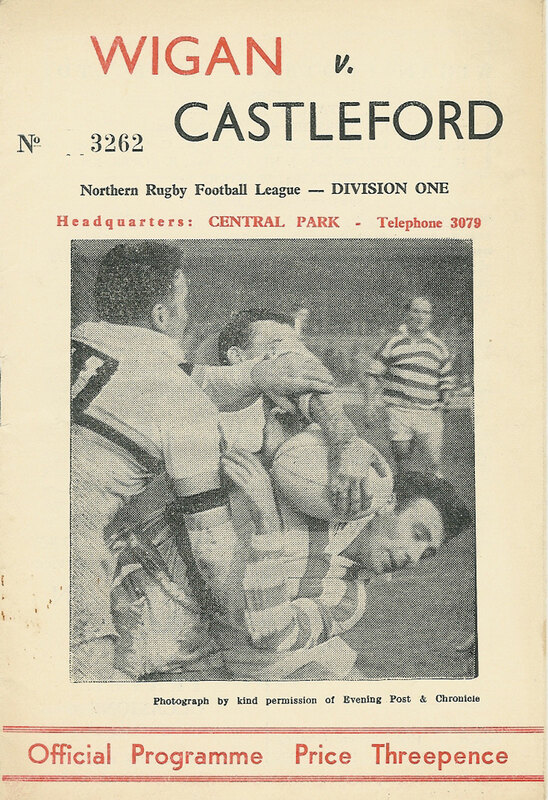 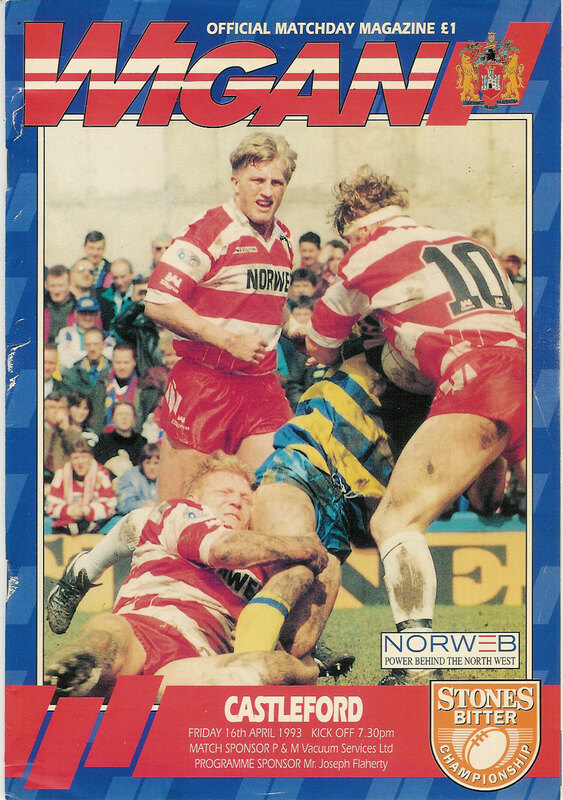 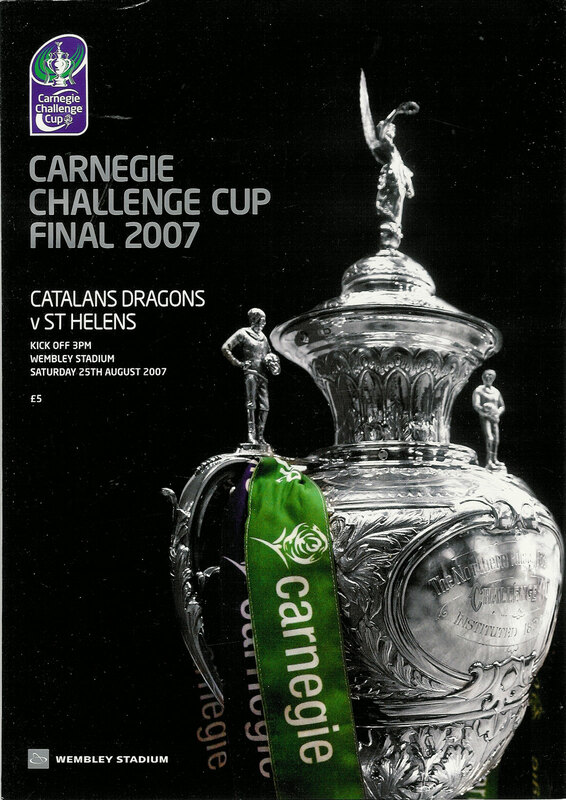 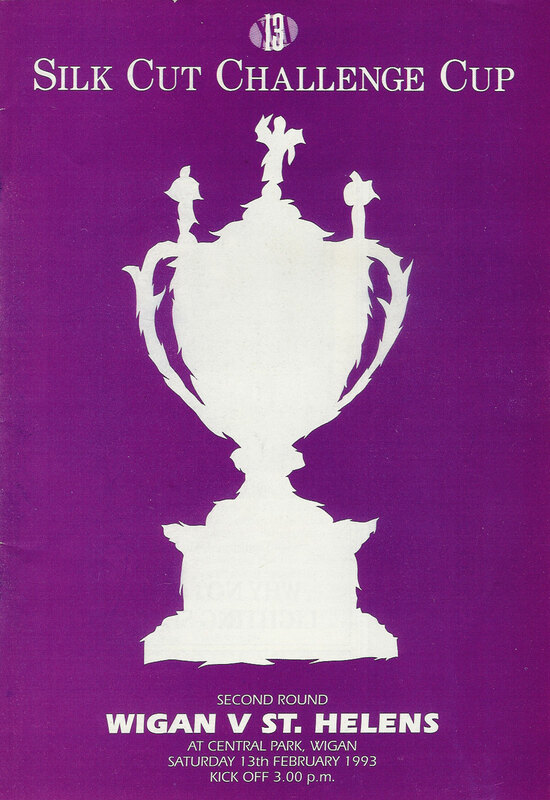 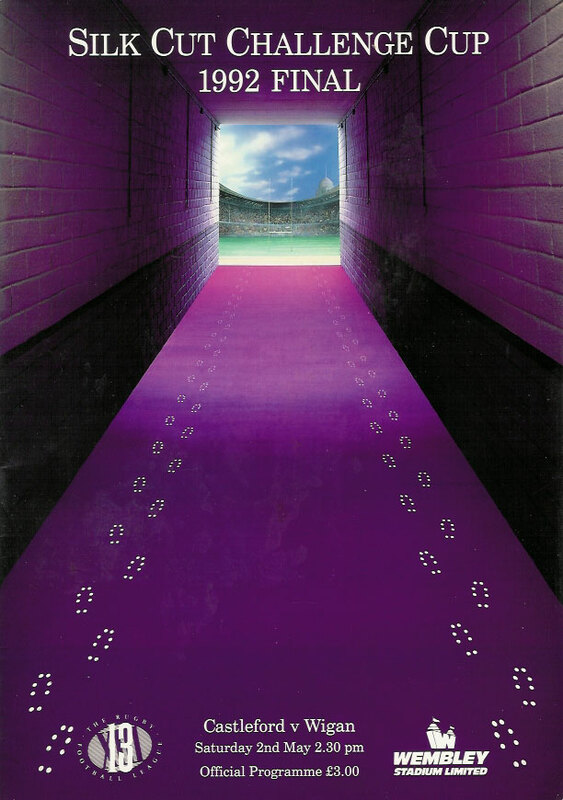 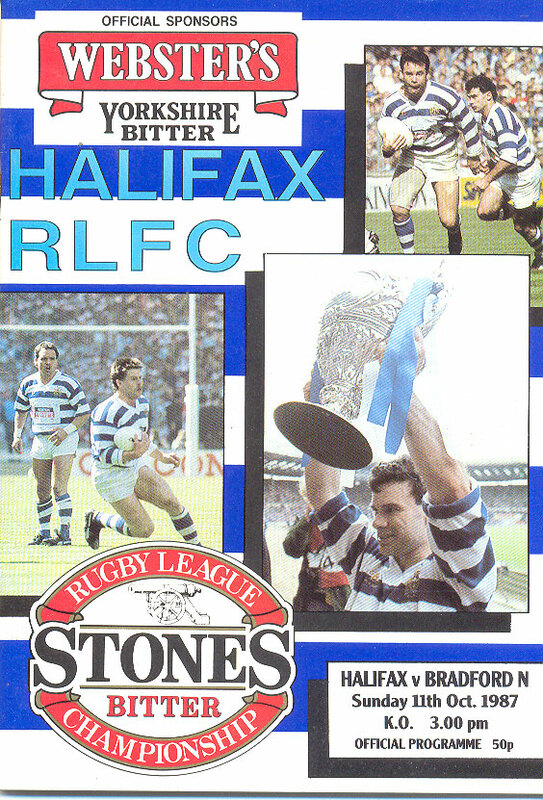 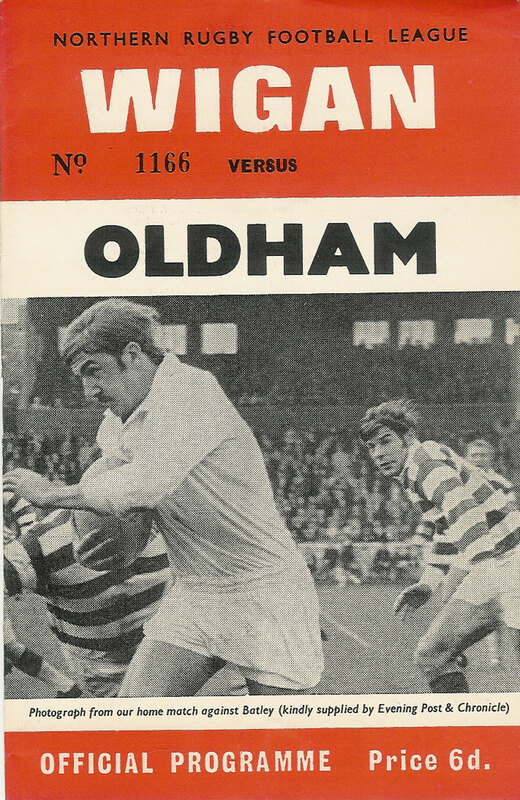 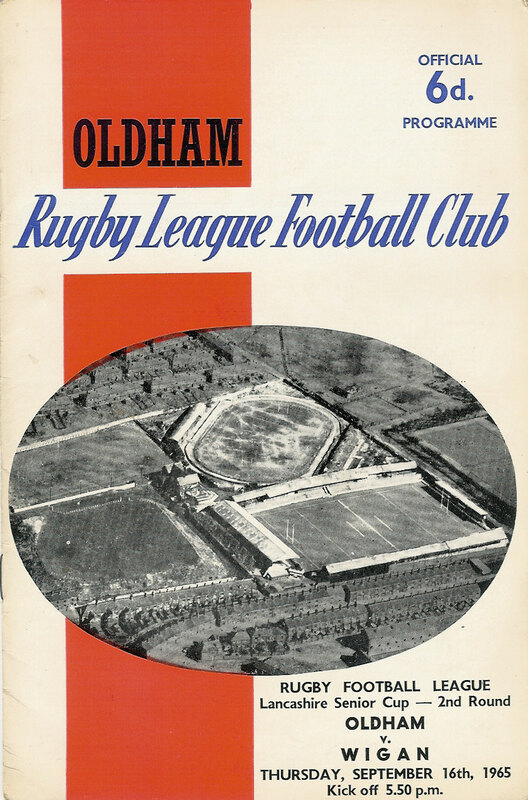 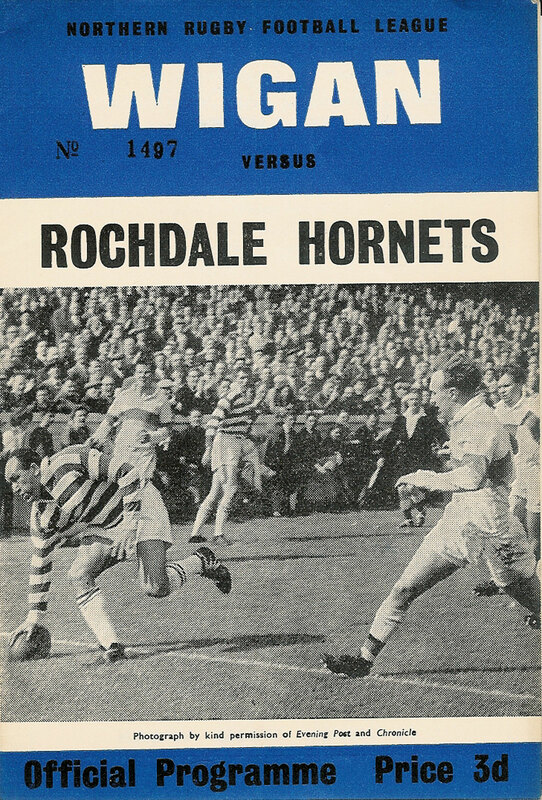 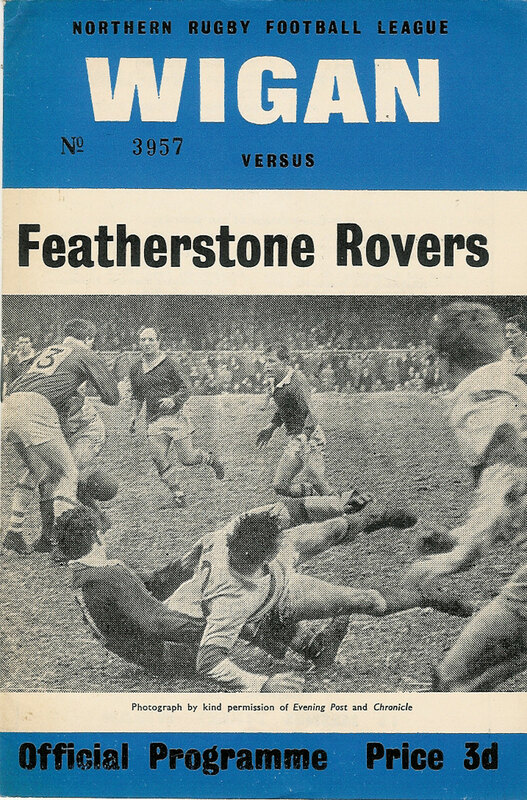 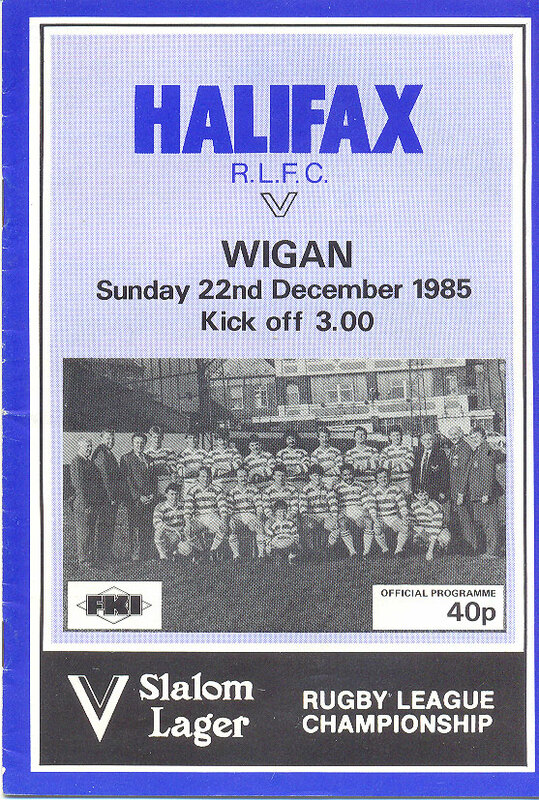 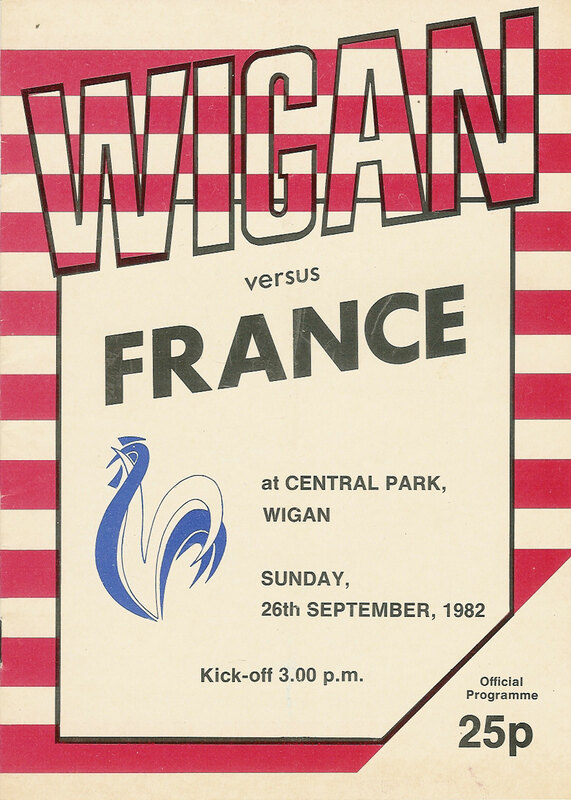 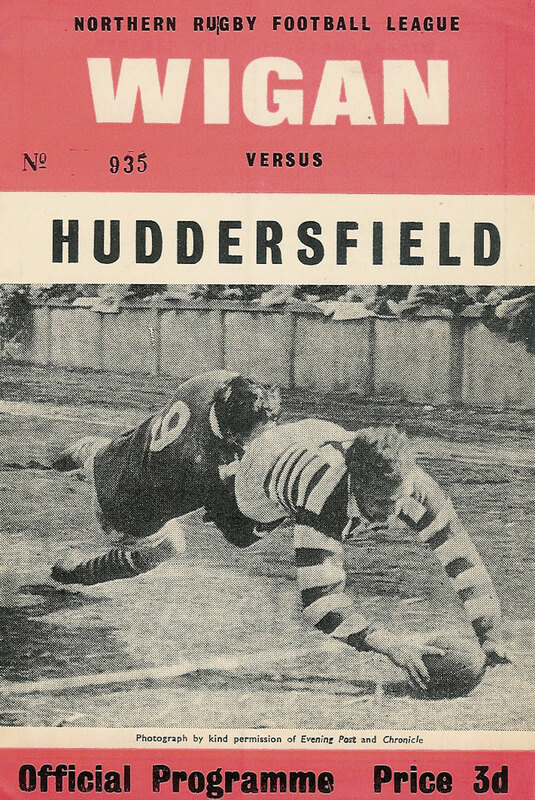 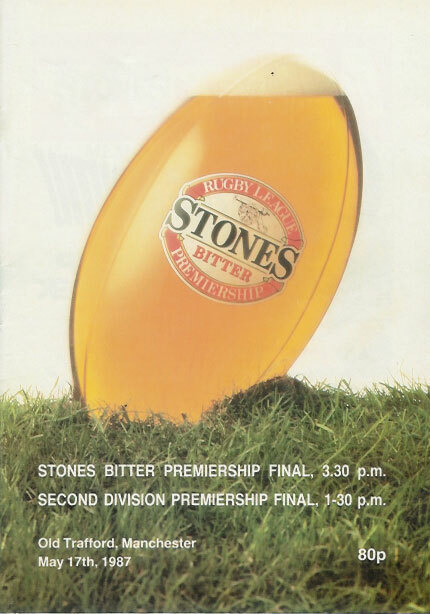 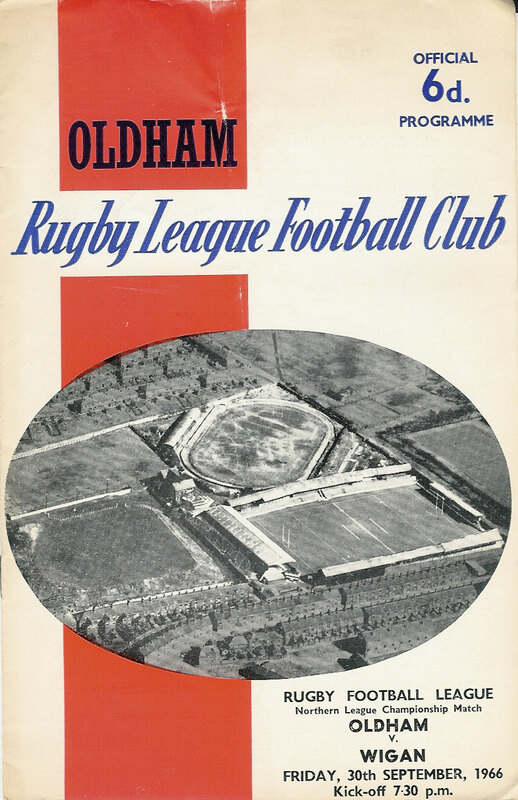 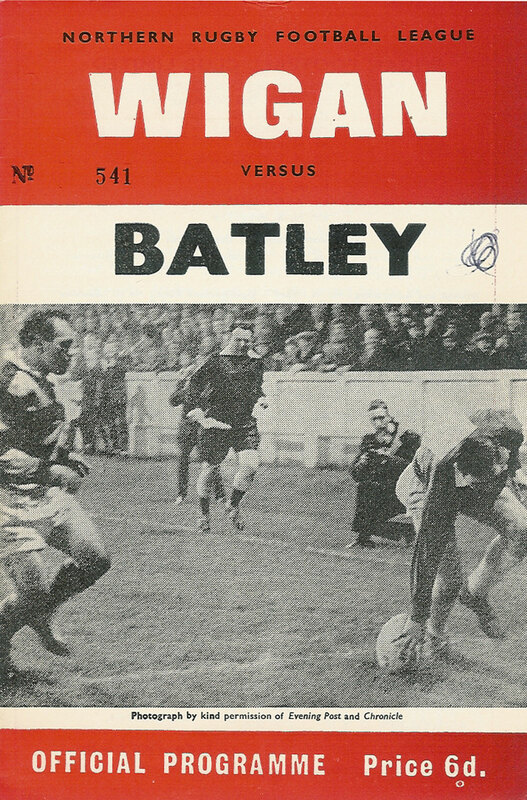 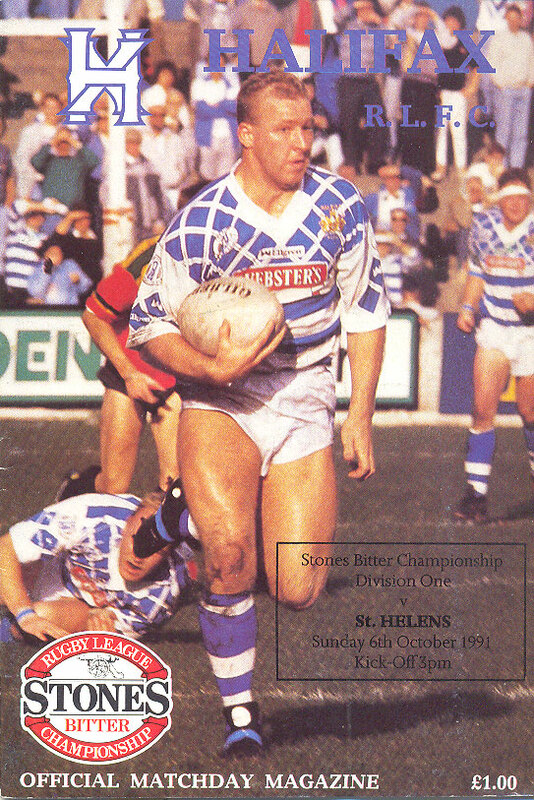 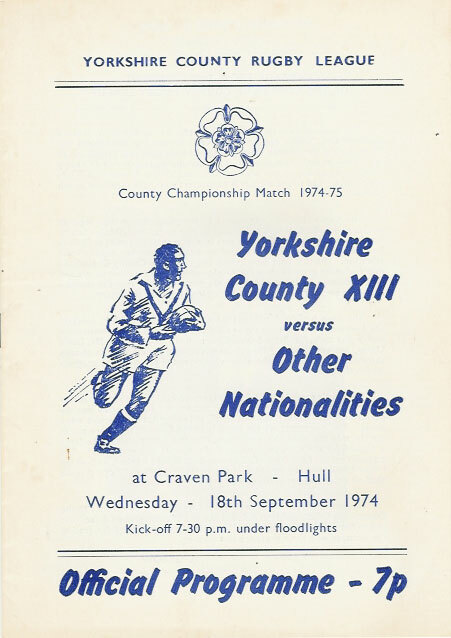 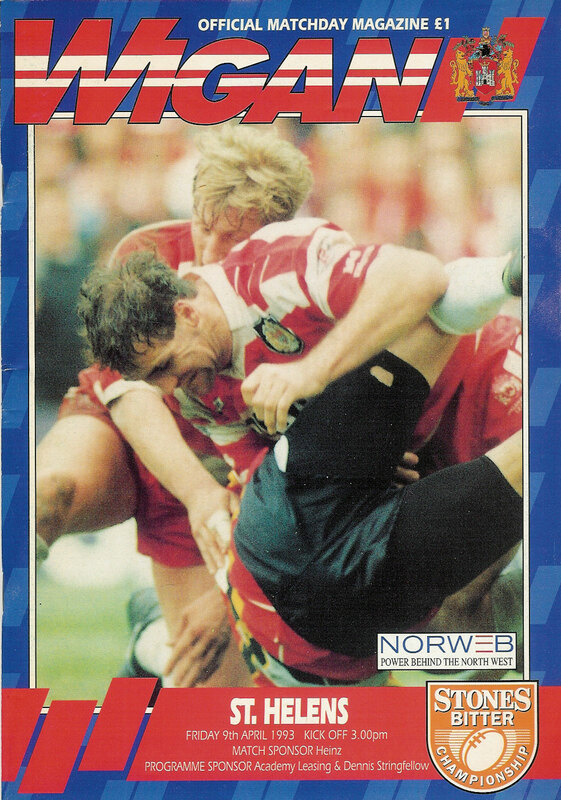 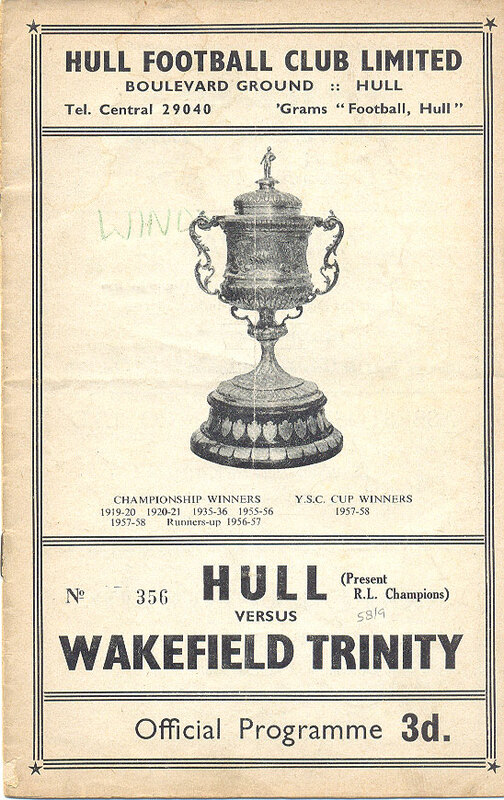 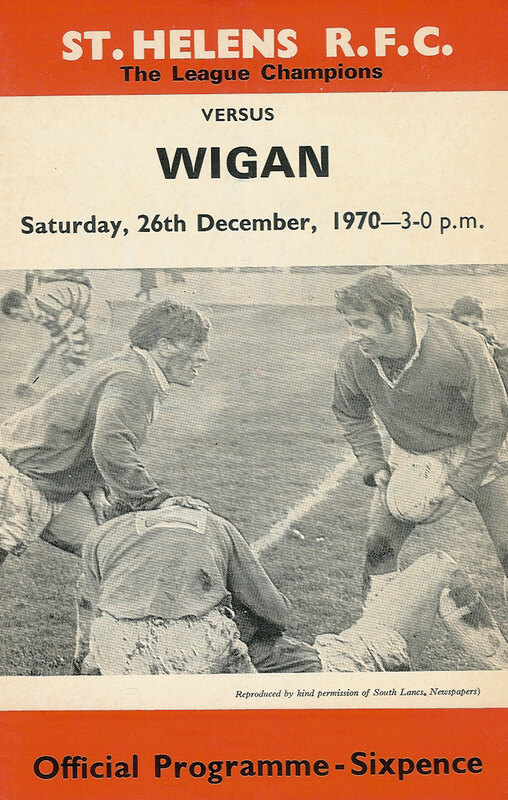 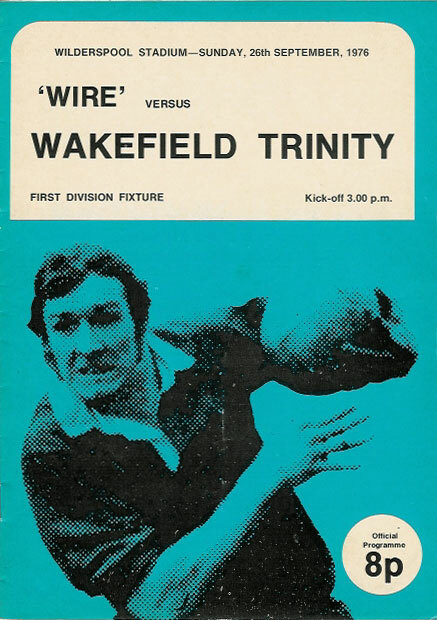 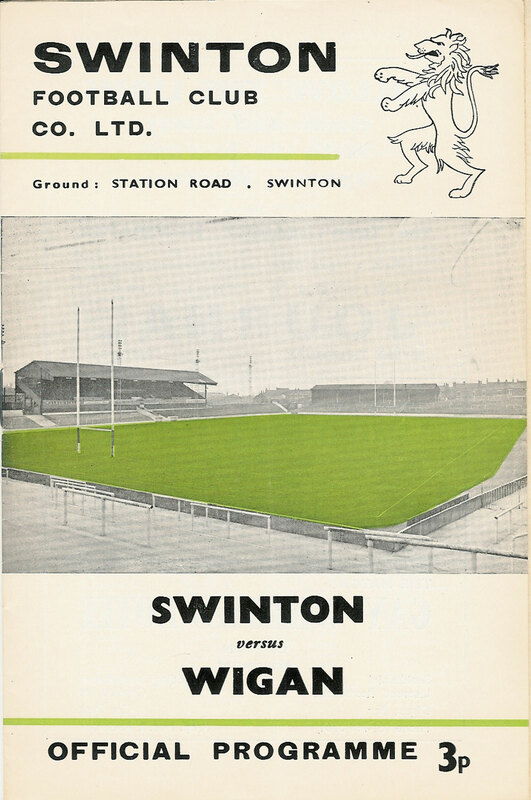 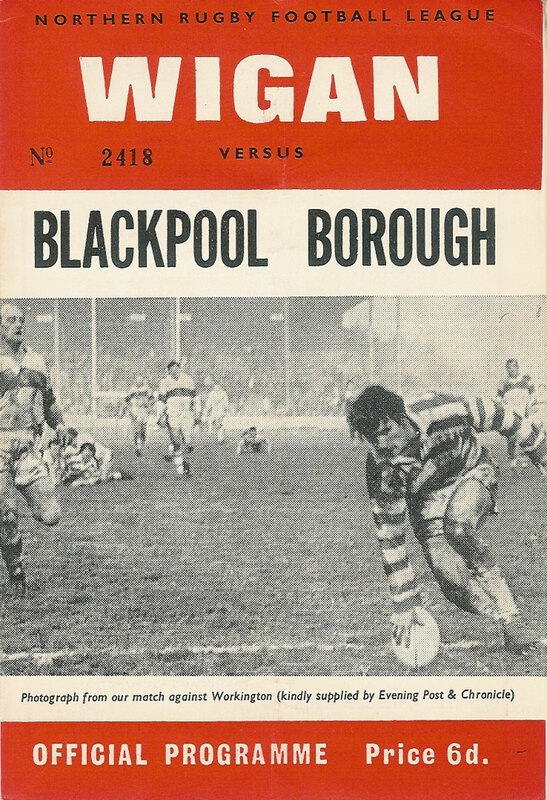 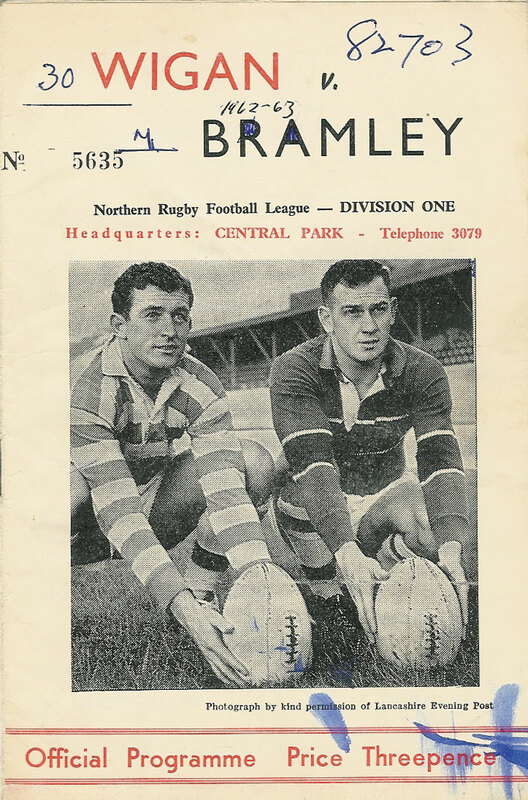 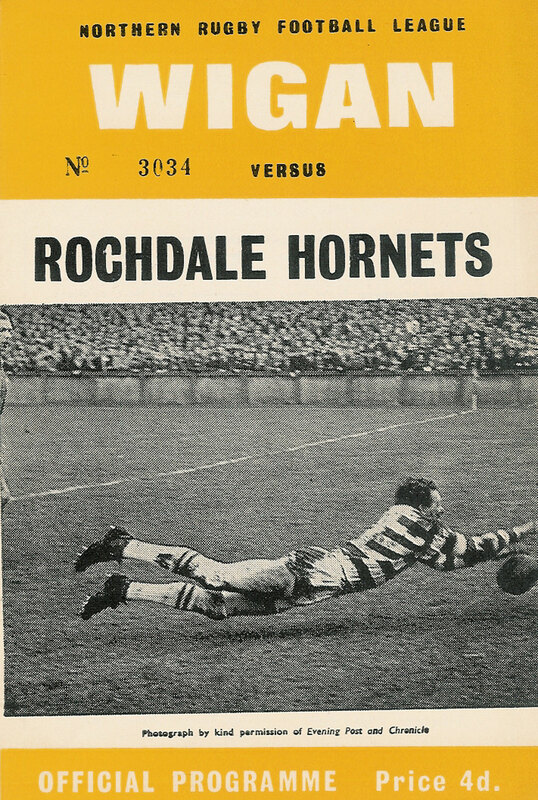 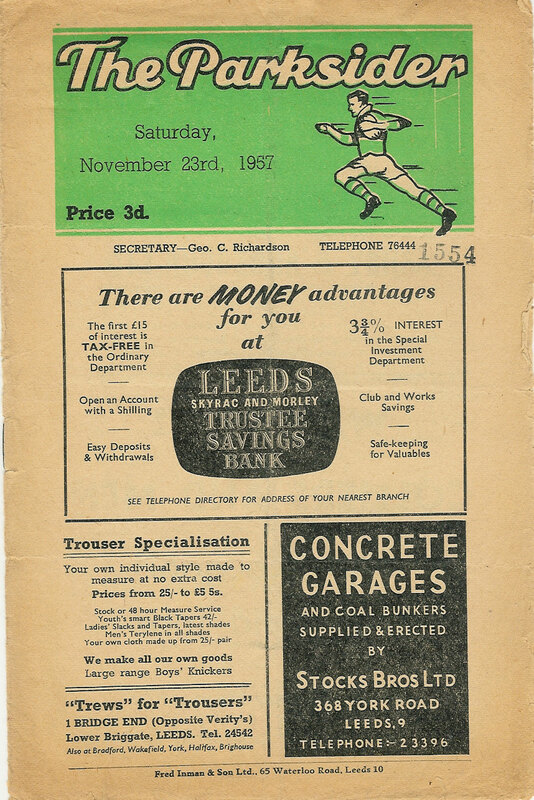 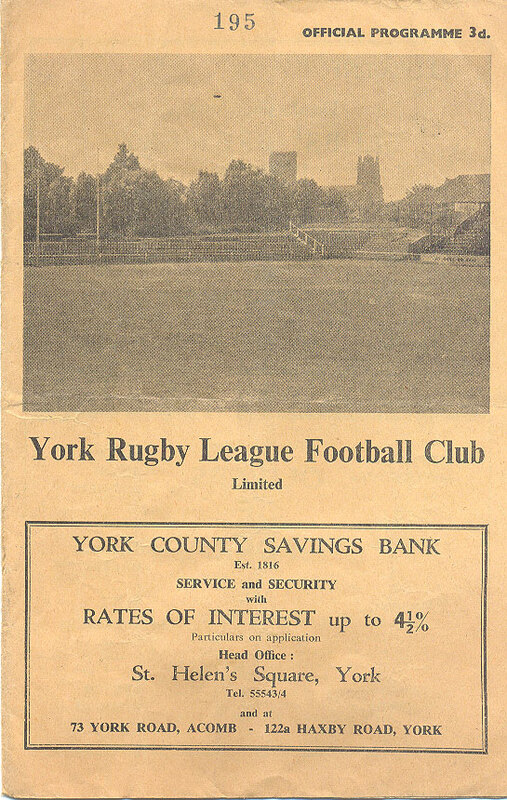 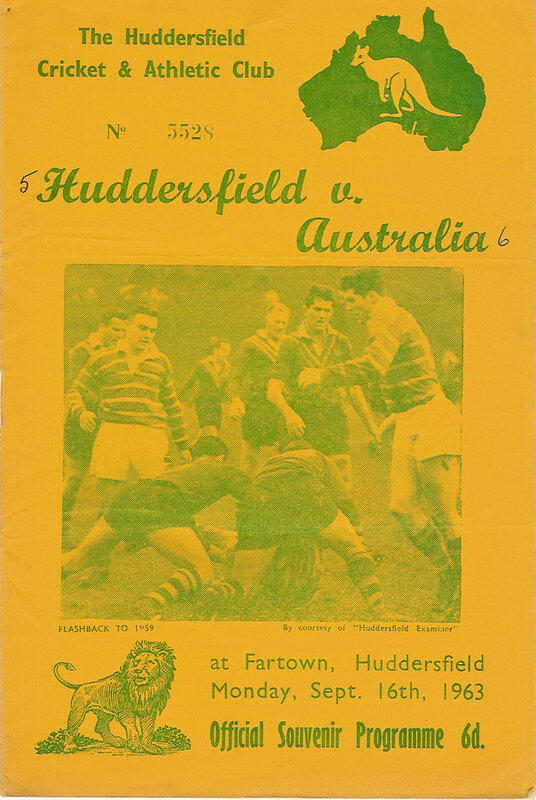 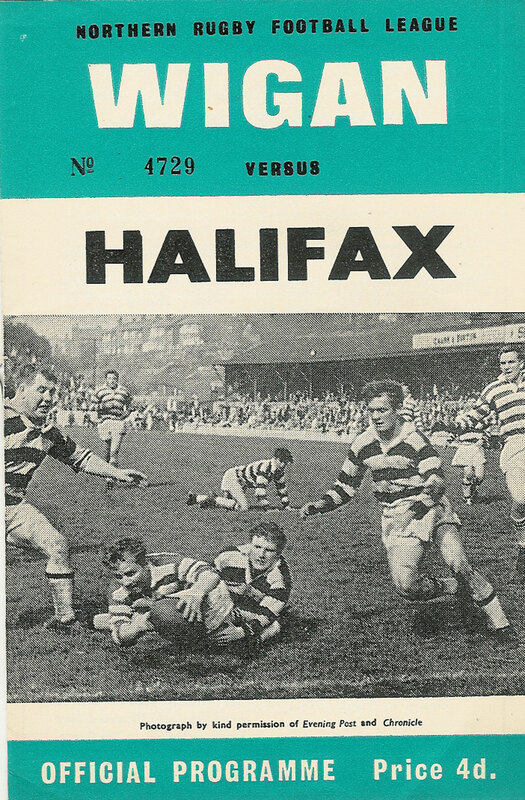 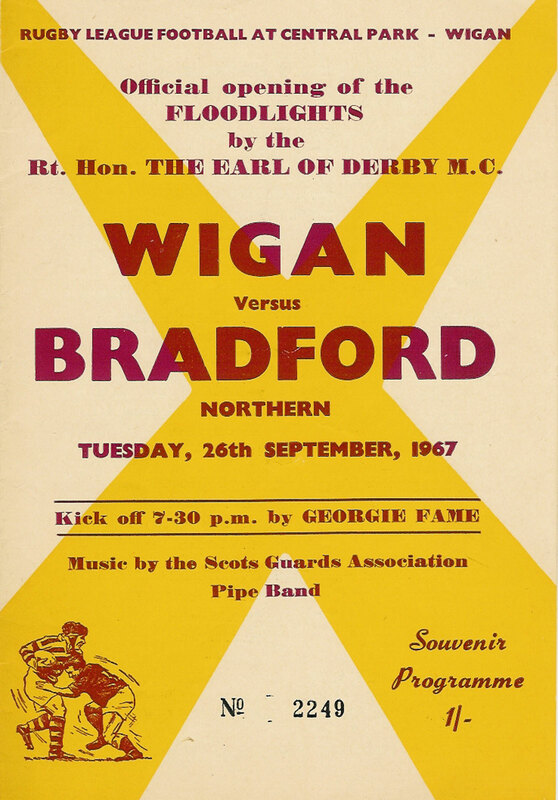 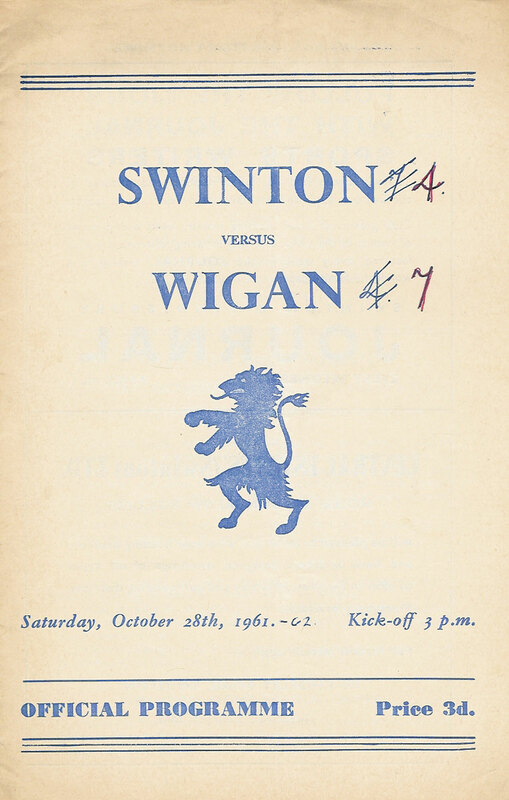 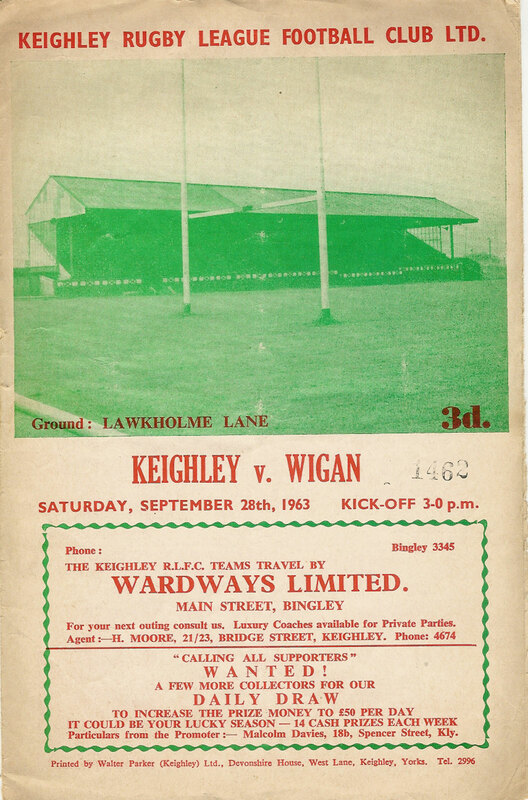 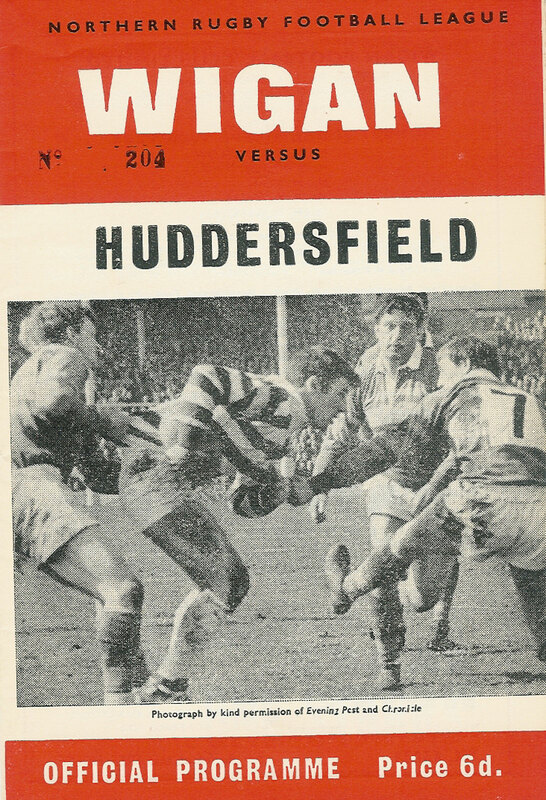 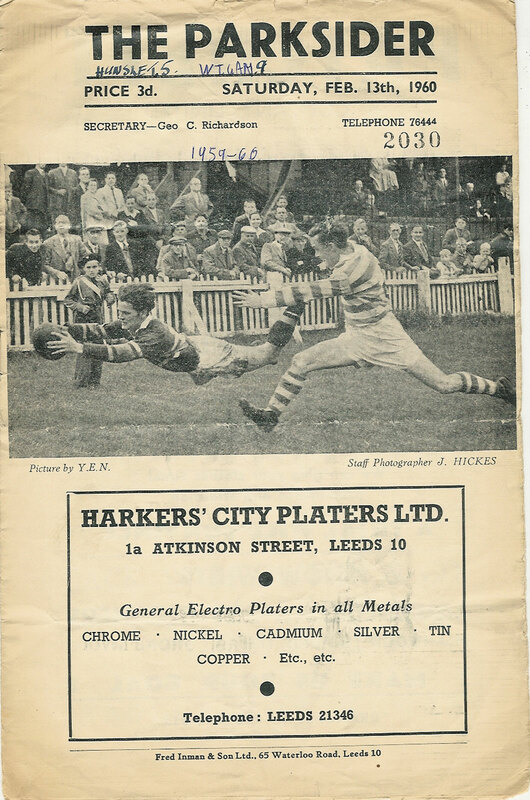 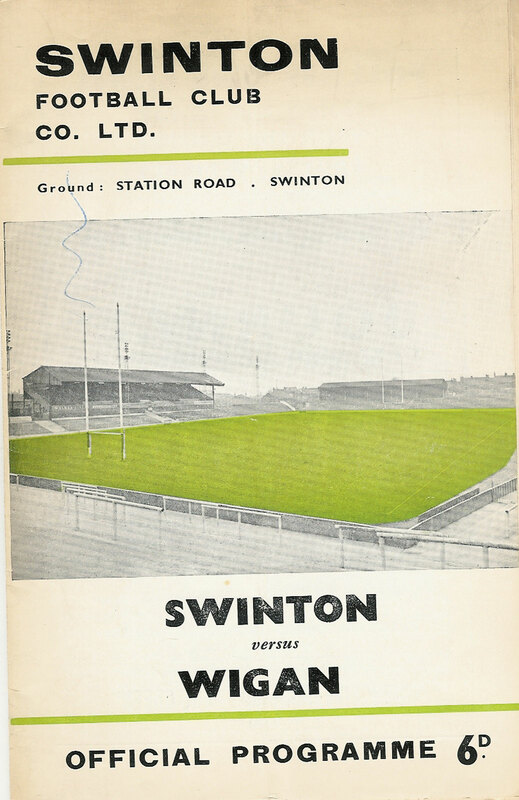 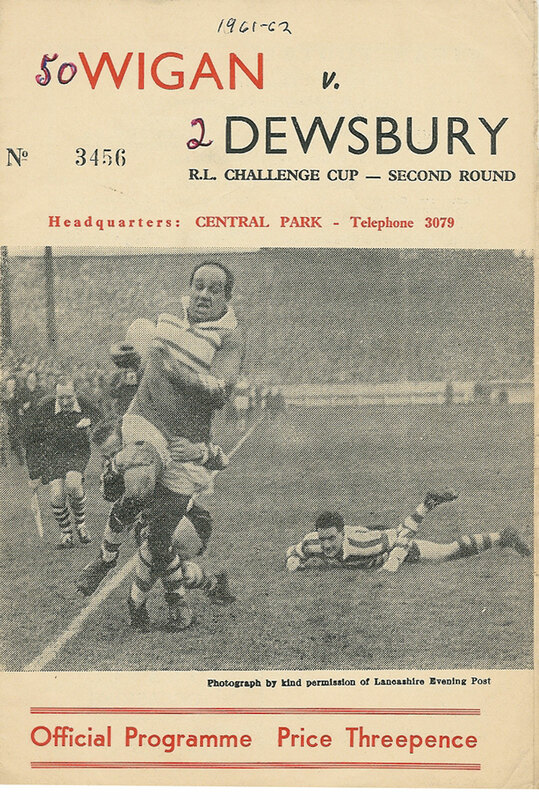 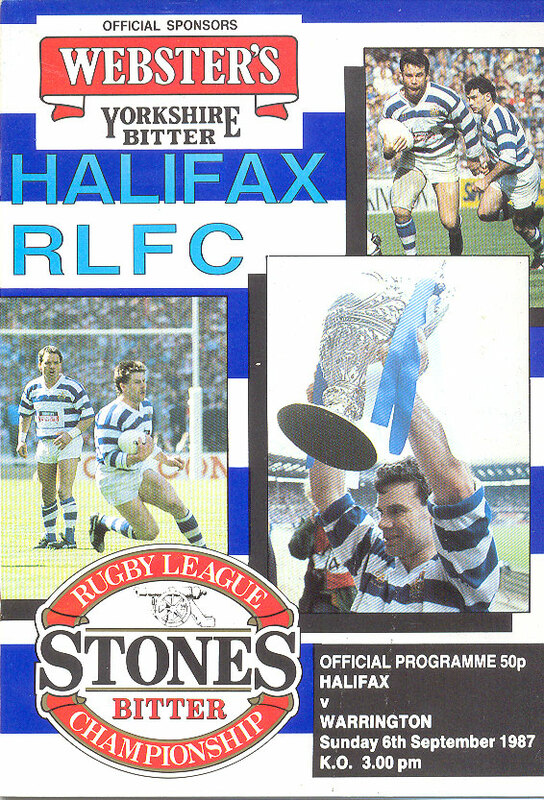 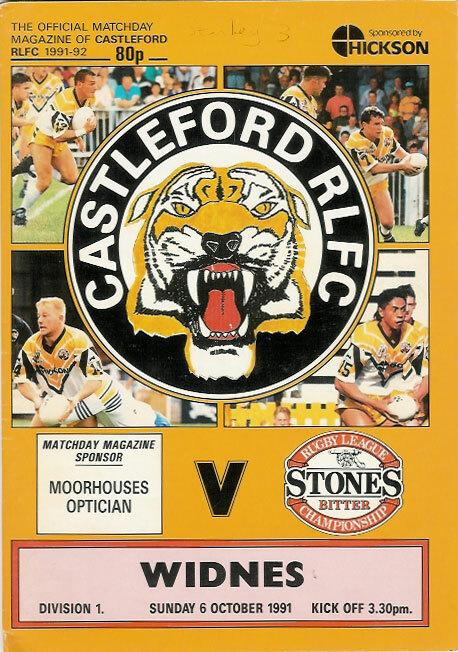 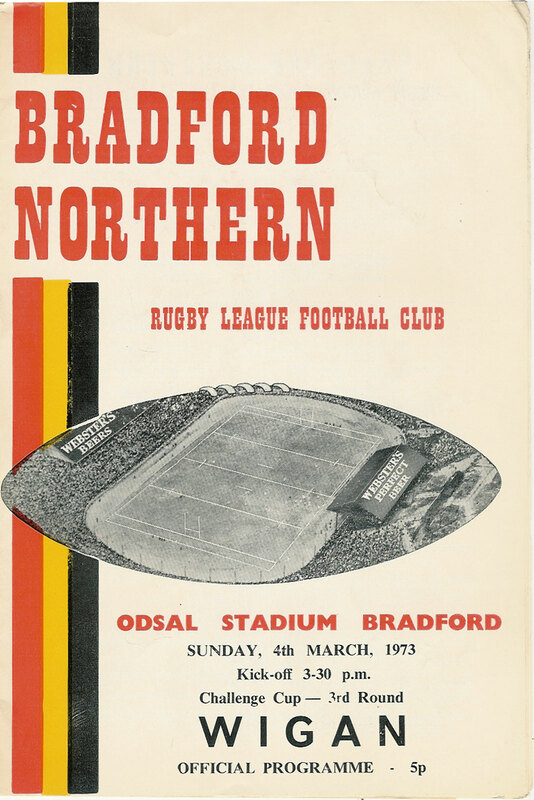 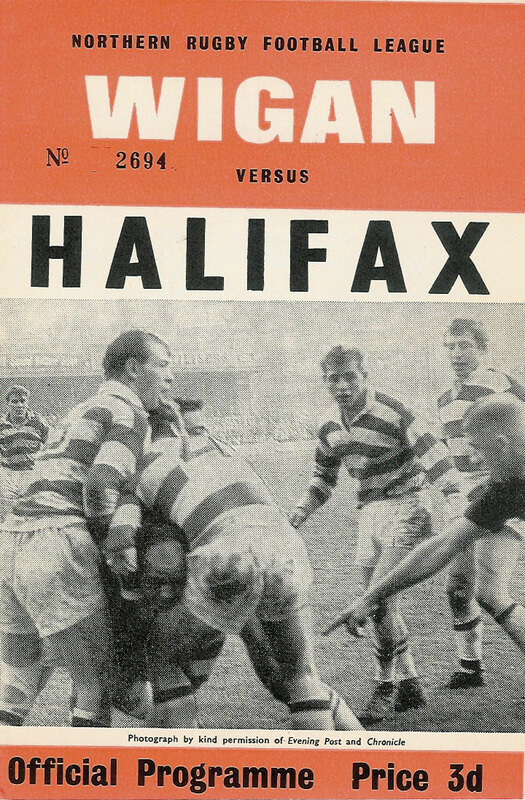 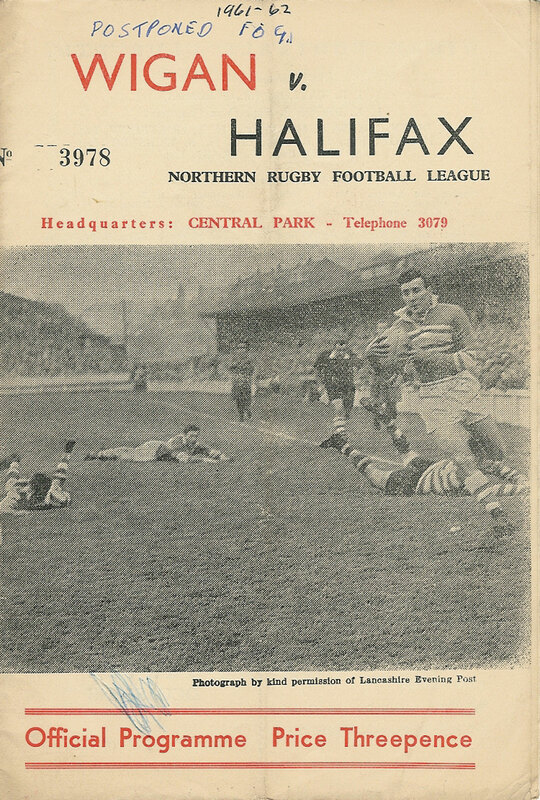 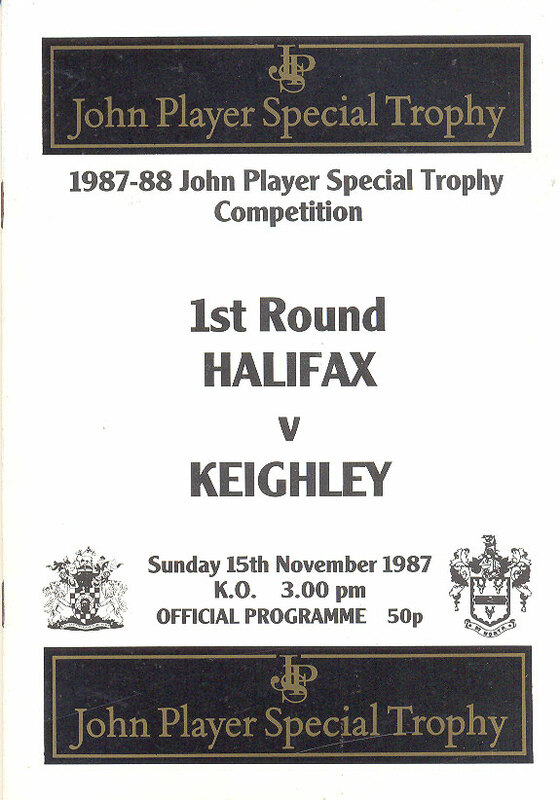 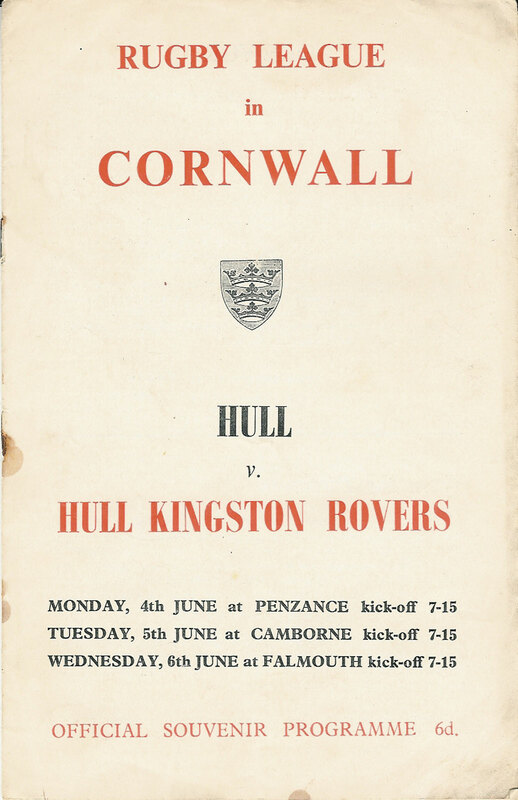 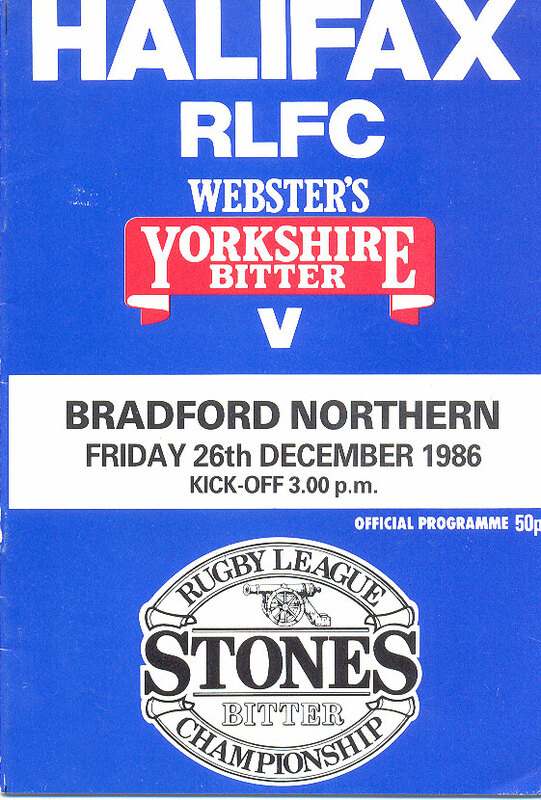 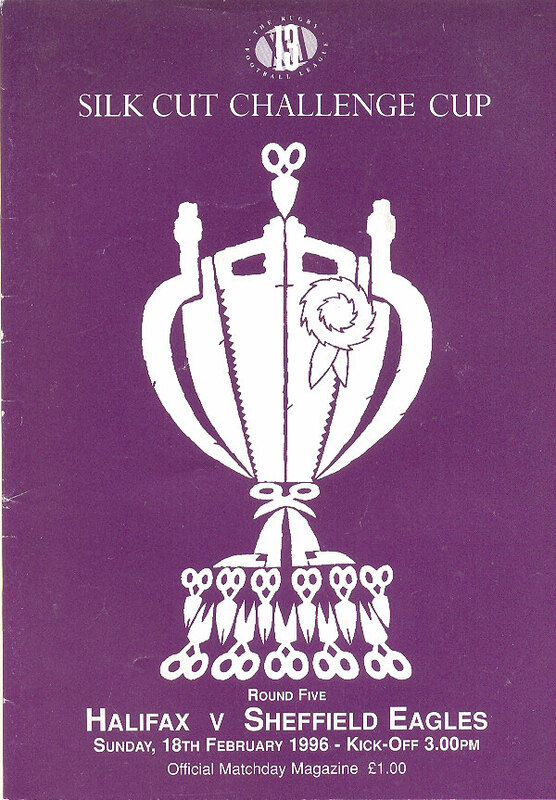 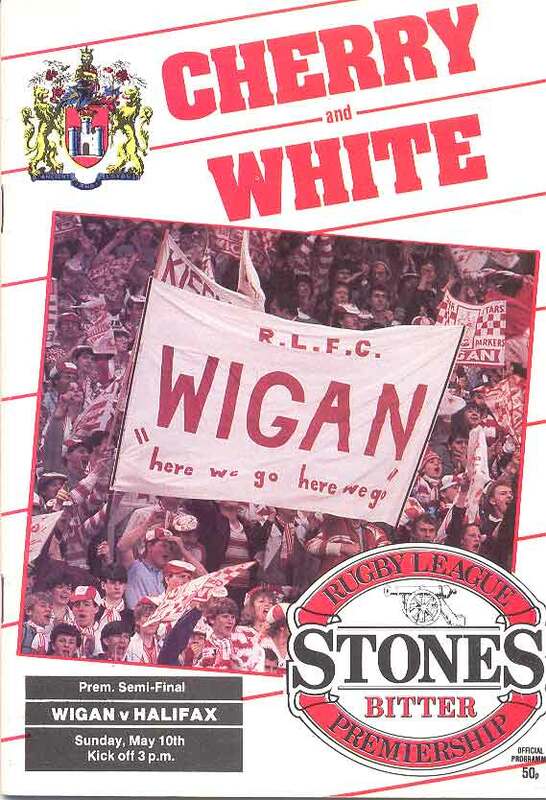 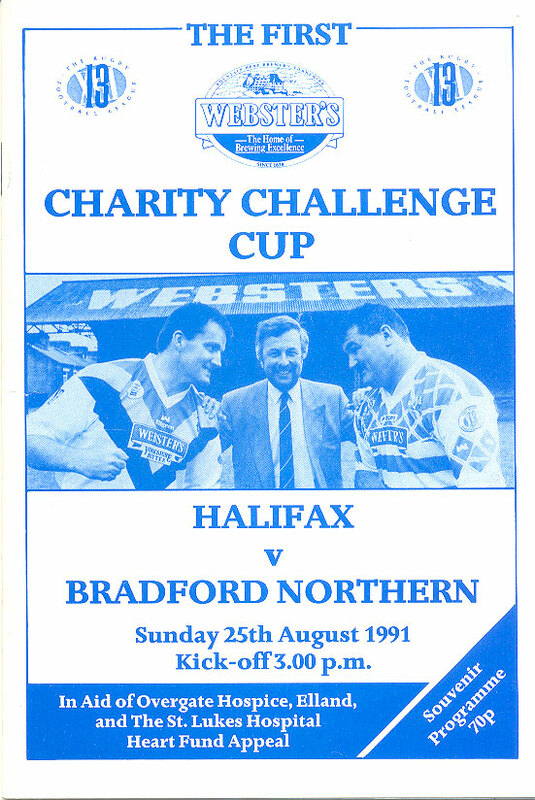 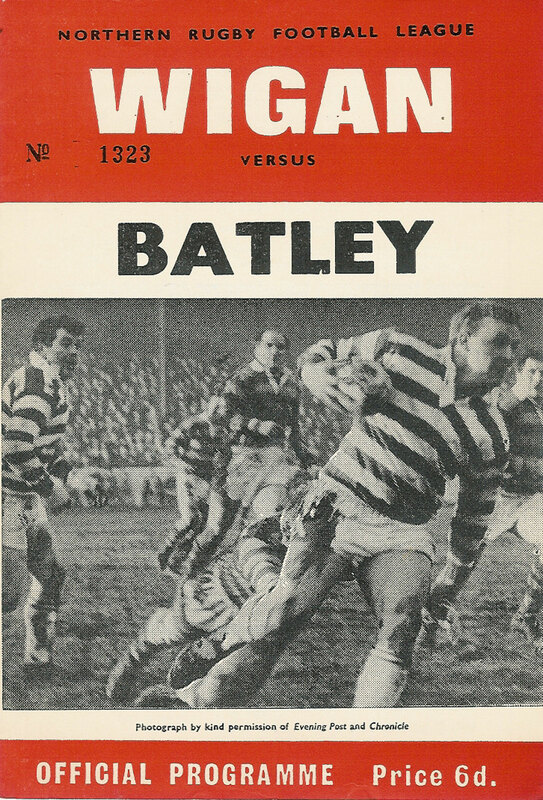 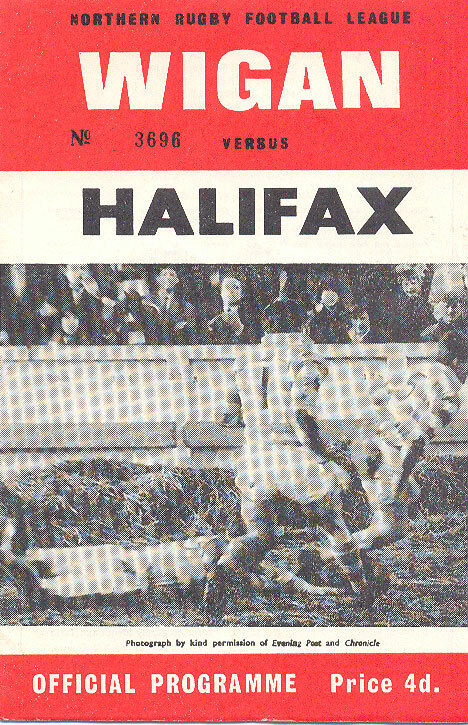 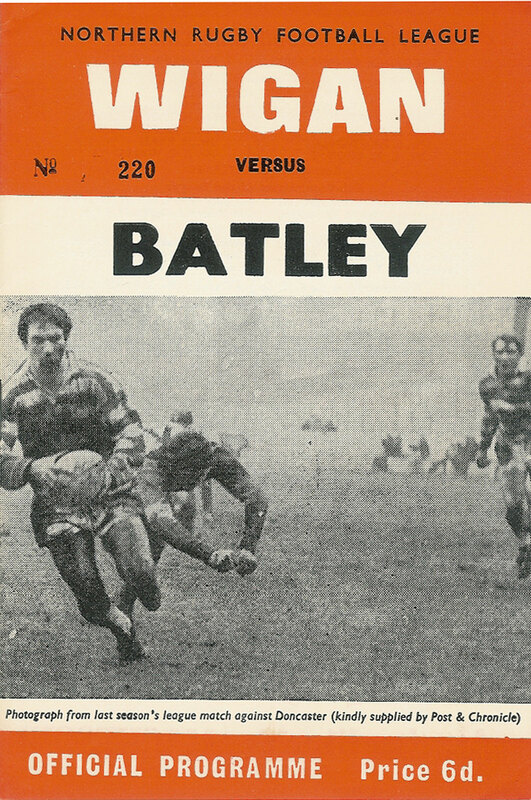 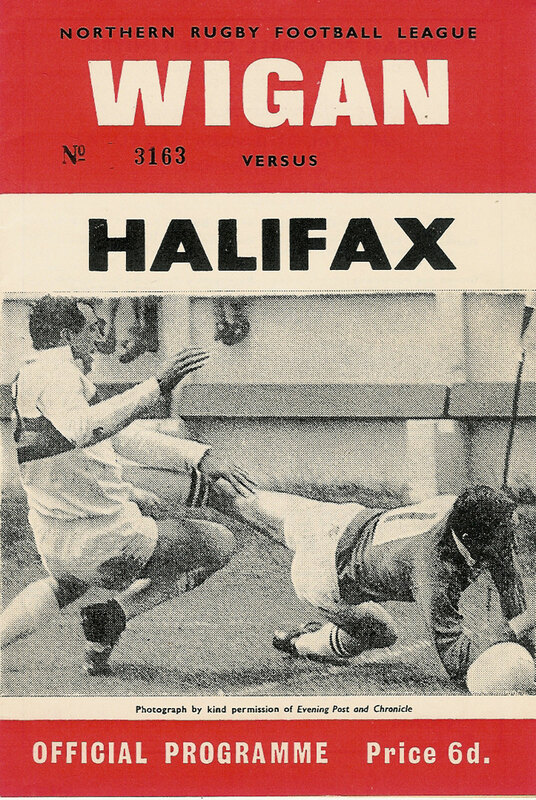 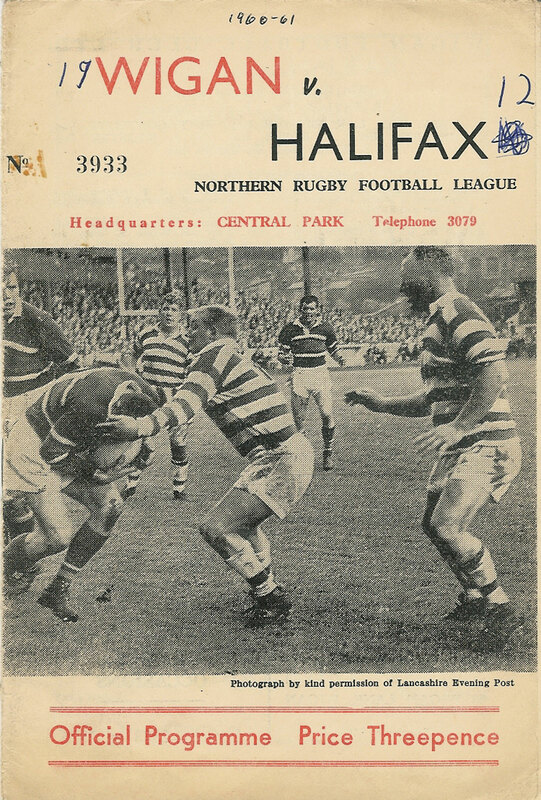 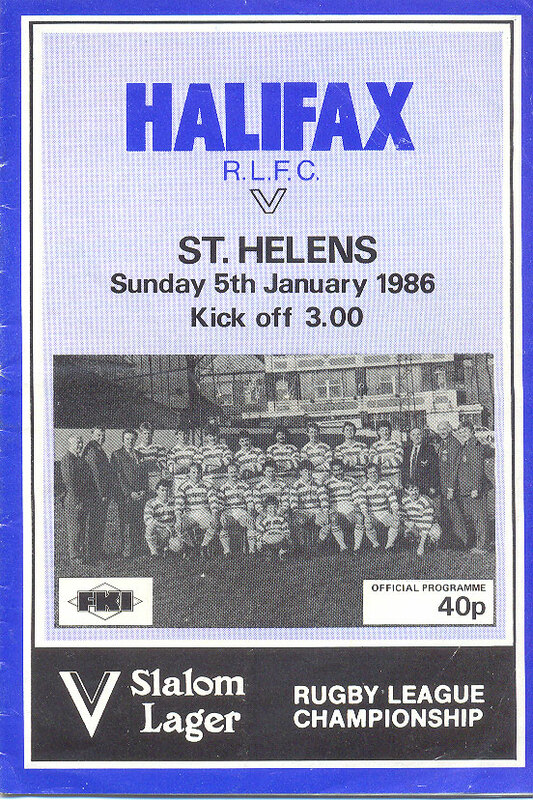 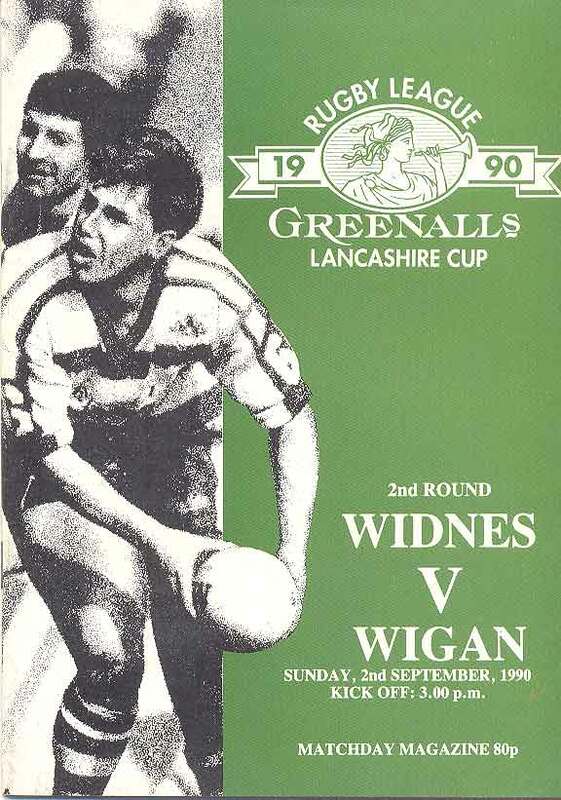 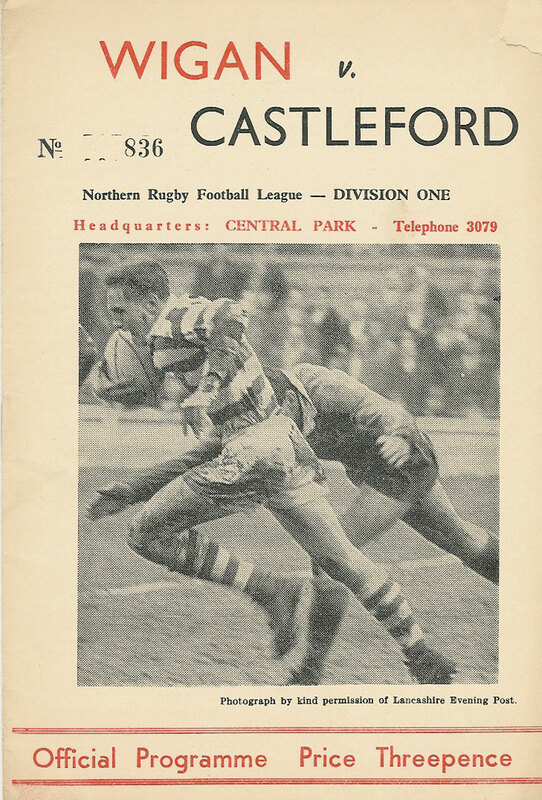 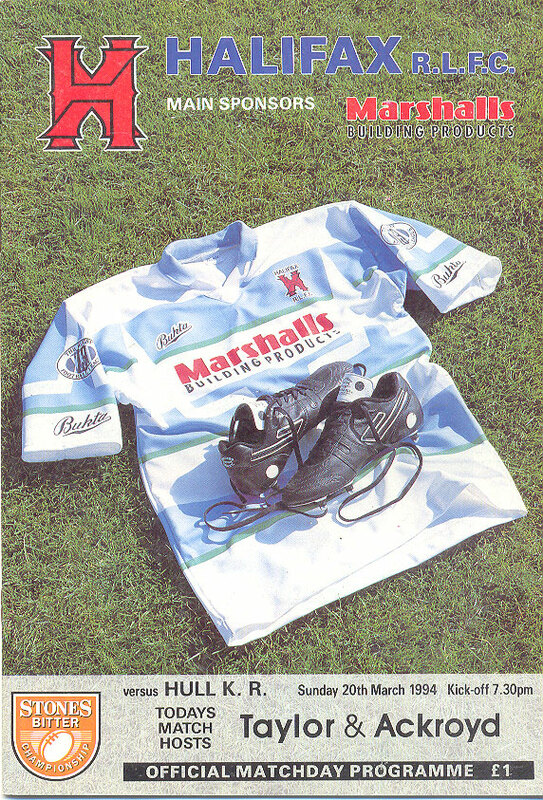 A 10 page programme (2 pages are possibly missing) with two sizeable tears to the front cover, the spine has split completely and the back cover is worn, despite the condition not being the best this is still a great opportunity to purchase an extremely rare programme from Huddersfield's greatest season.